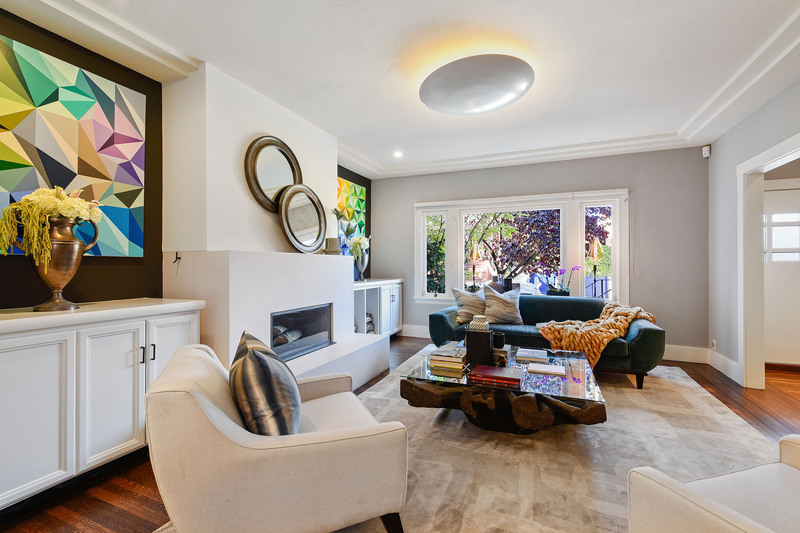 Retaining the well-built frankness of the Craftsmen era, this 1916 home is informed by a classic layout, spectacular setting and the rigor and sophistication of its current owners’ thoughtful expansions. 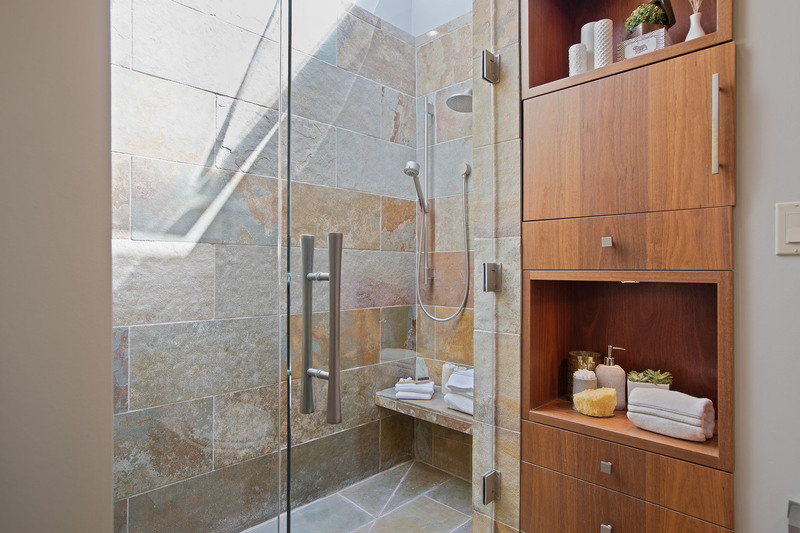 References to nature are everywhere in the design of this refined residence. 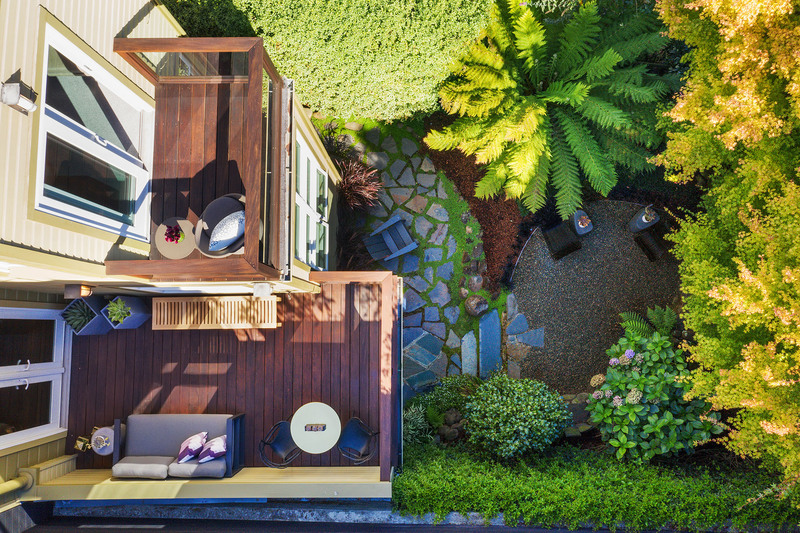 A soaring wall of windows projects living spaces into a lush landscape with views. 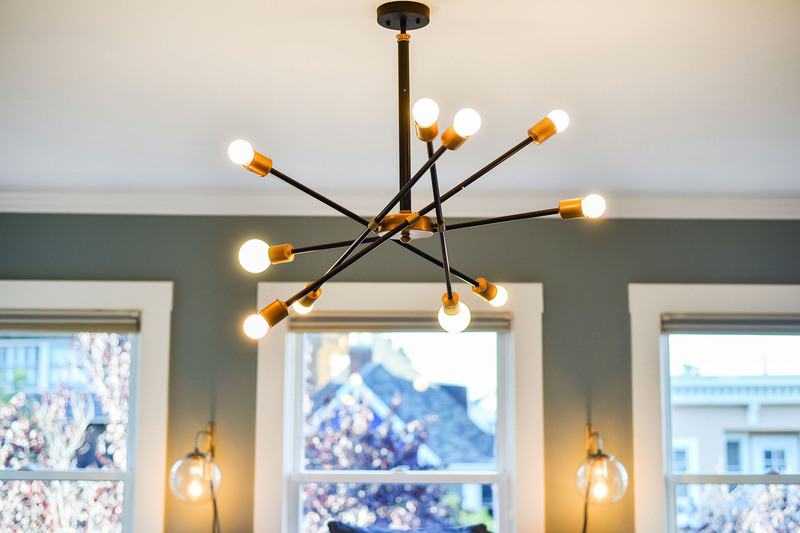 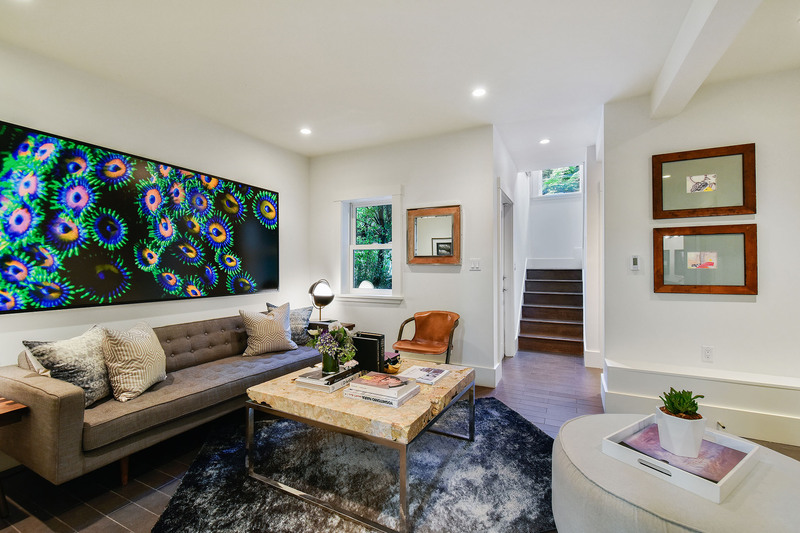 Setting the scene for easy-going entertaining and an engagement with the surrounding neighborhood teaming with amenities, this warm, inviting home provides a robust ‘something for everyone’ livability, infused with comfort and style. 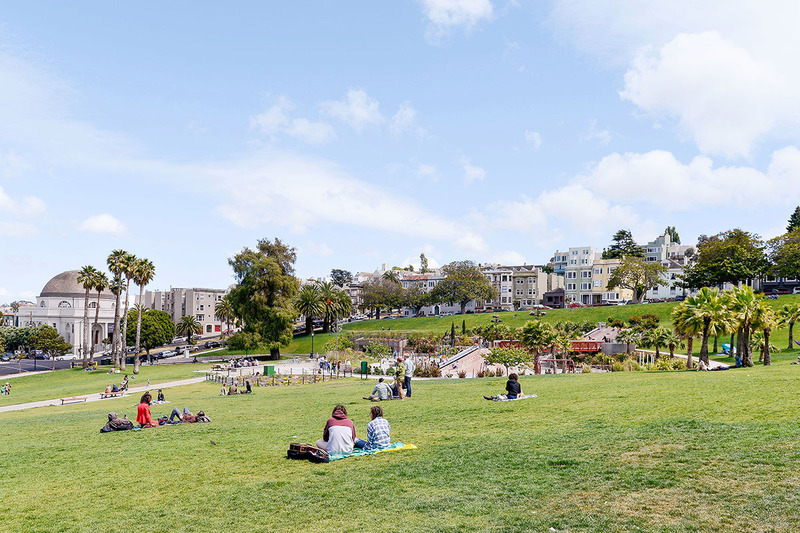 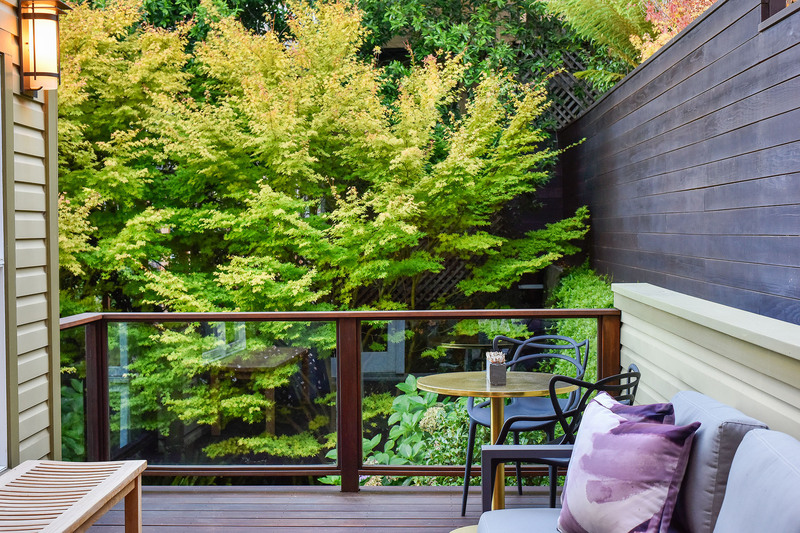 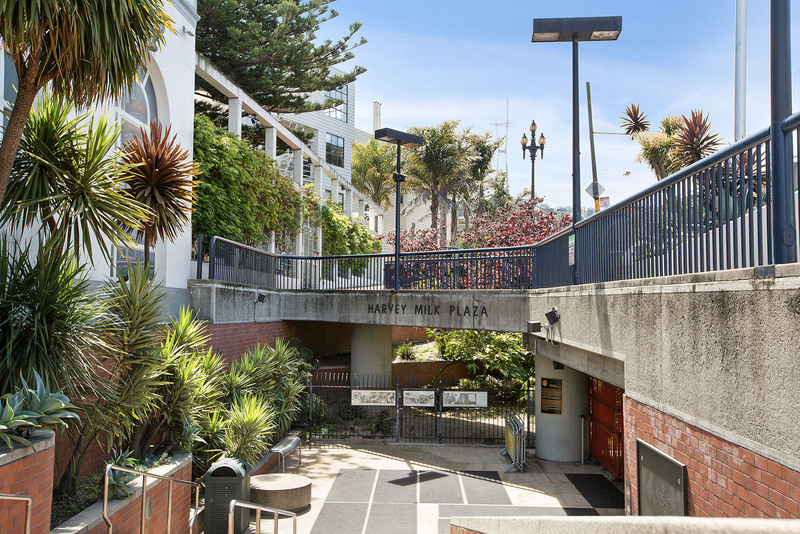 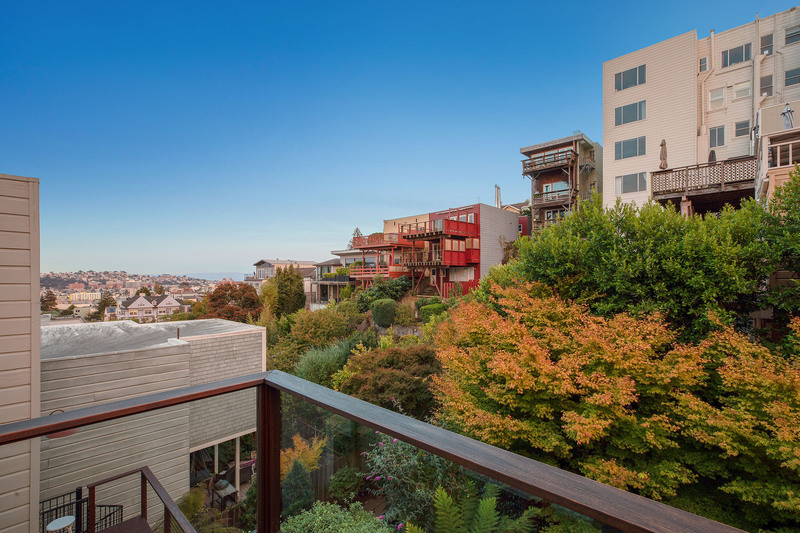 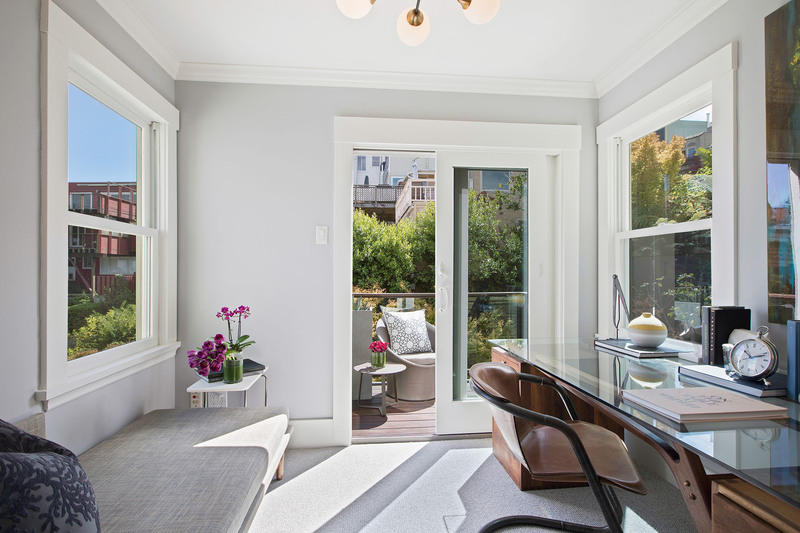 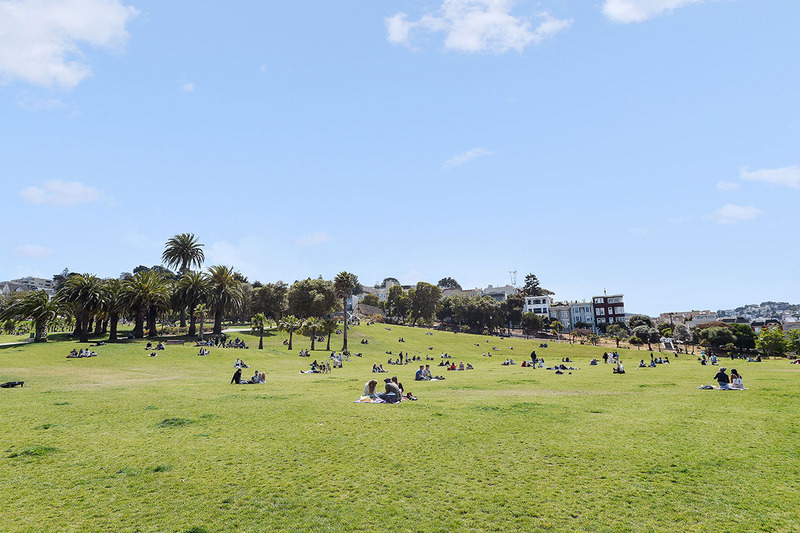 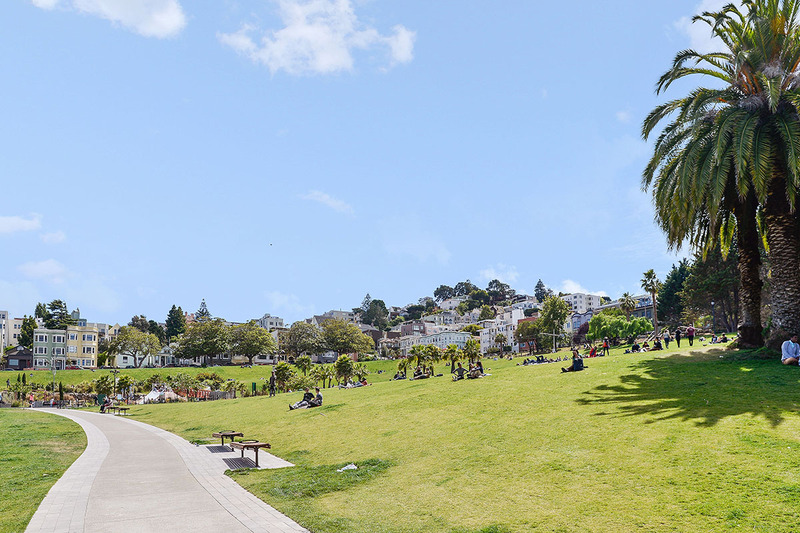 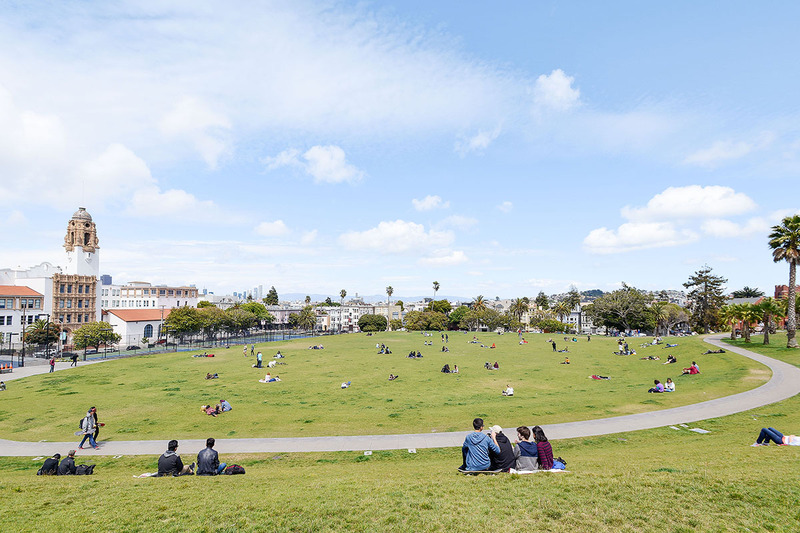 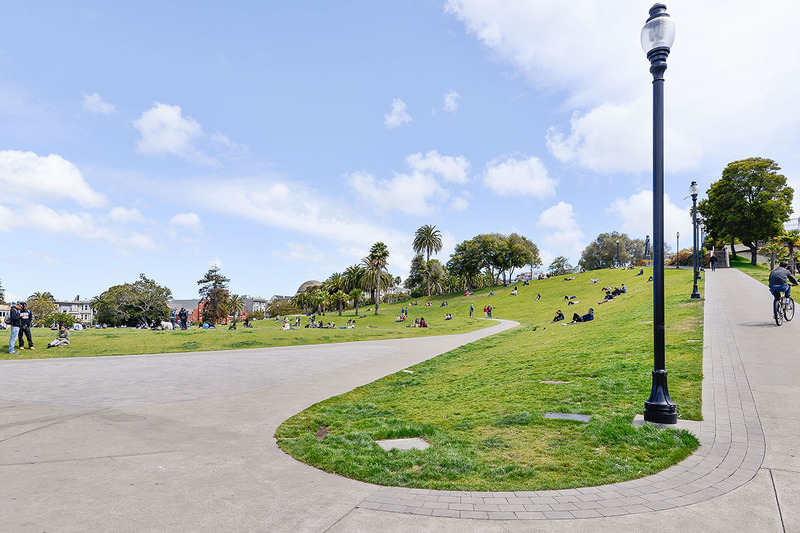 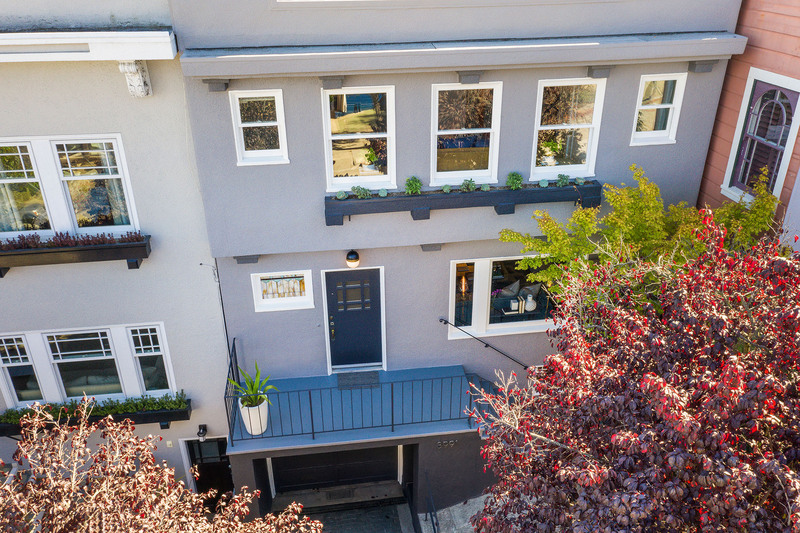 Perched on a prized Dolores Heights block, gently sloping toward spectacular views of San Francisco high-rises and Mission Dolores Park, one of the most popular public gardens and most sought-after amenity in the city. 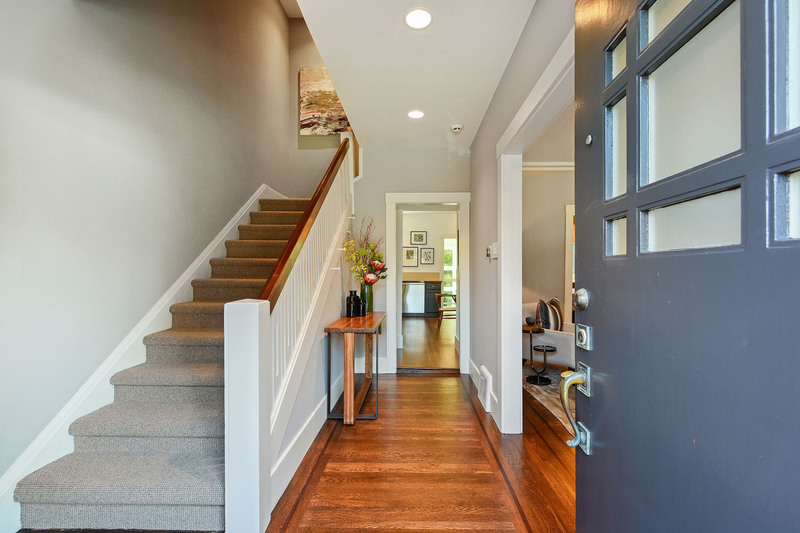 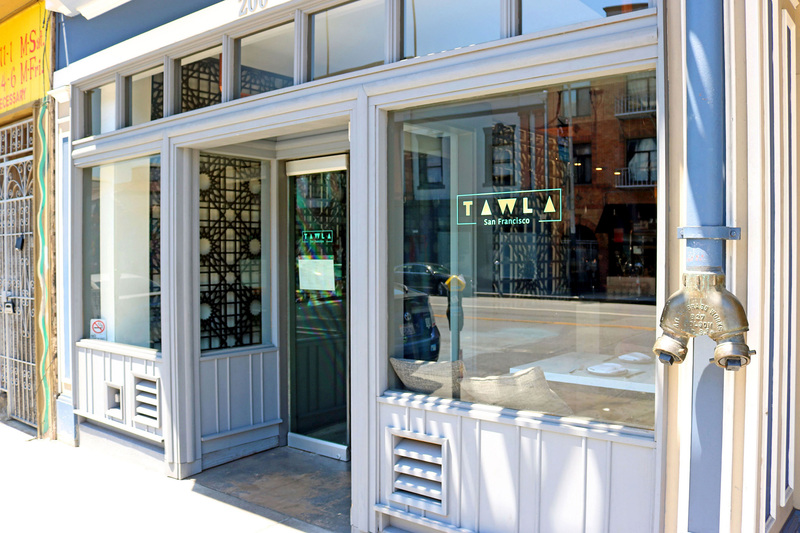 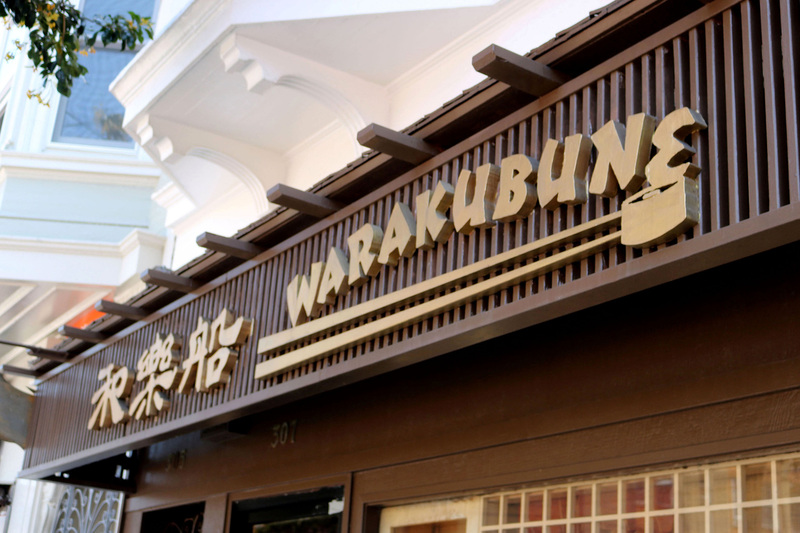 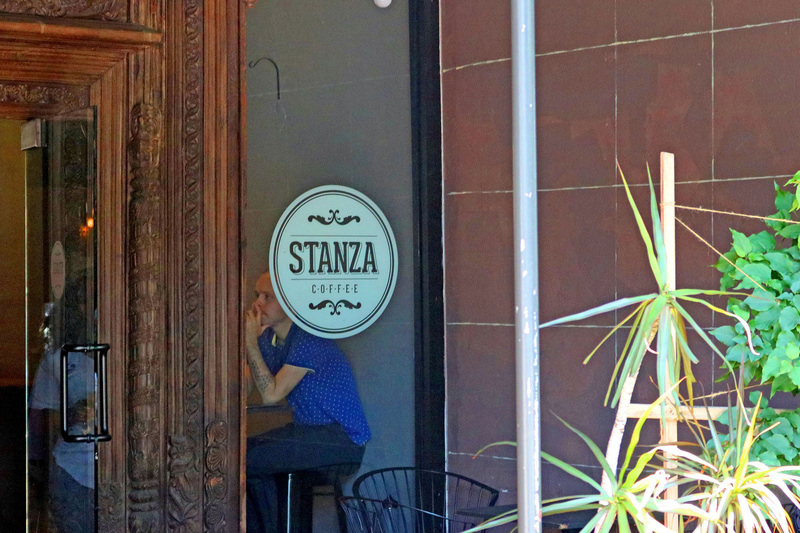 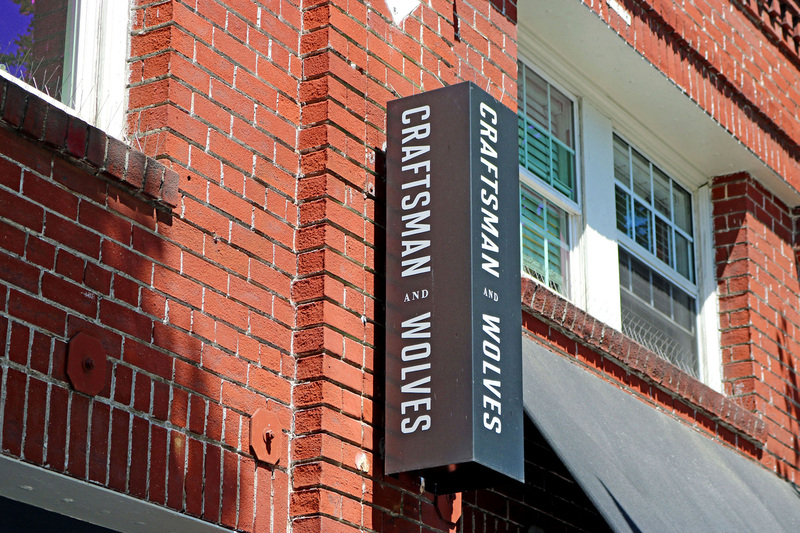 The craftsman façade is a handsome introduction to the blend of period and modern features to be found inside. 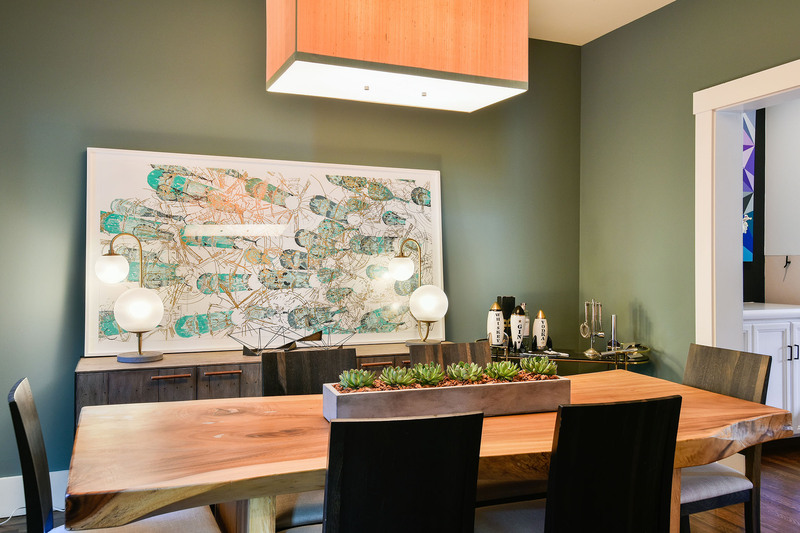 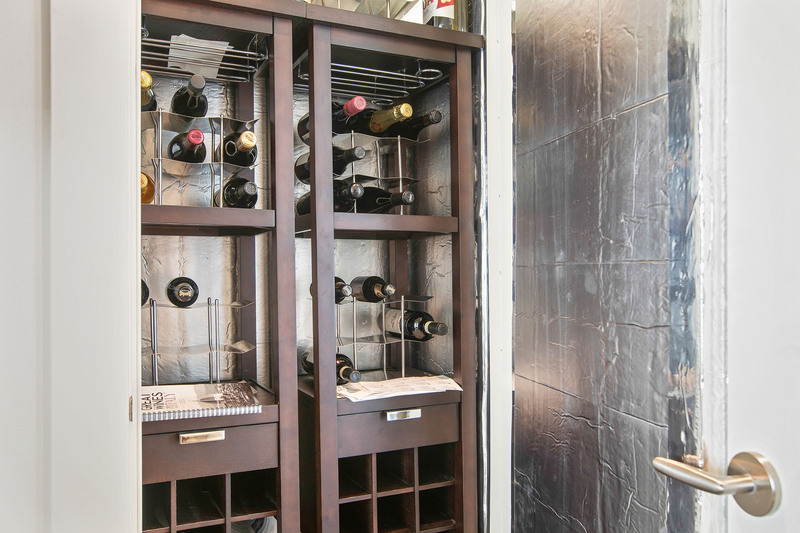 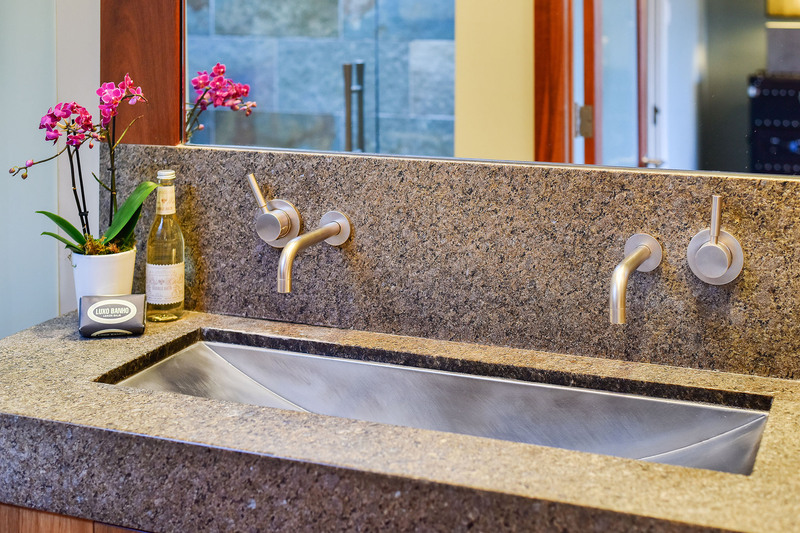 The highly functional layout has perfect entertaining flow. 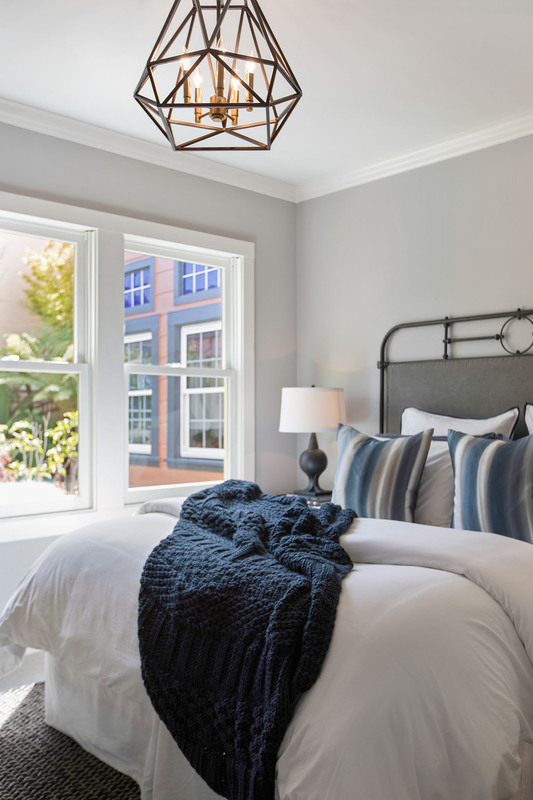 The living room has gorgeous casement windows that overlook a tree lined street and a custom designed wood-burning fireplace – the heart of the home. 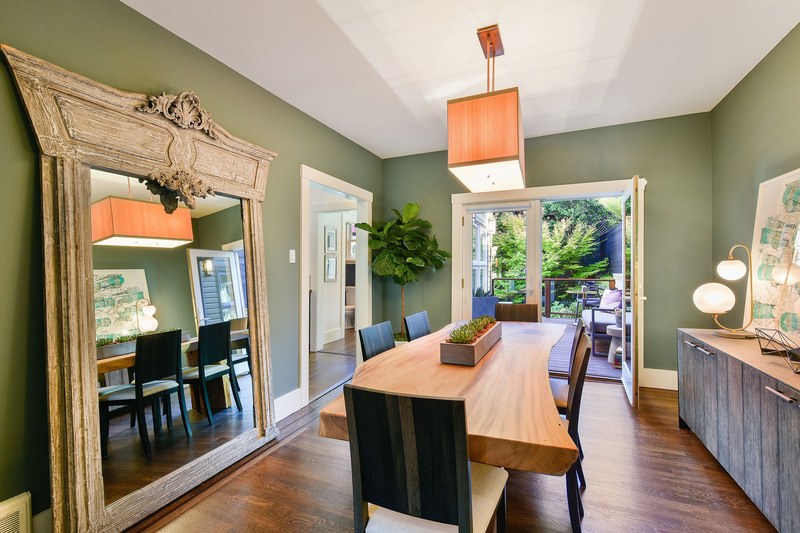 Warmed by oak hardwood flooring, the elegant dining room features coved ceilings and French doors opening up onto a South-facing Ipe deck overlooking the dramatic, mature landscaped garden oasis. 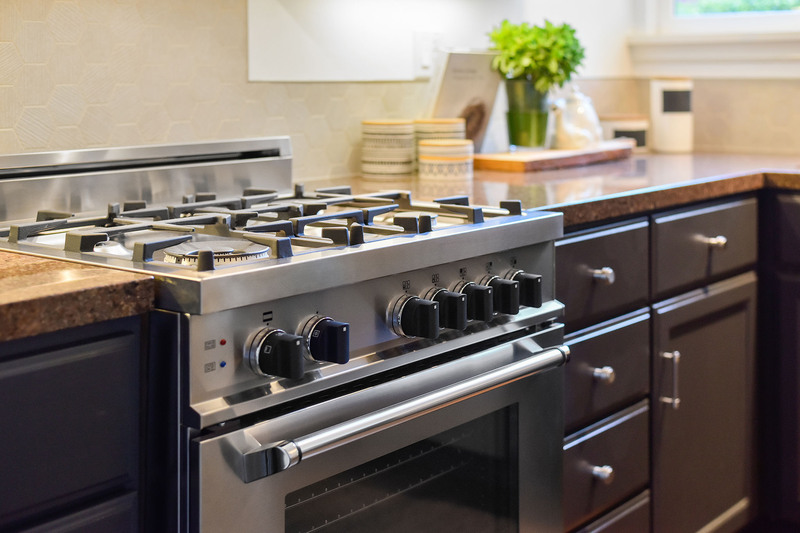 A tailored, stainless and granite kitchen is outfitted with gas range, robust storage, augmented by a large pantry and utility closet. 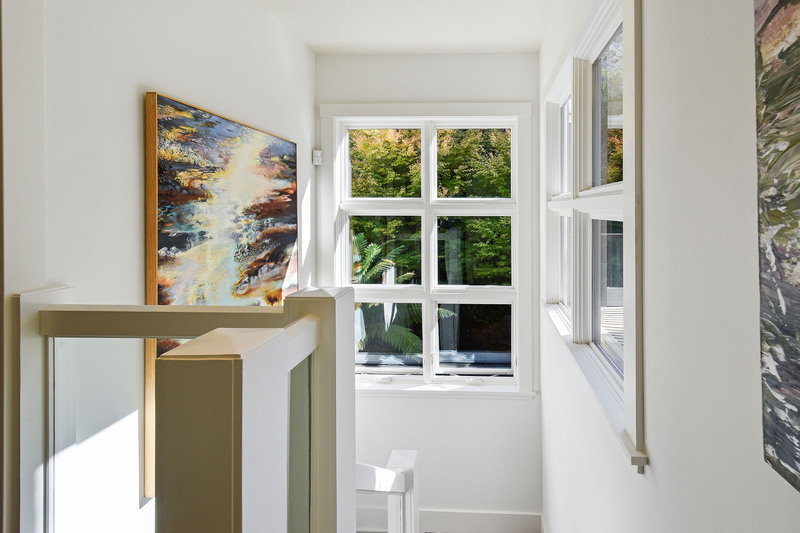 The airy modern staircase provides clever visual access to the leafy garden and progresses to the lower rooms. 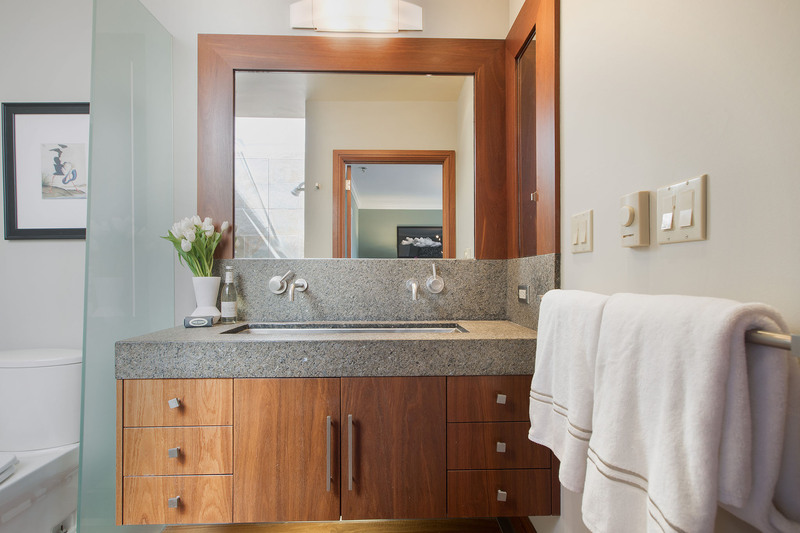 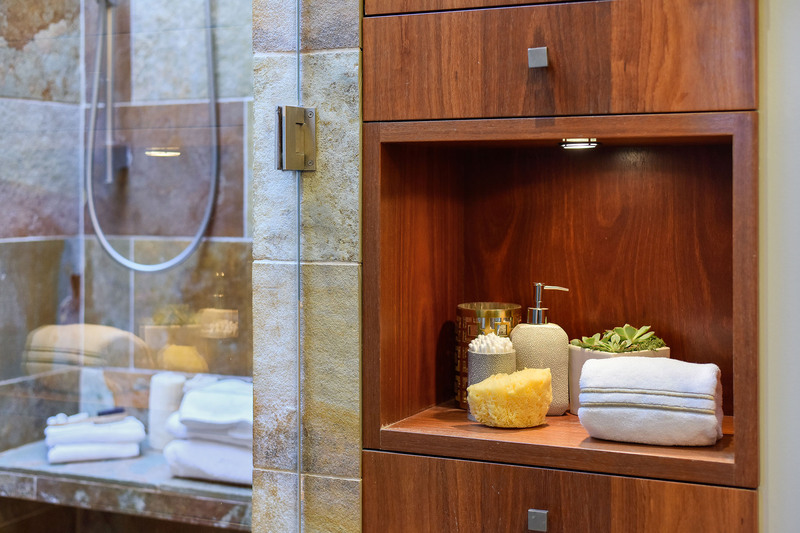 Upstairs a luminous master suite, stunning bespoke mahogany and natural stone bath creates a true sanctuary with Northeastern city views. 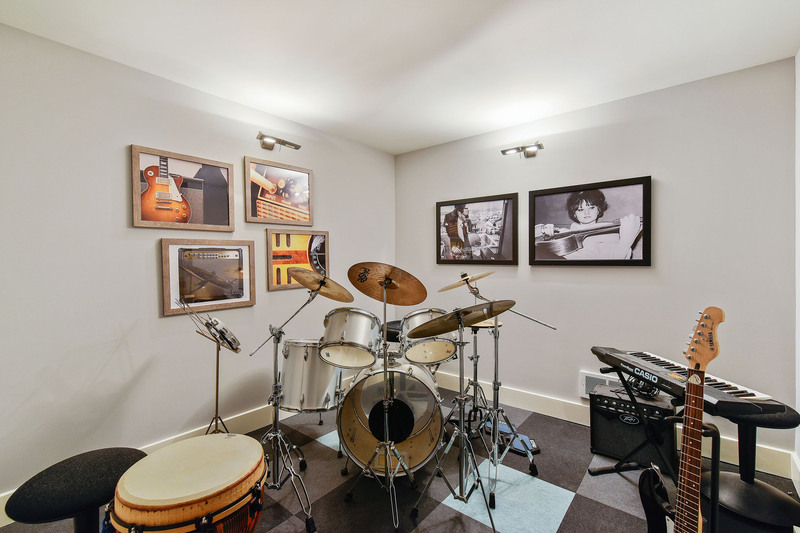 Pristine shared bath serves two additional bedrooms, one currently used as an office with a private view deck. 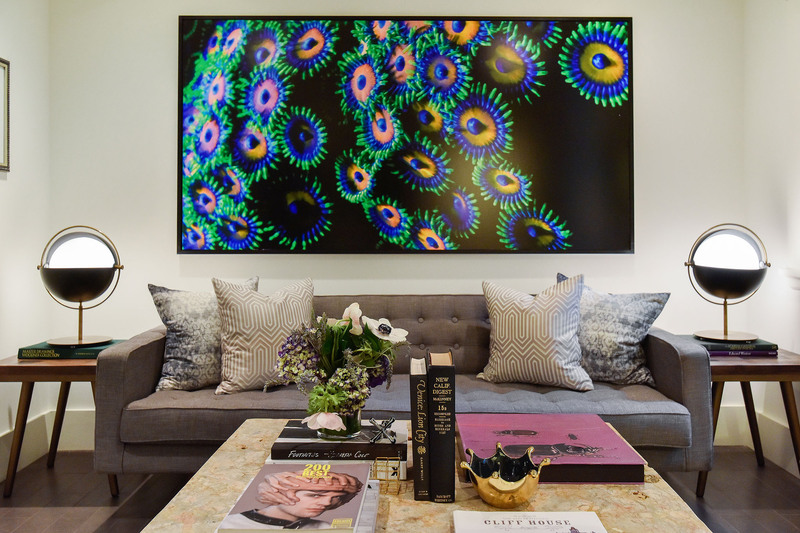 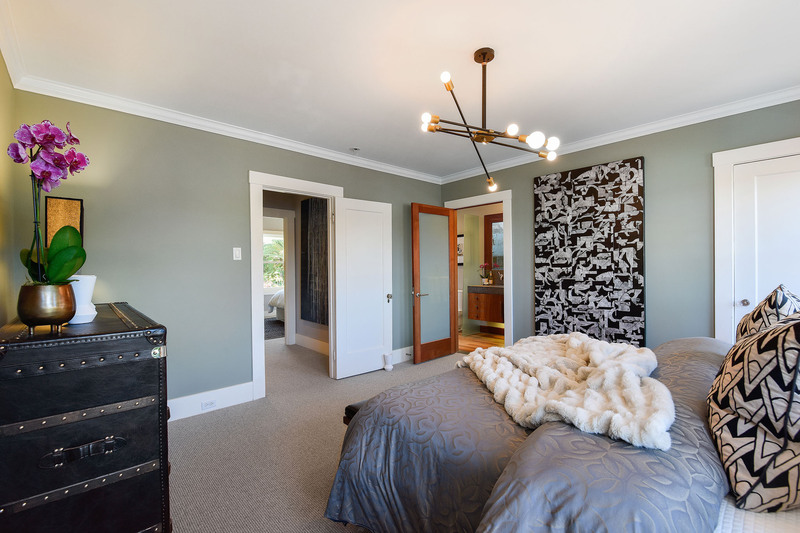 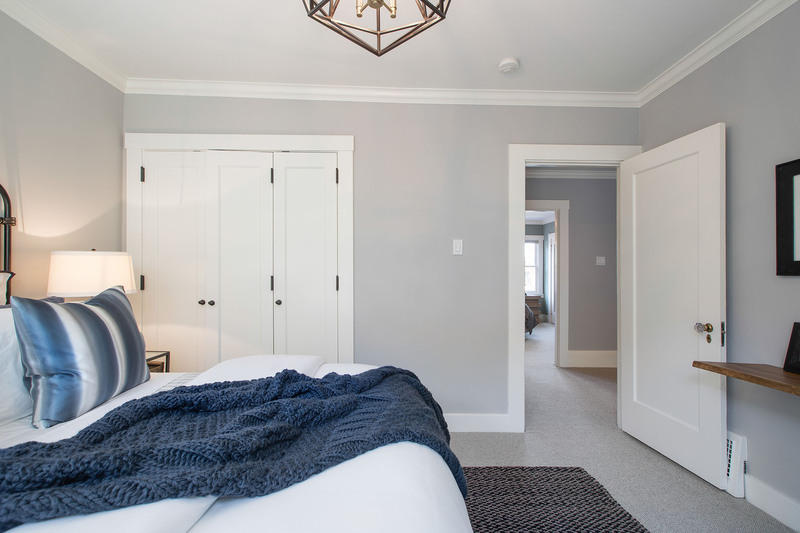 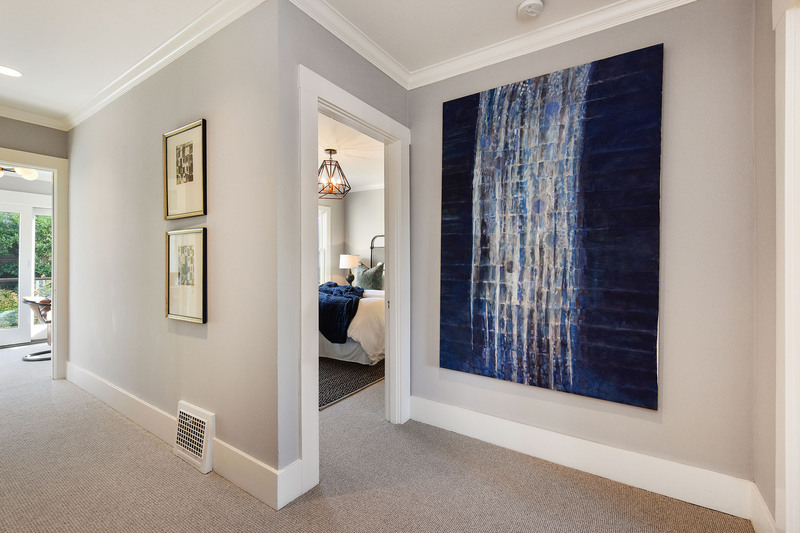 Downstairs are a media room, designed for tough use with radiant heat and Italian auto show-room tiling, an additional potential bedroom/office with direct access to the peaceful verdant garden, climate-controlled wine storage, and a sound insulated music room. 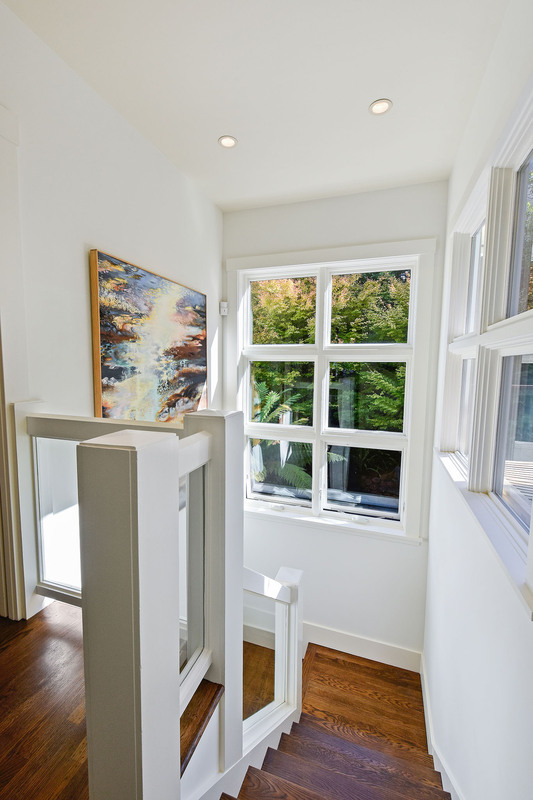 Completing the home at this level are laundry, utility room with new high-efficiency furnace, storage and one car garage. 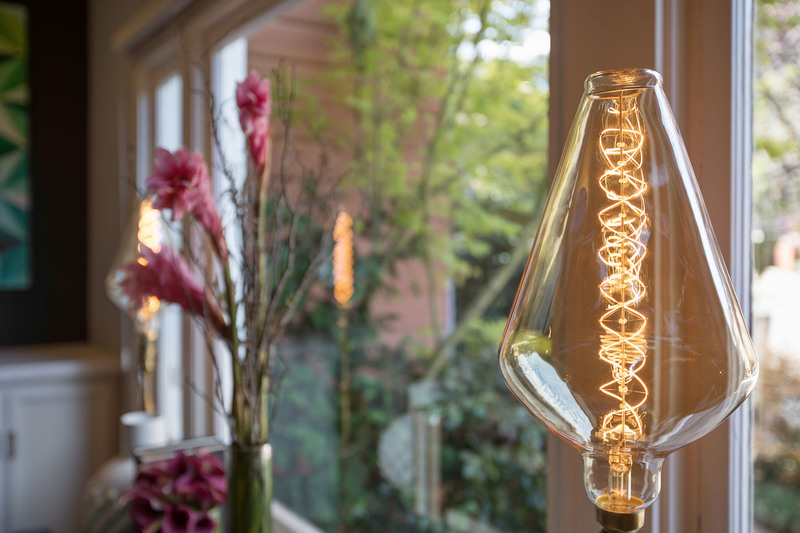 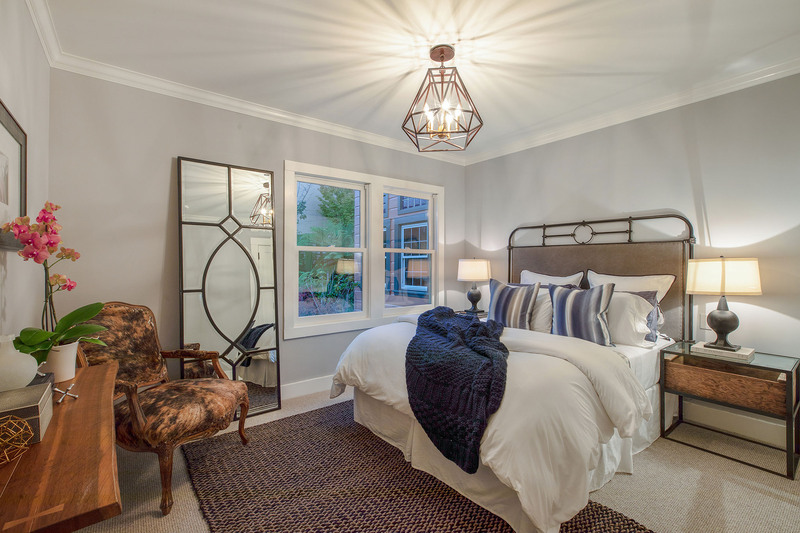 The home has been enhanced with full solar array, new designer lighting and color scheme, new carpet, and garden irrigation. 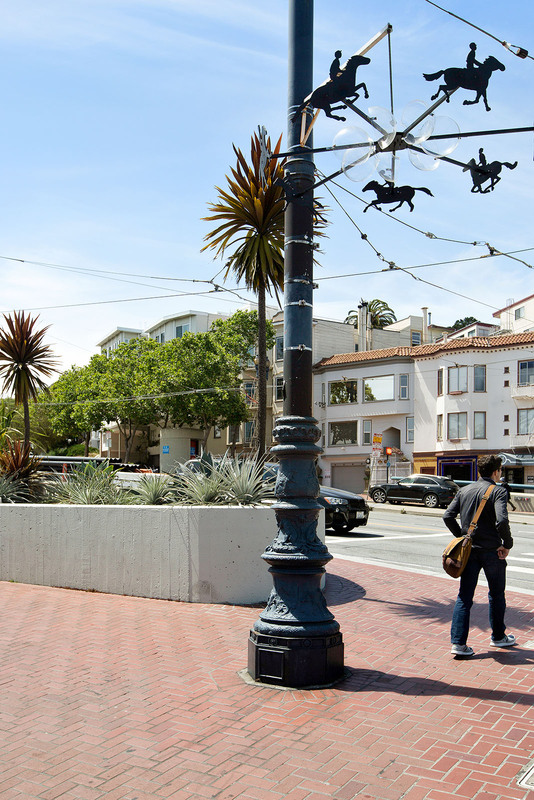 Above ground wiring has been eliminated from the block producing unobstructed views. 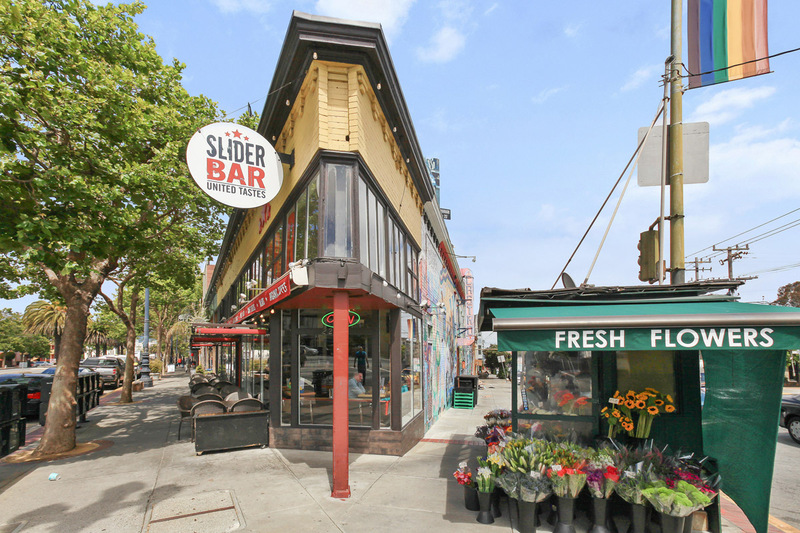 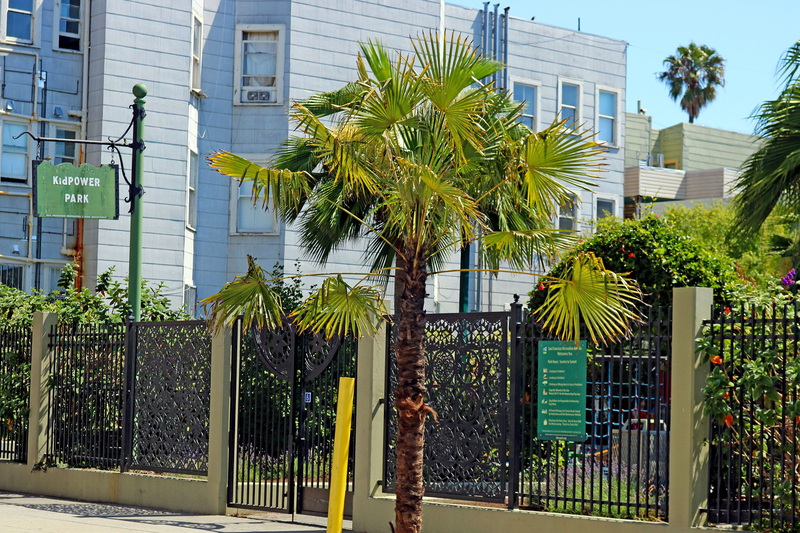 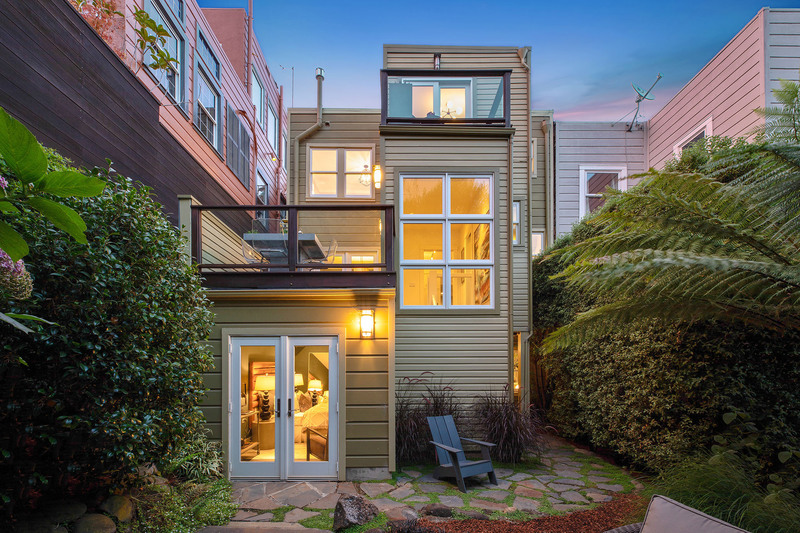 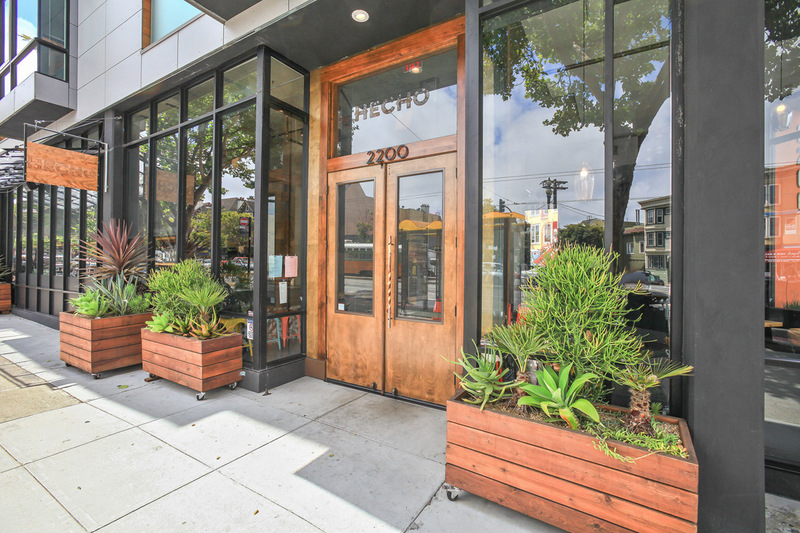 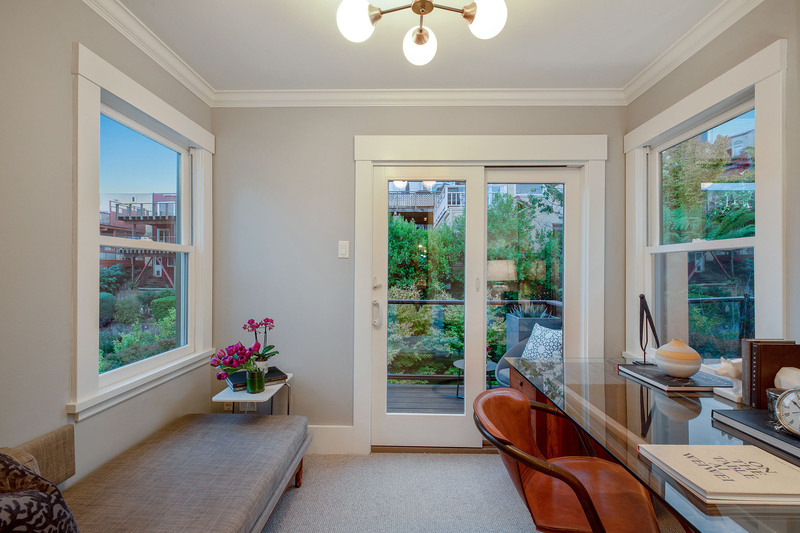 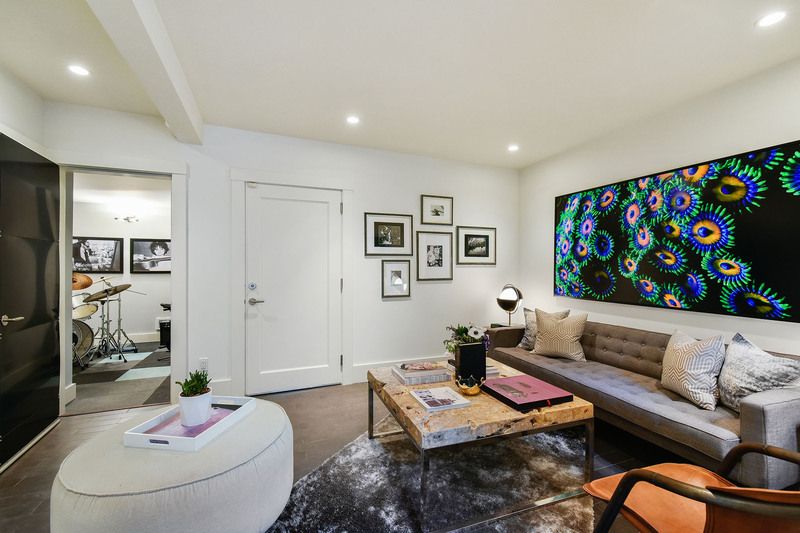 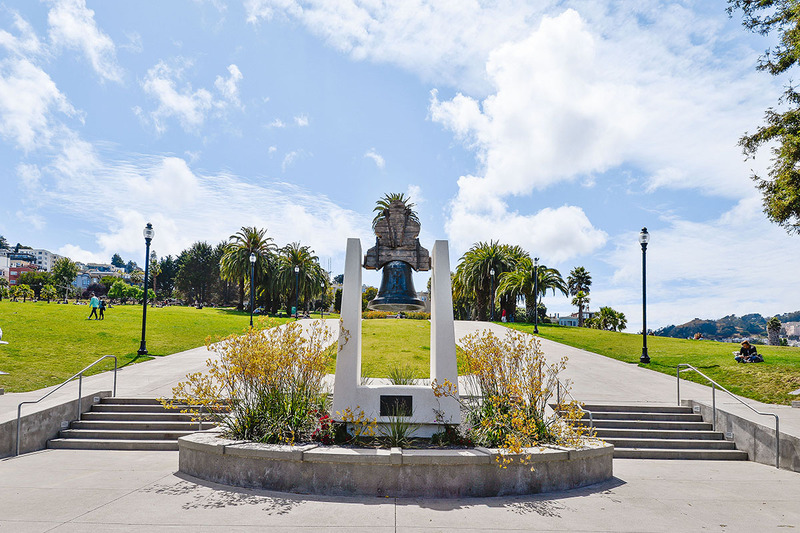 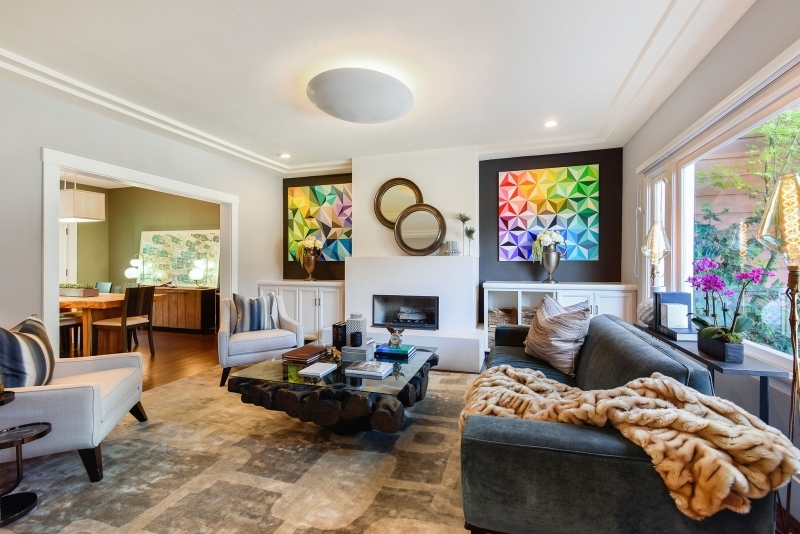 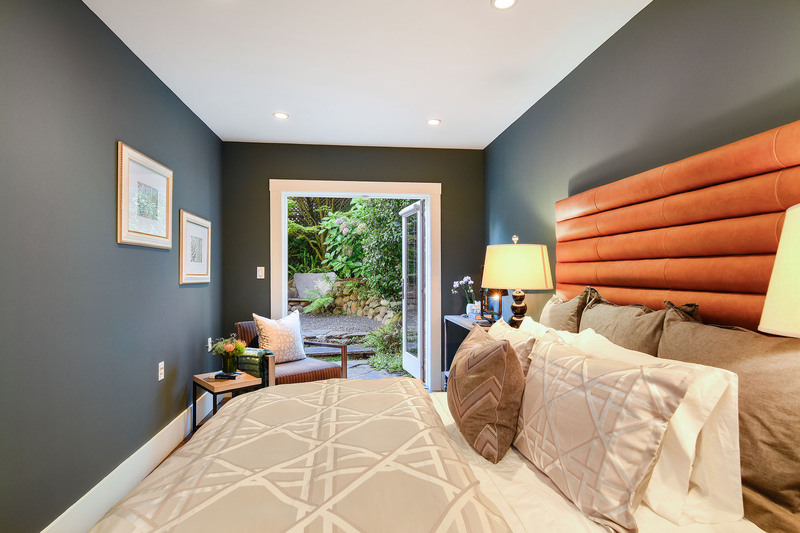 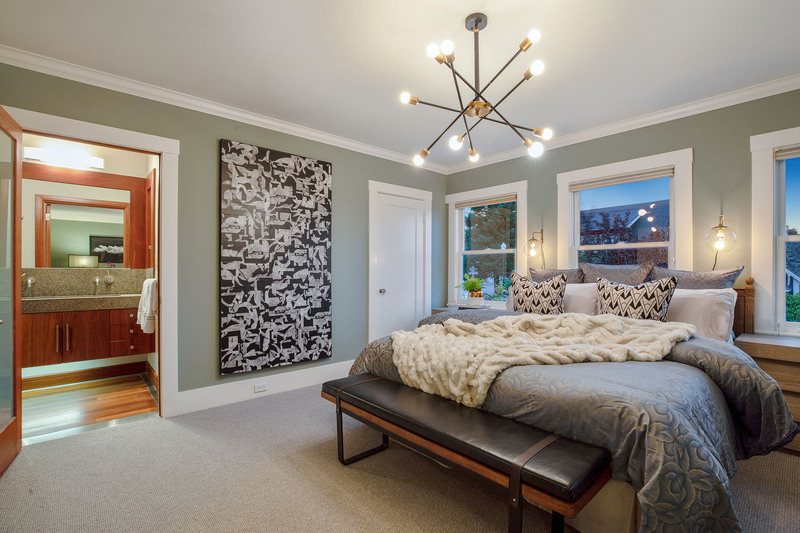 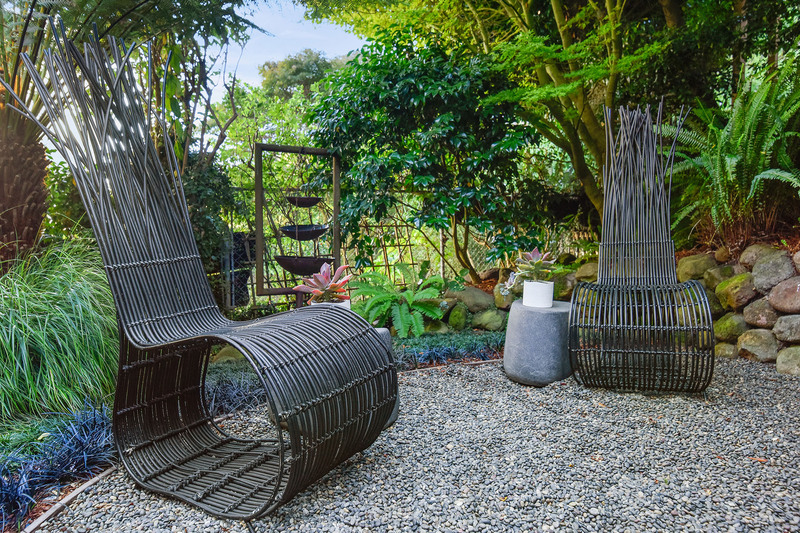 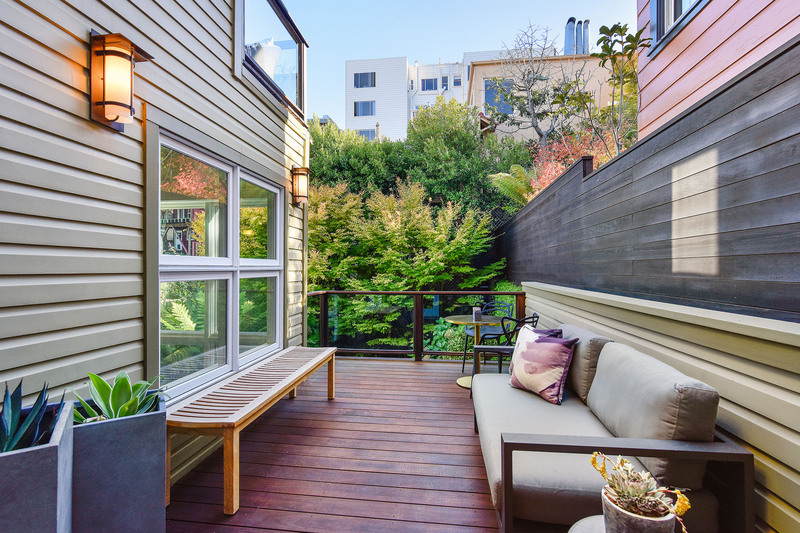 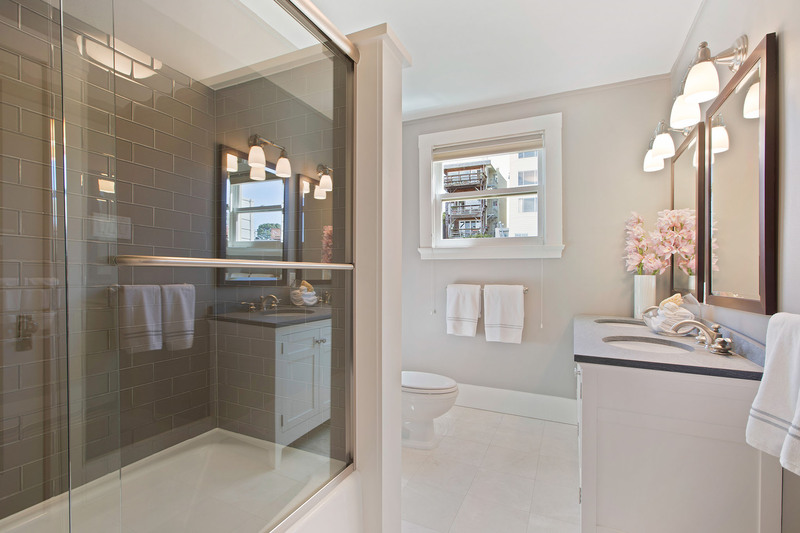 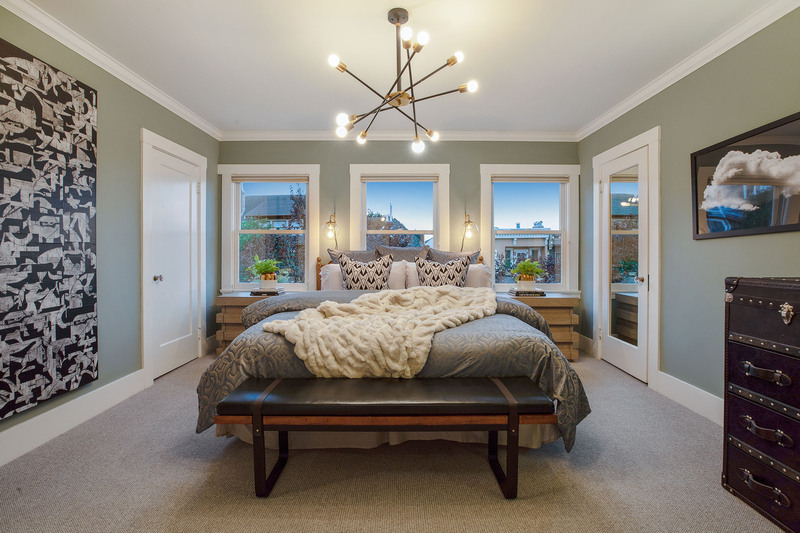 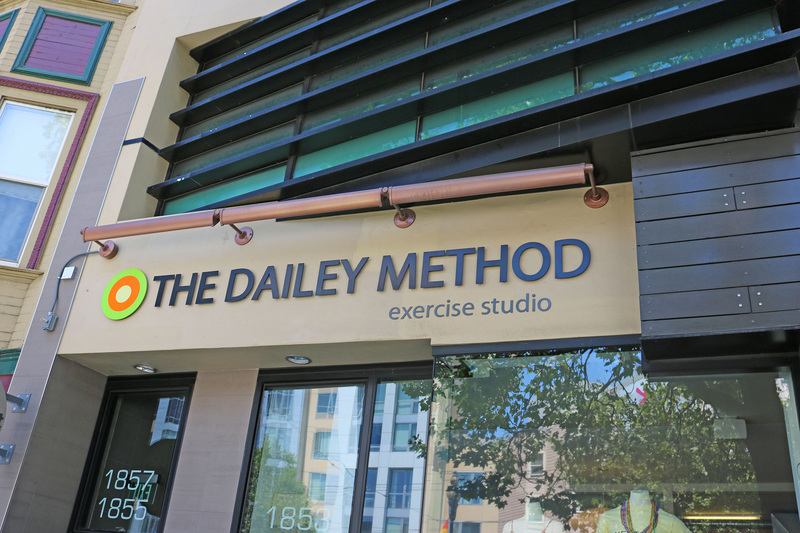 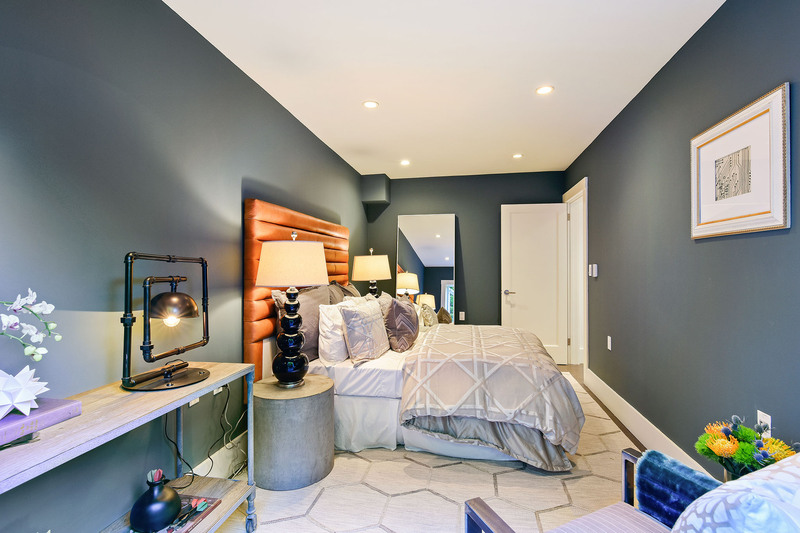 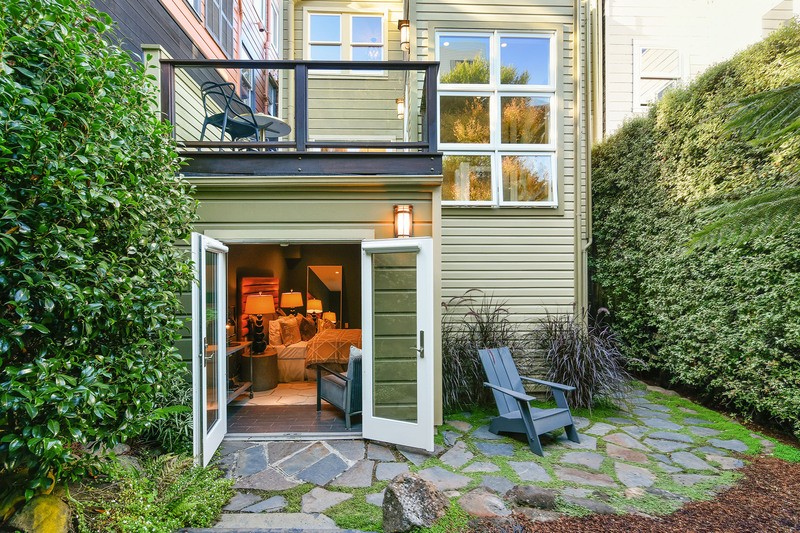 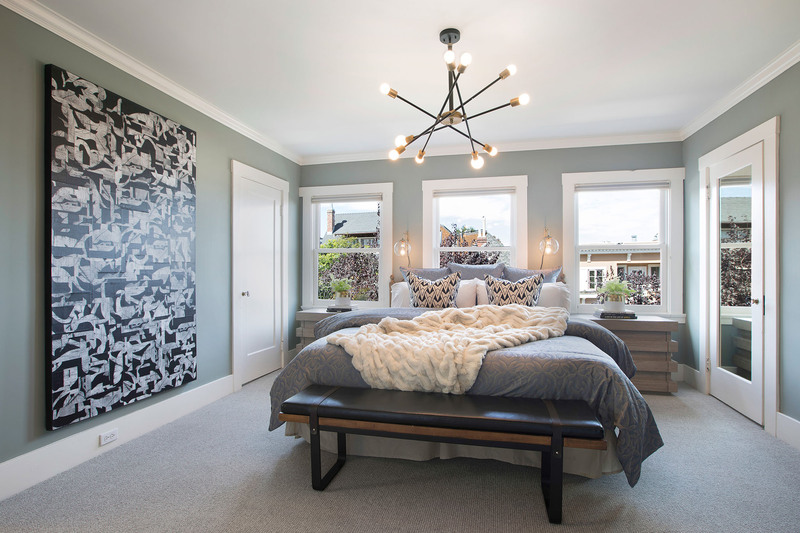 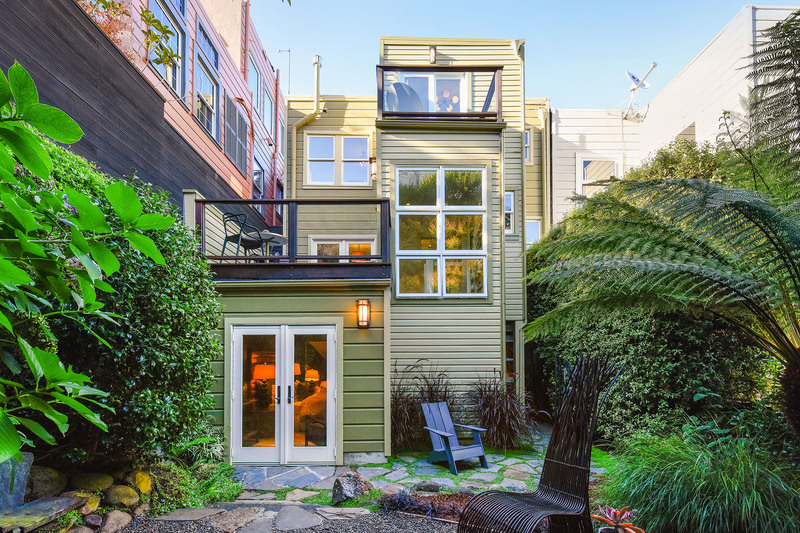 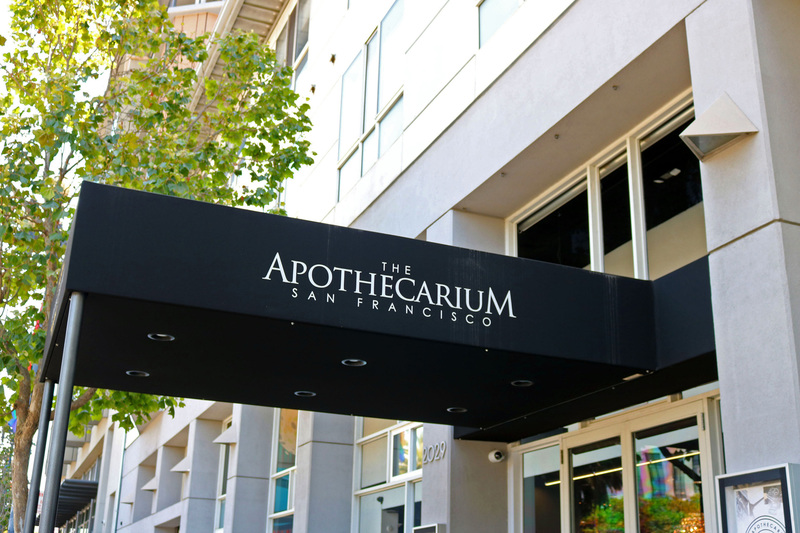 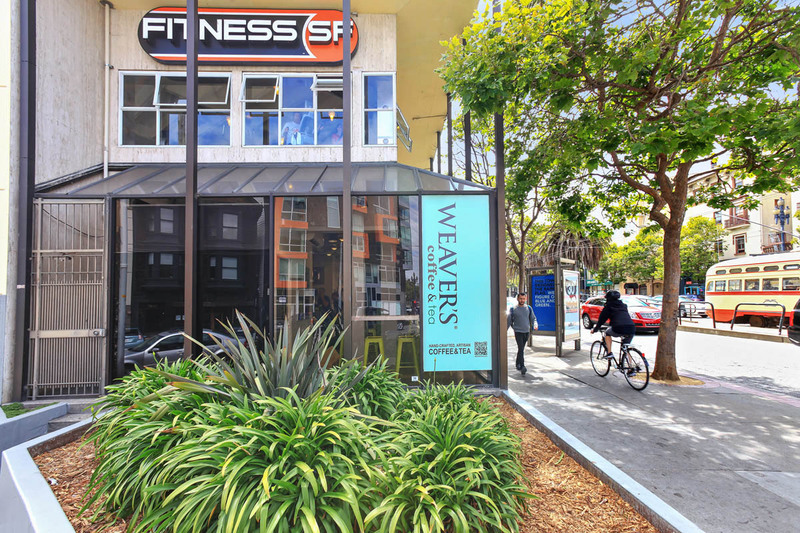 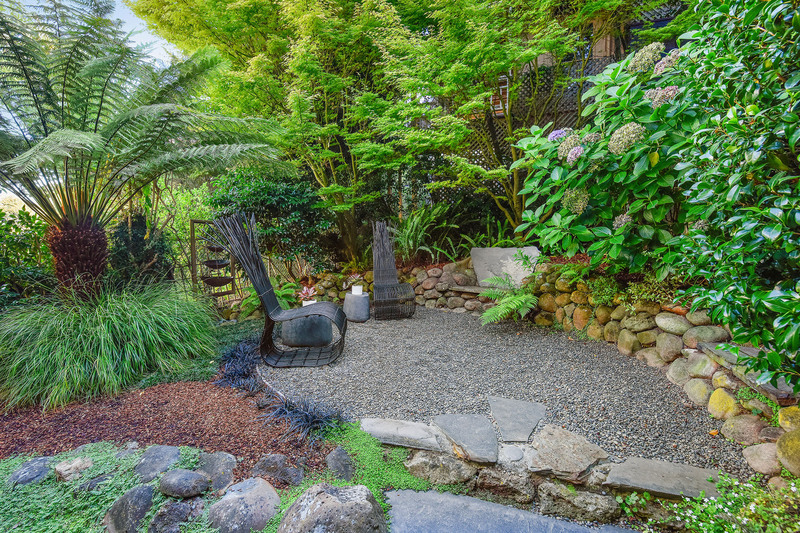 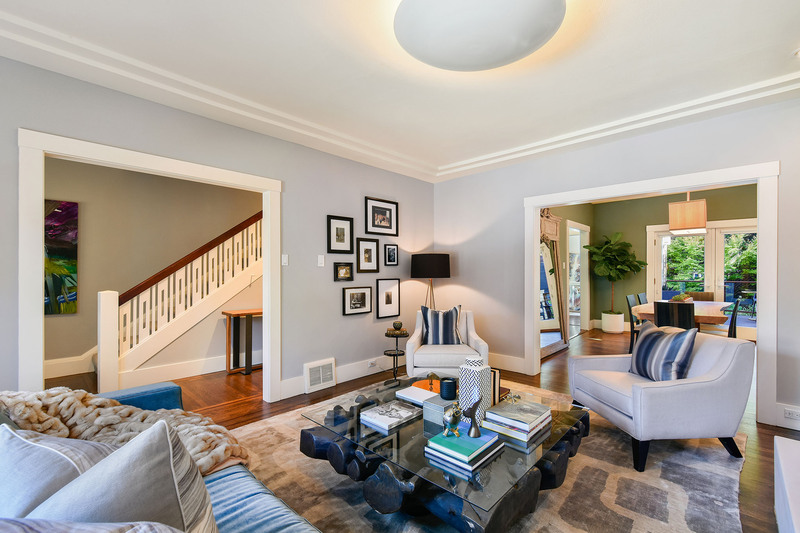 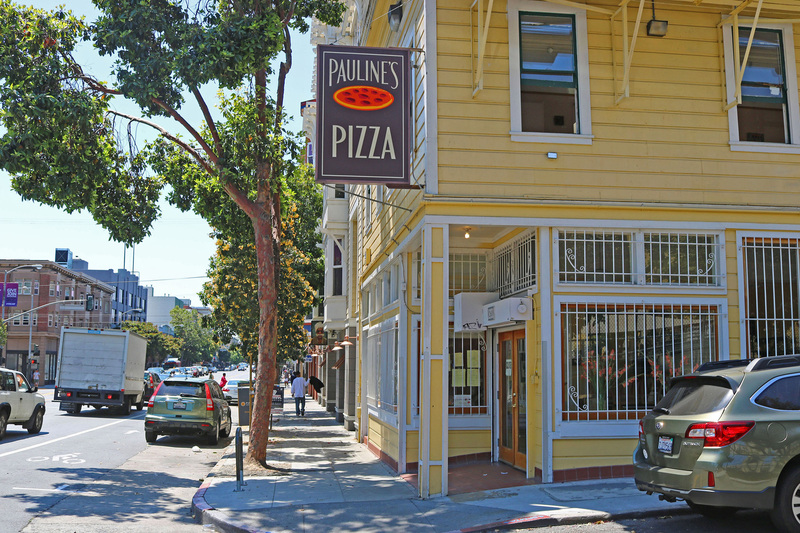 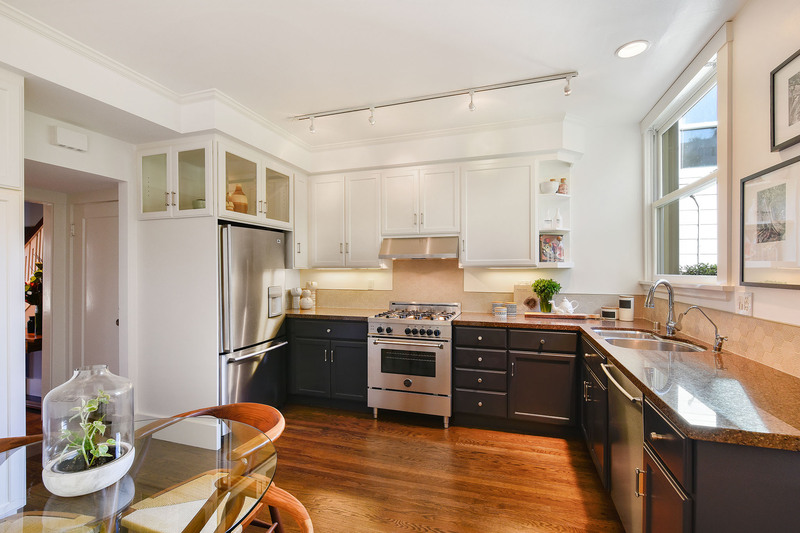 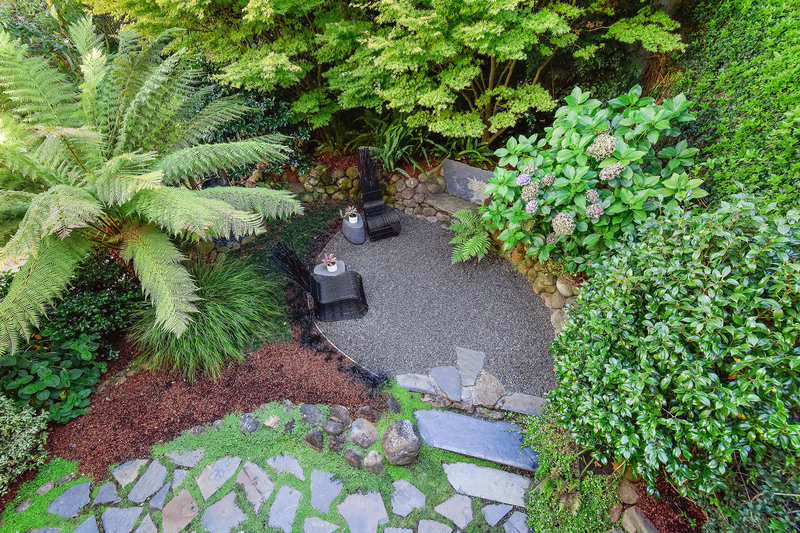 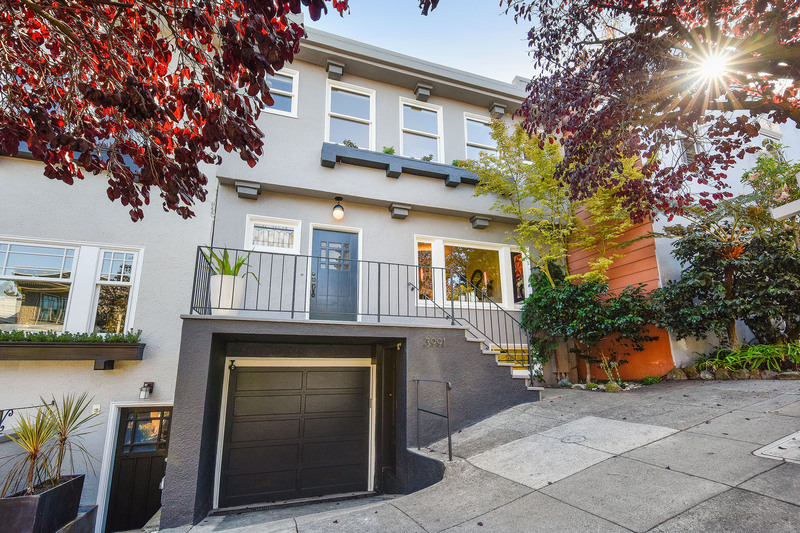 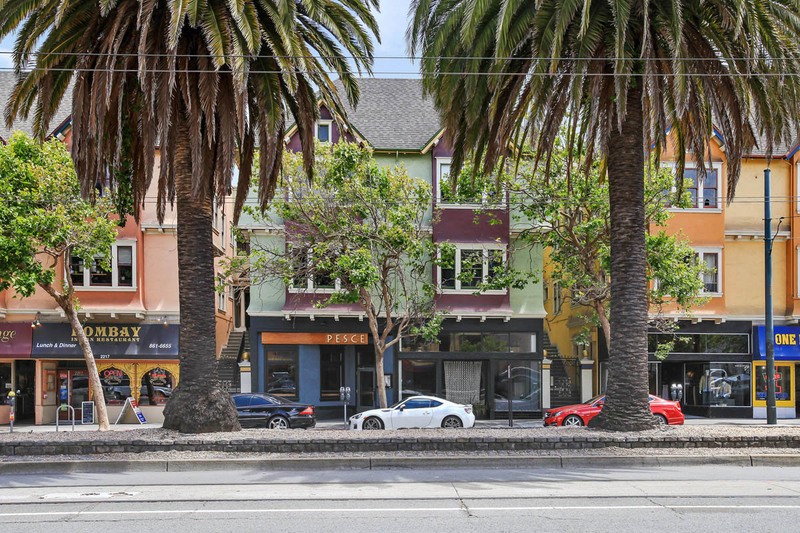 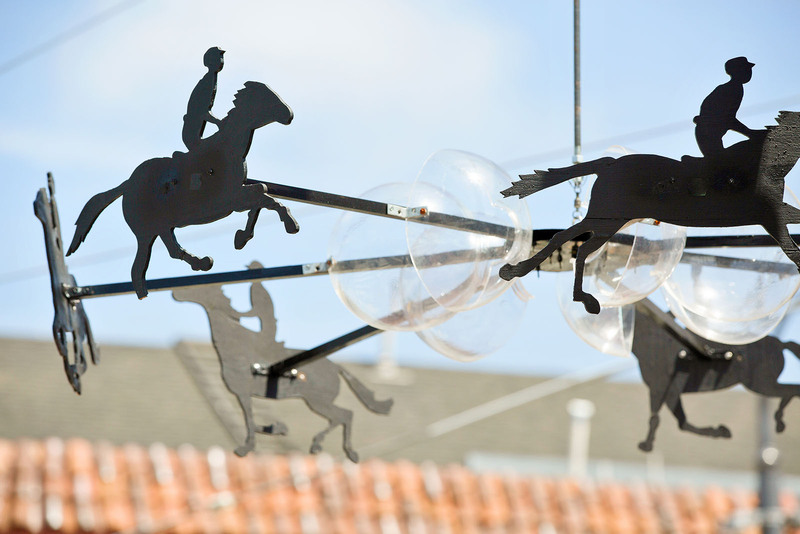 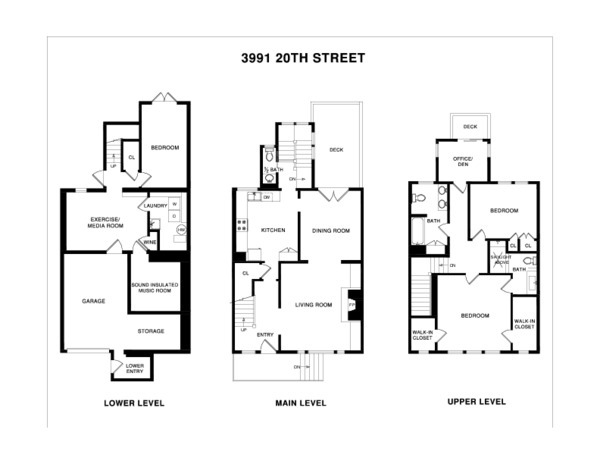 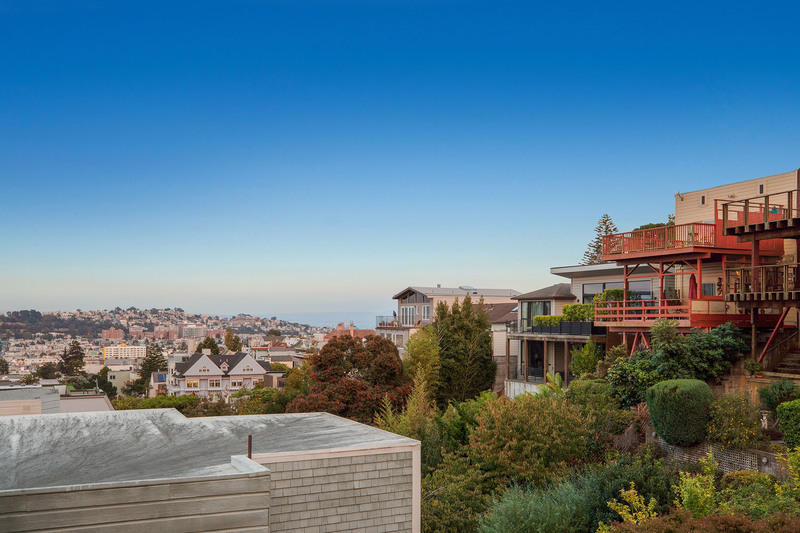 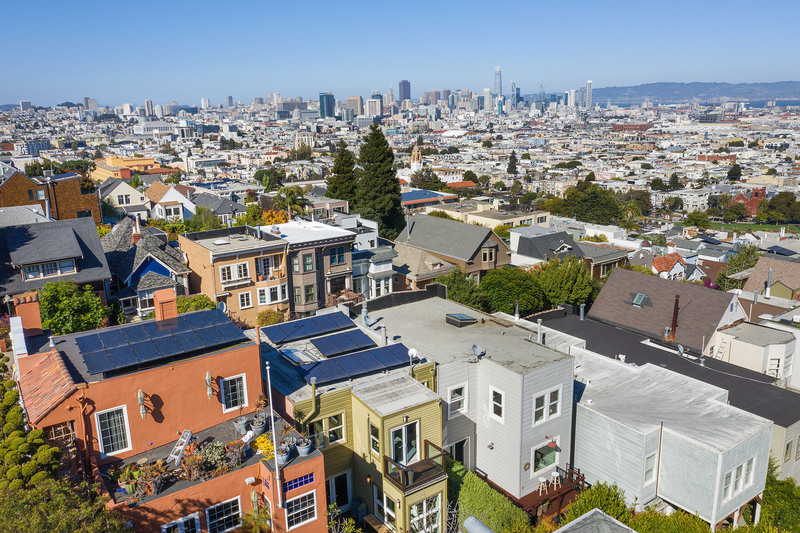 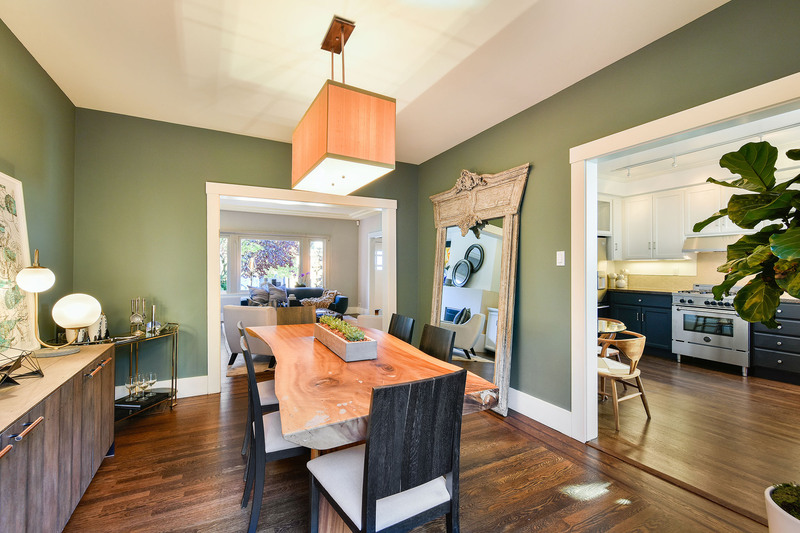 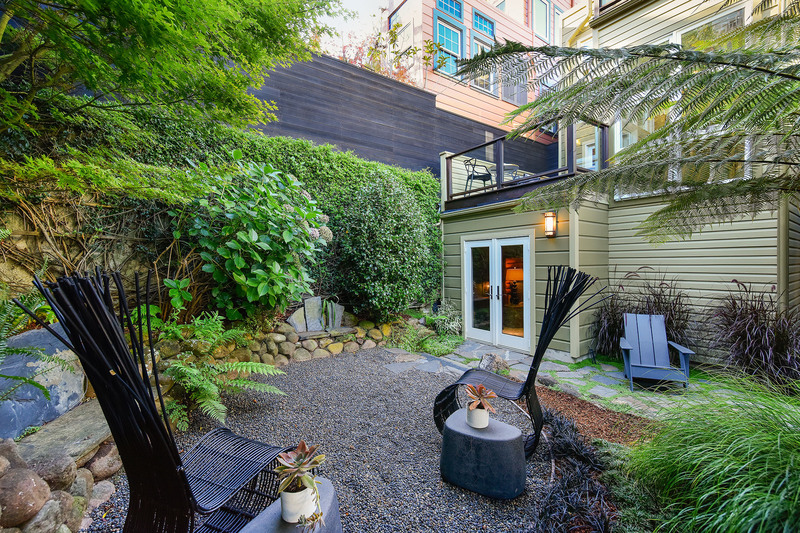 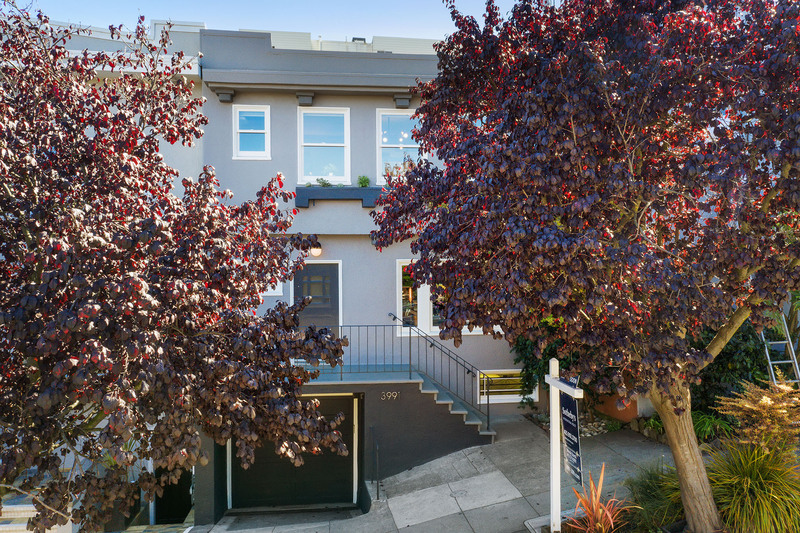 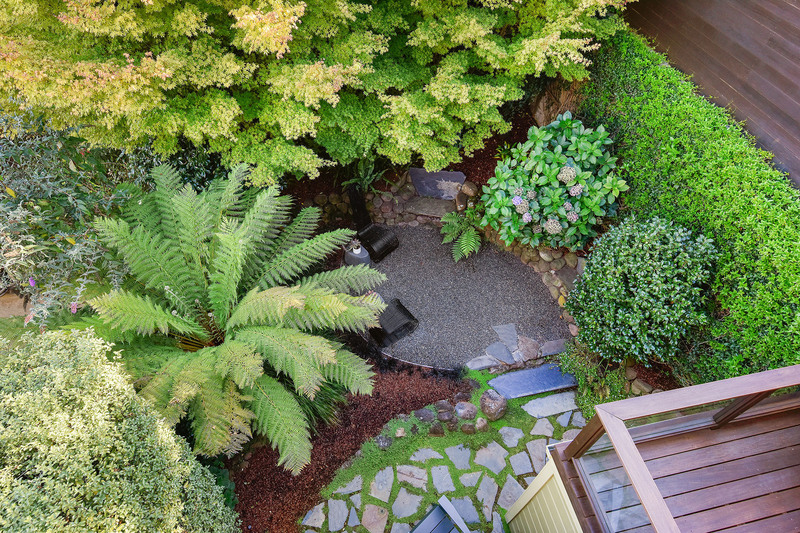 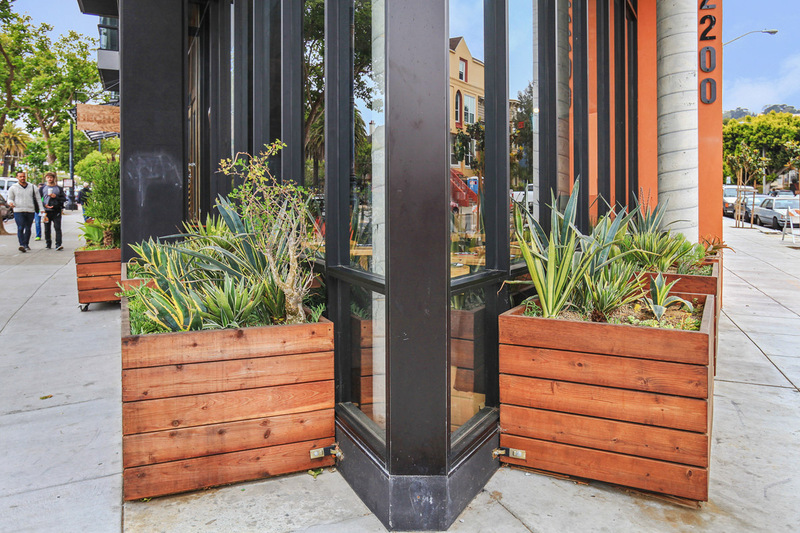 Dolores, Castro and the Mission put this special home at the epicenter of what most buyers want. 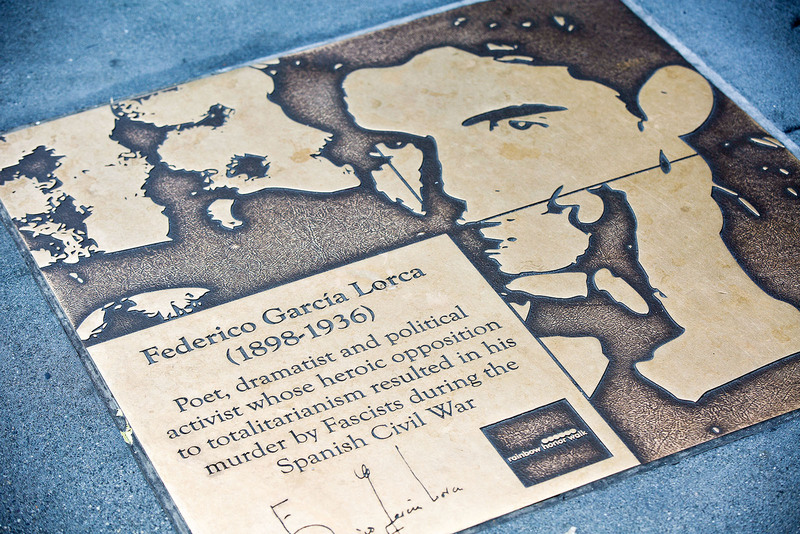 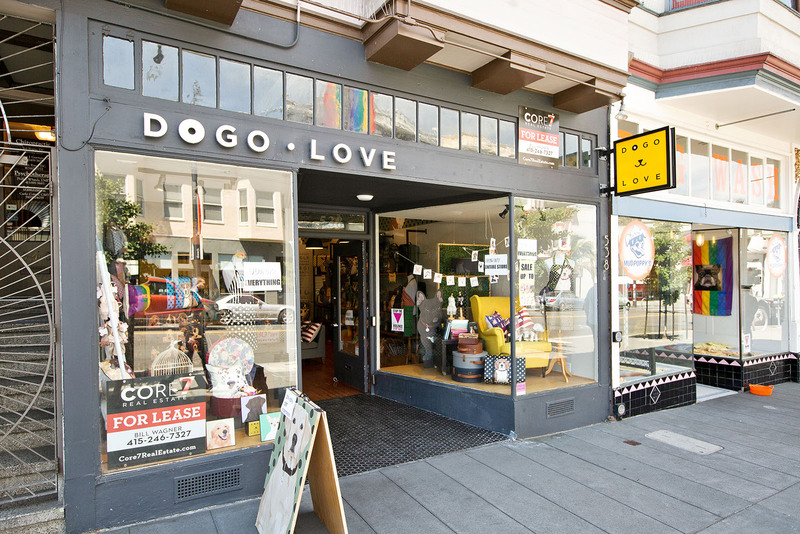 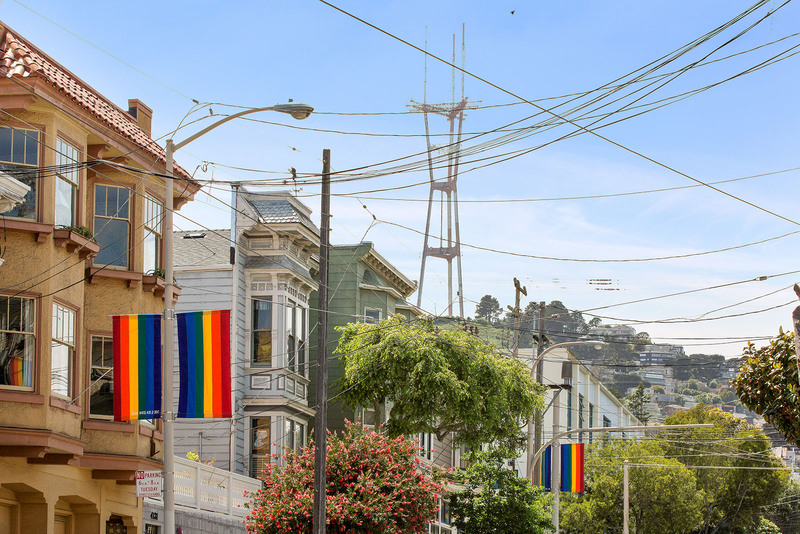 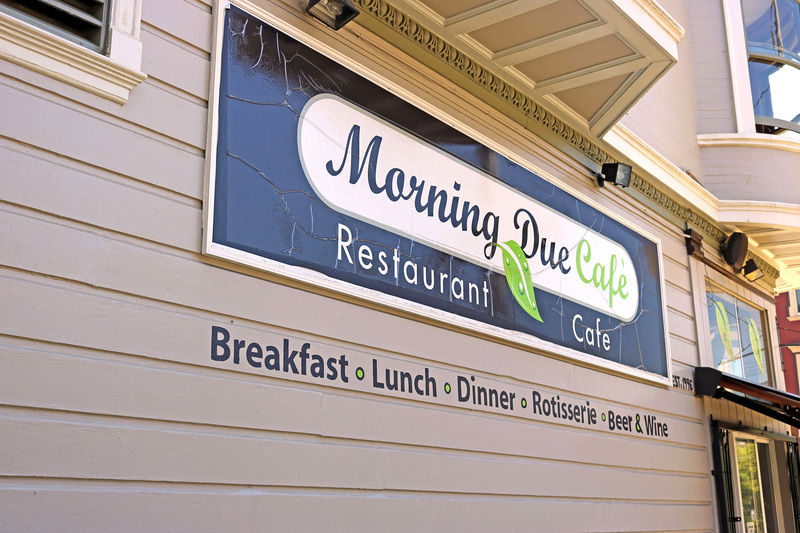 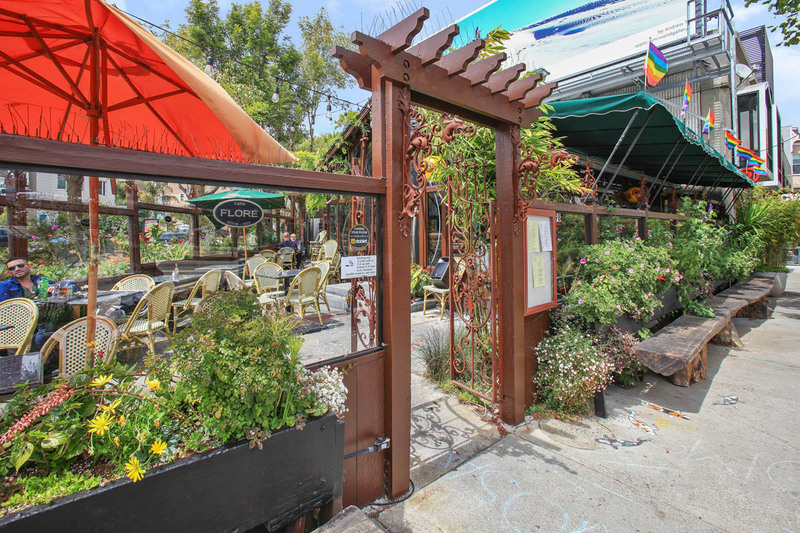 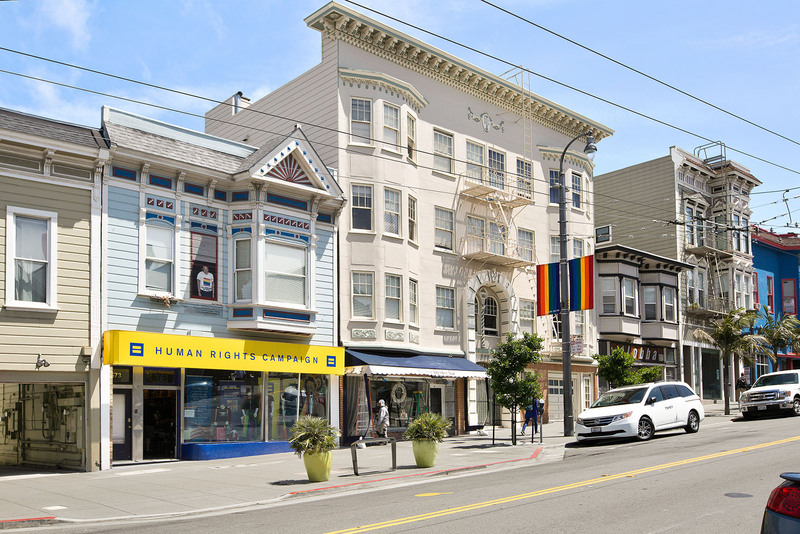 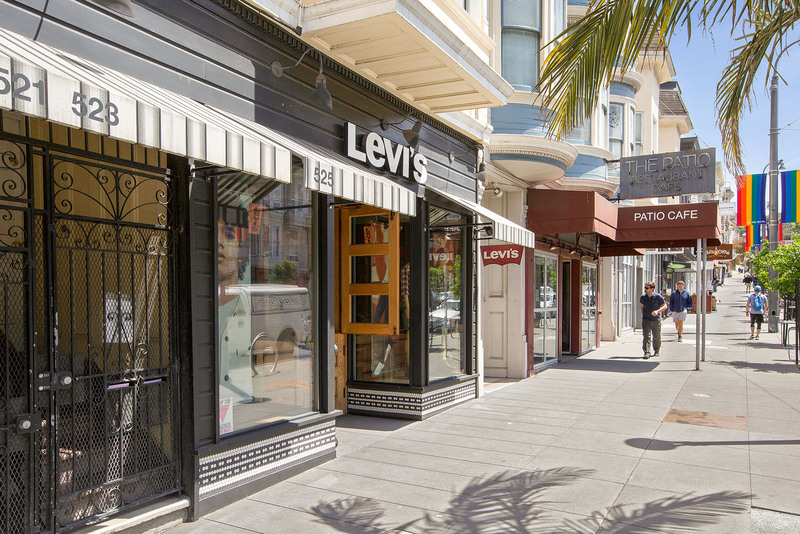 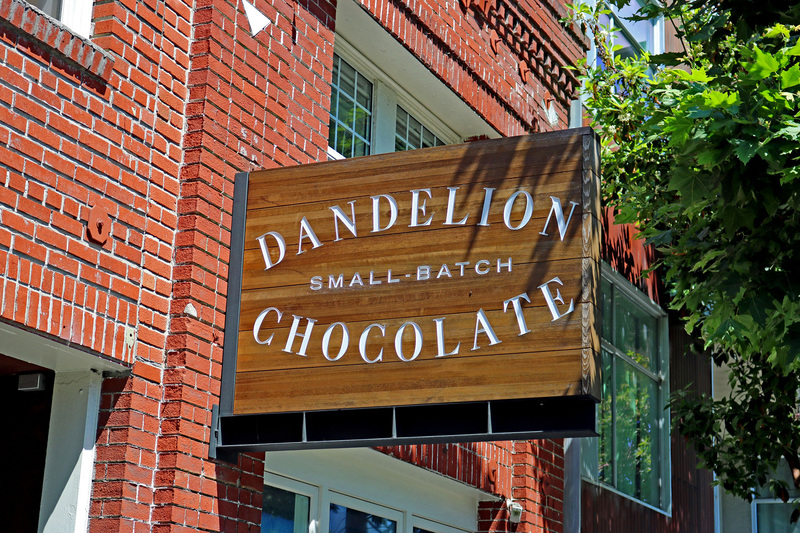 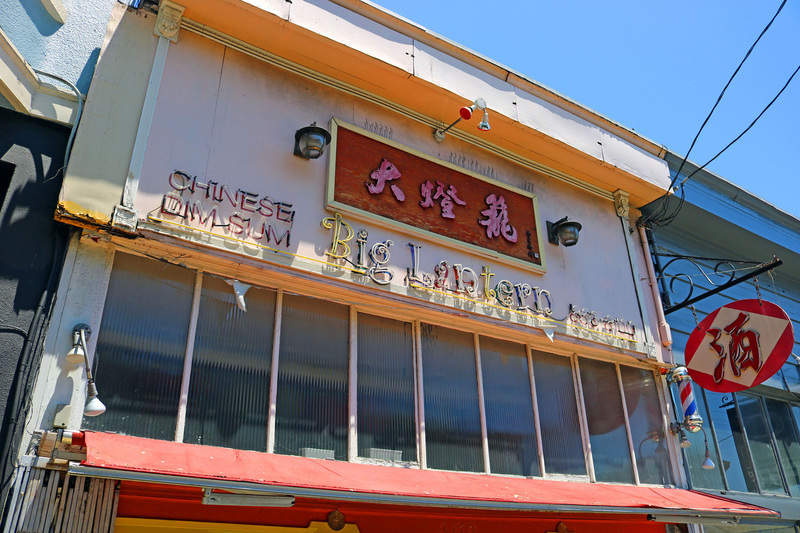 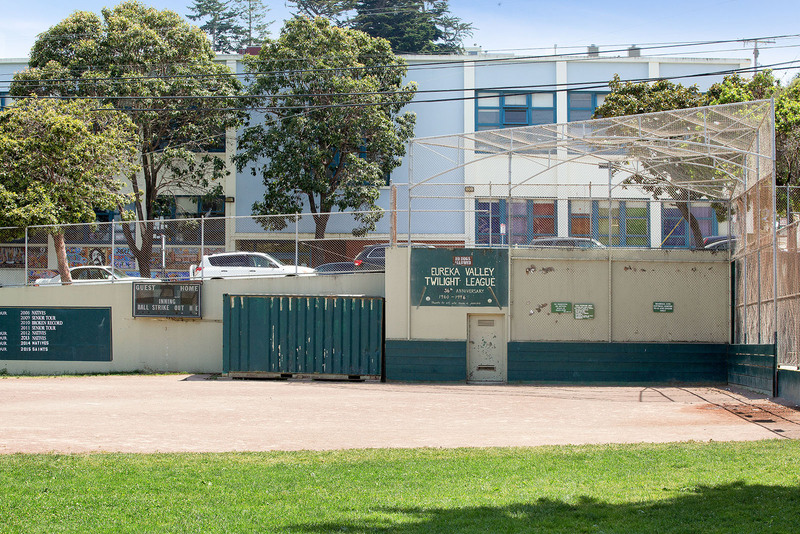 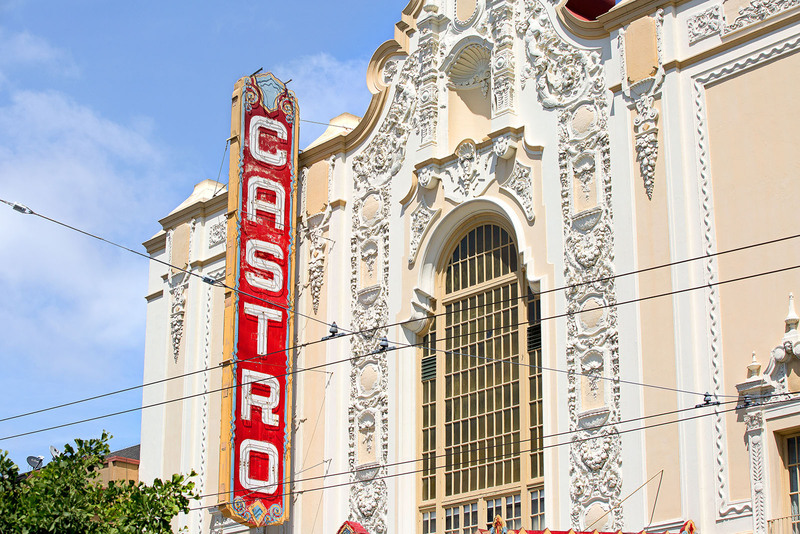 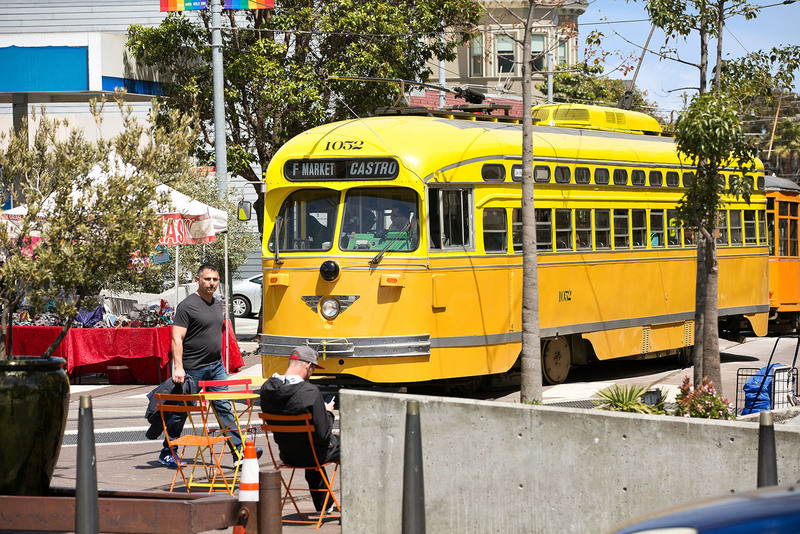 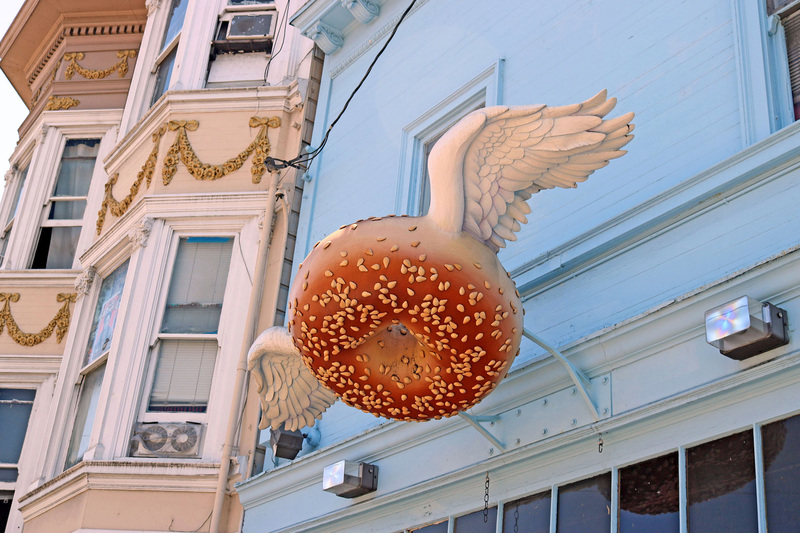 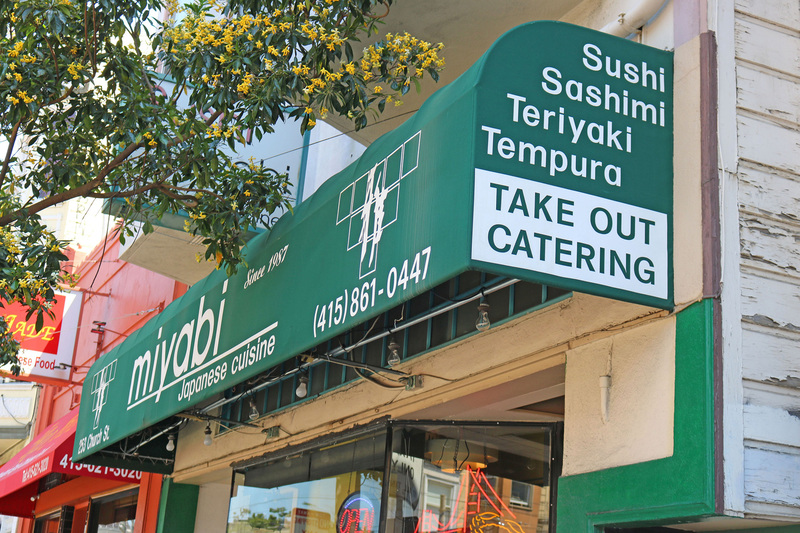 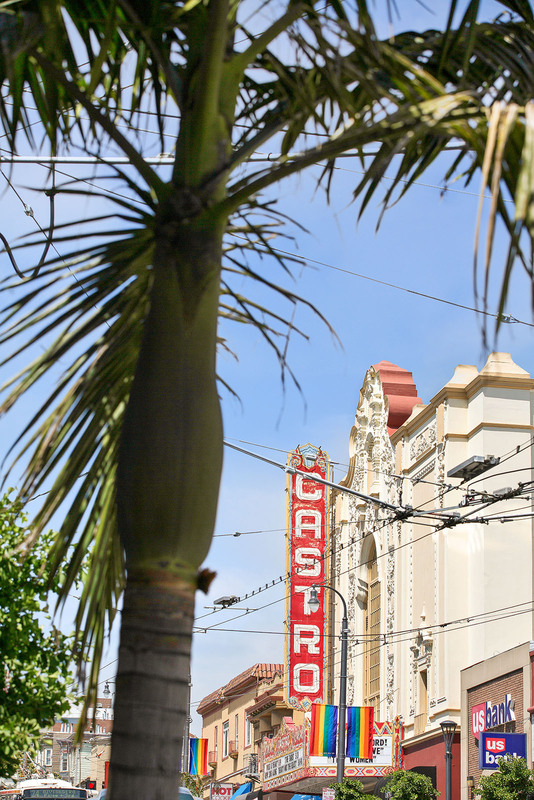 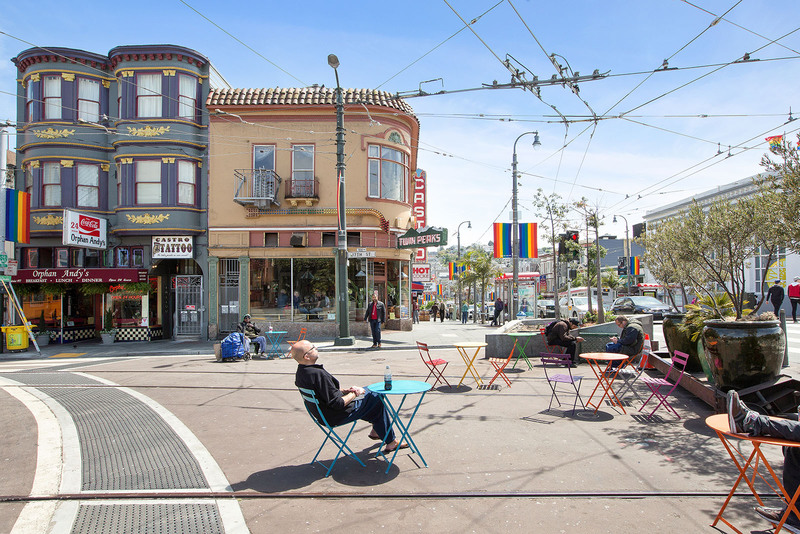 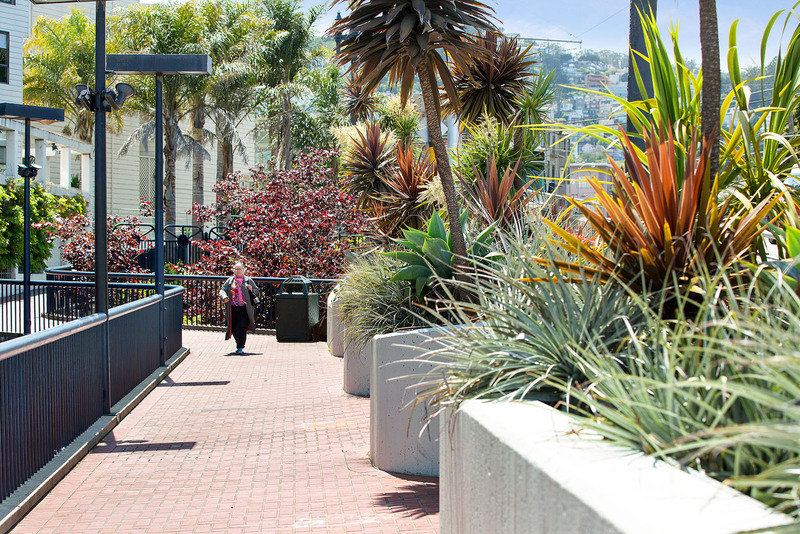 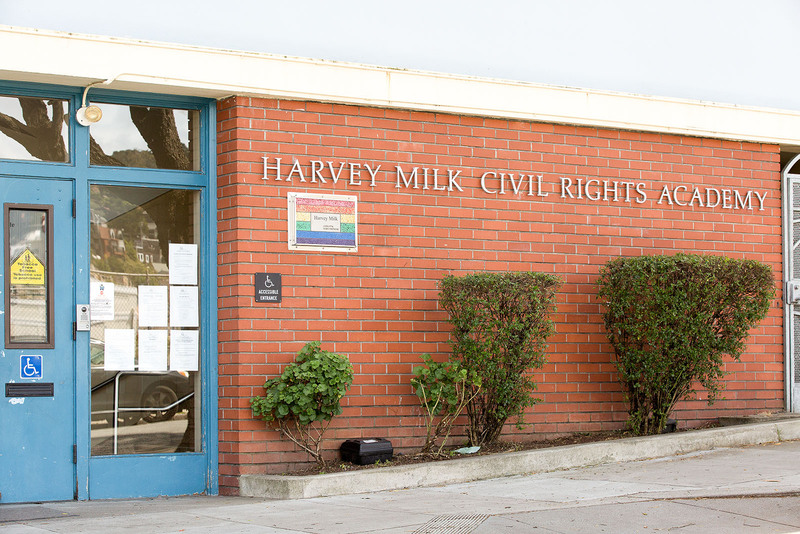 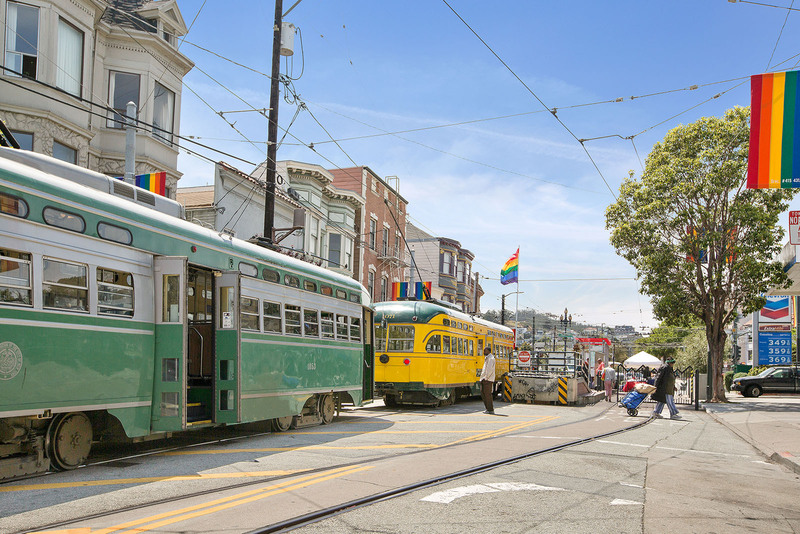 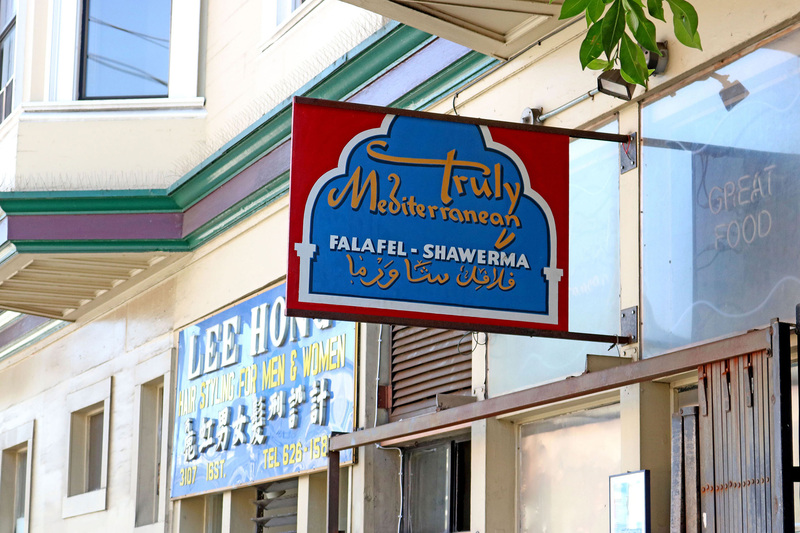 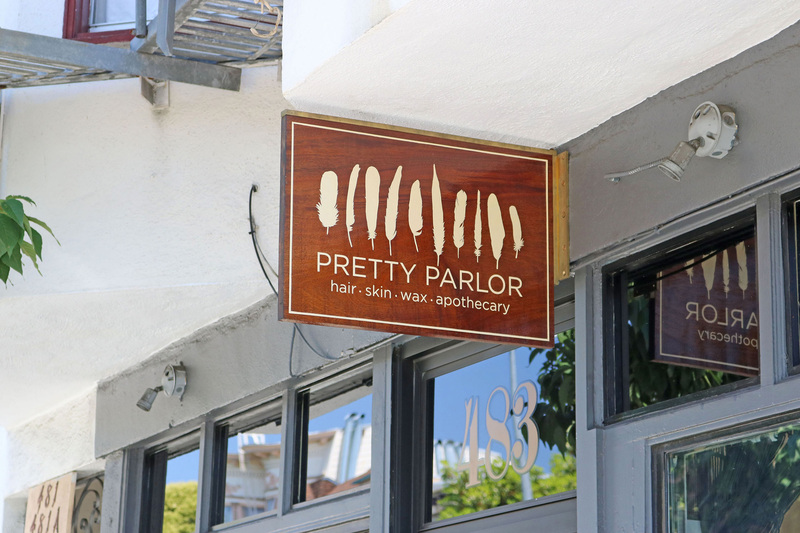 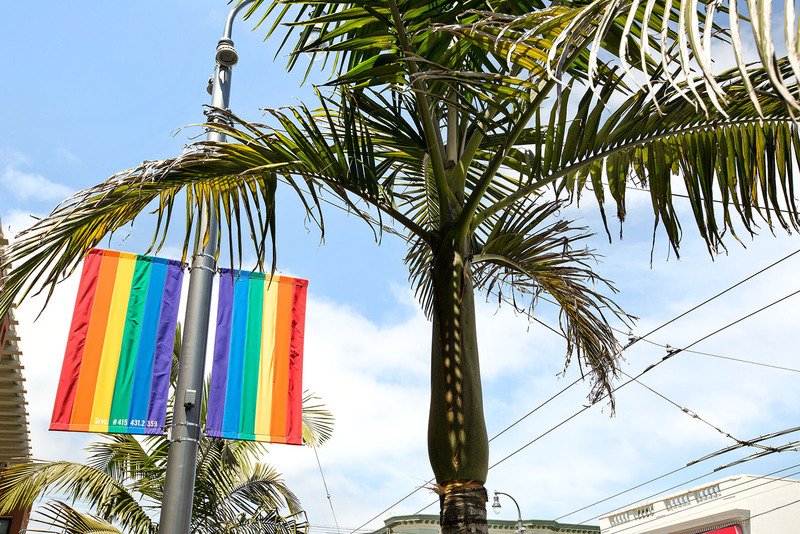 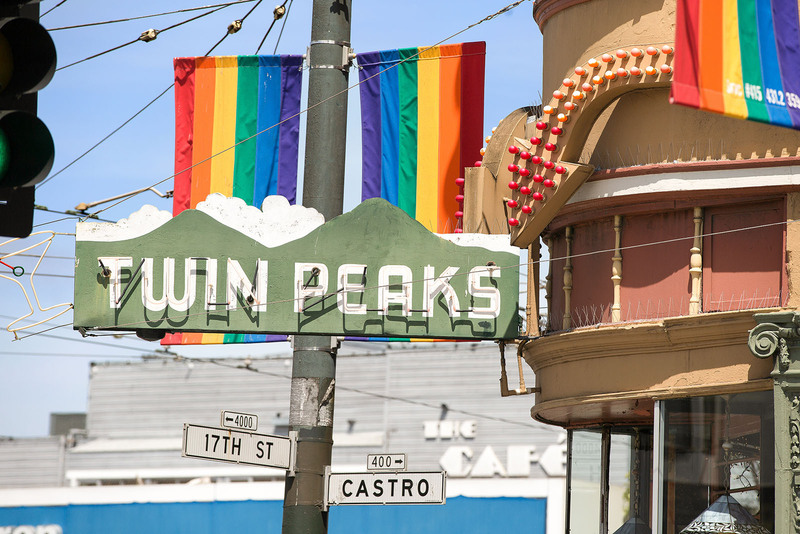 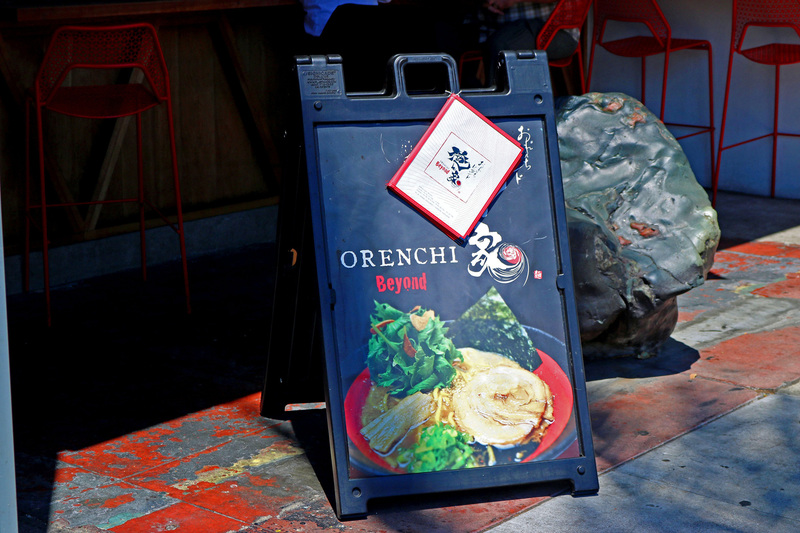 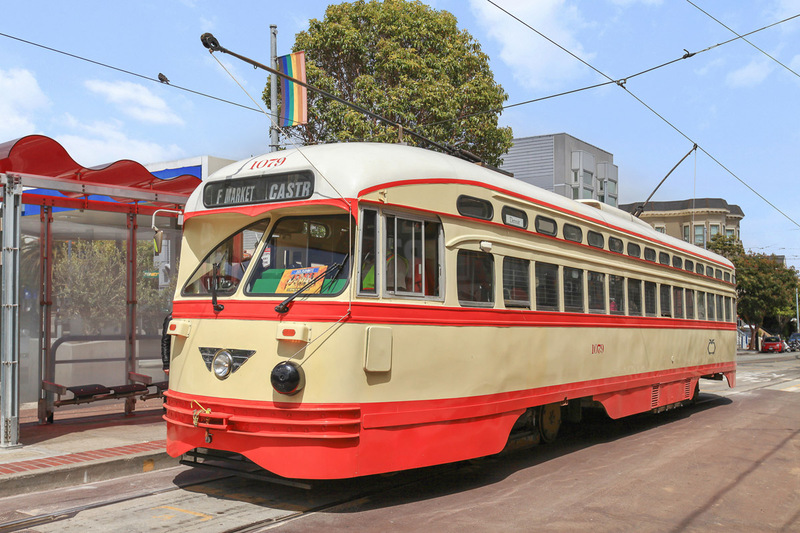 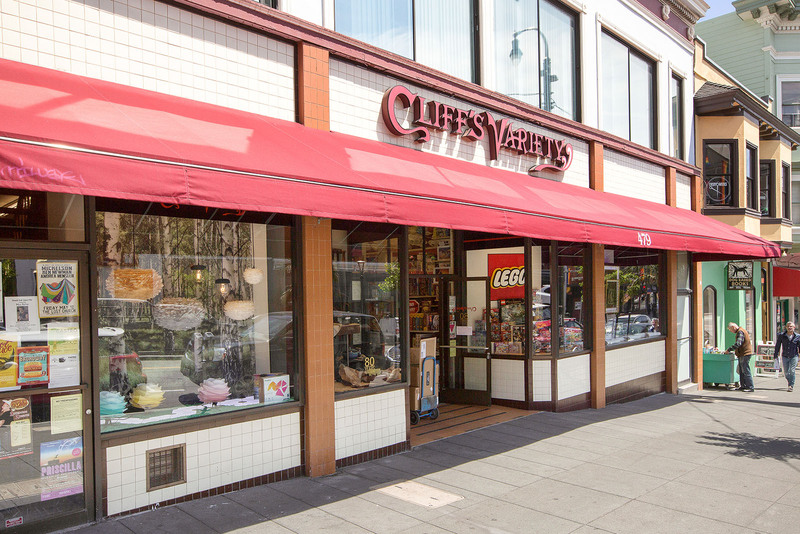 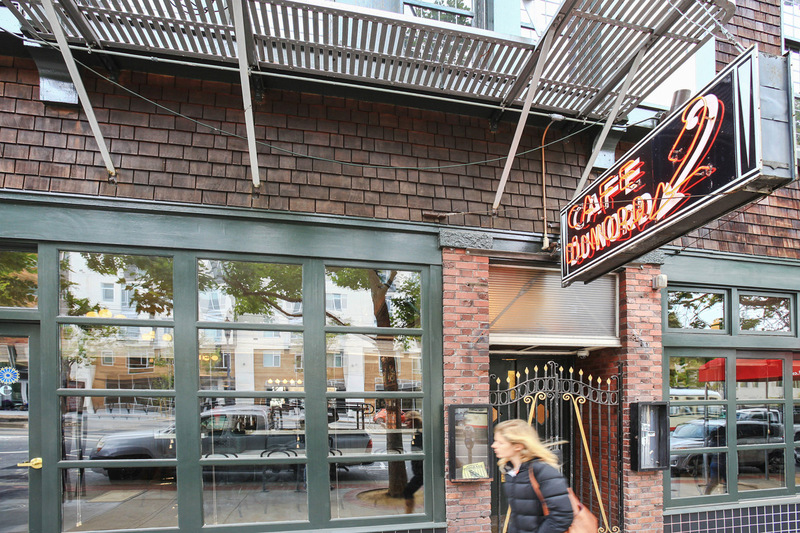 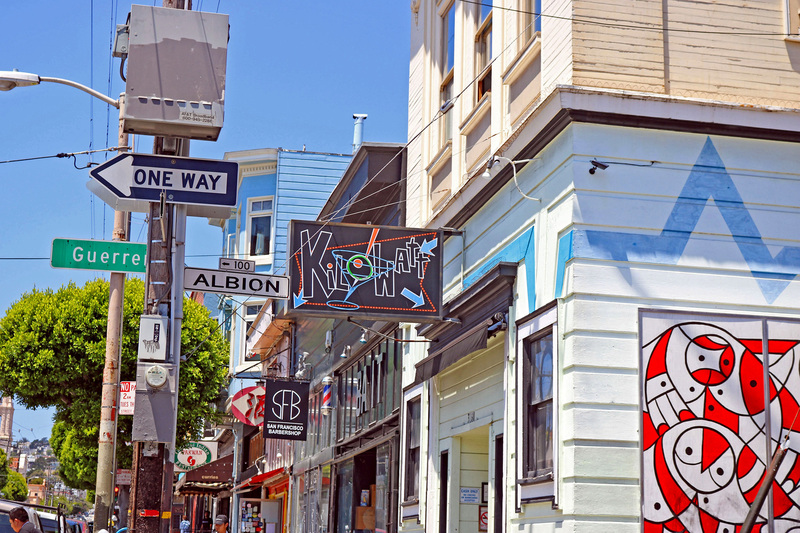 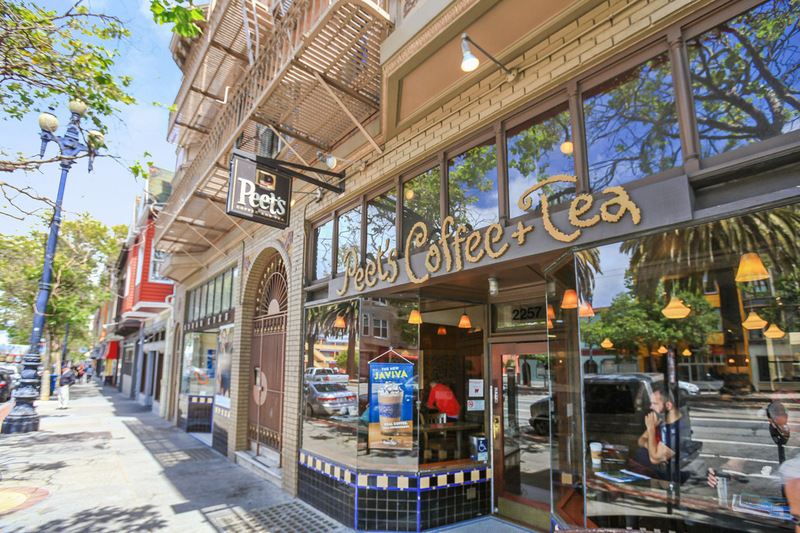 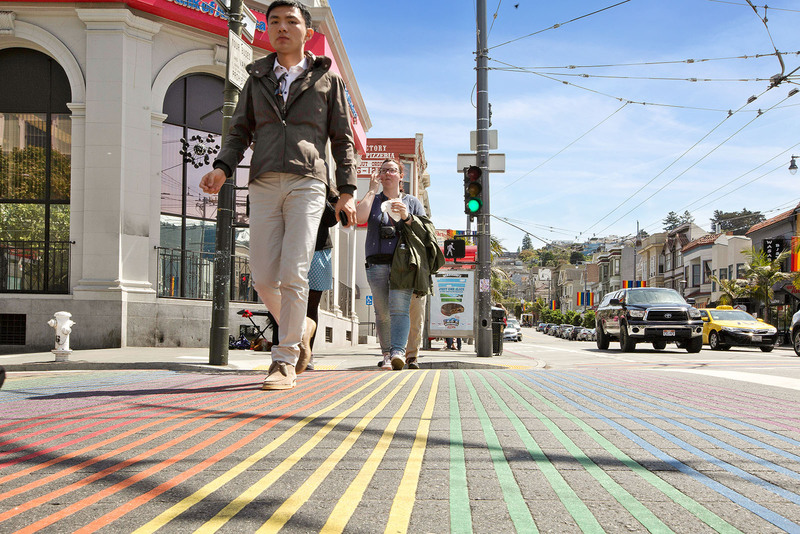 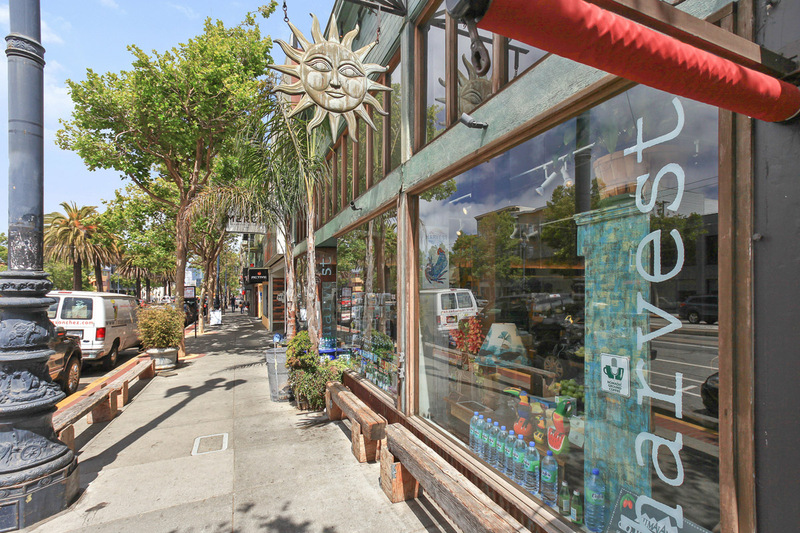 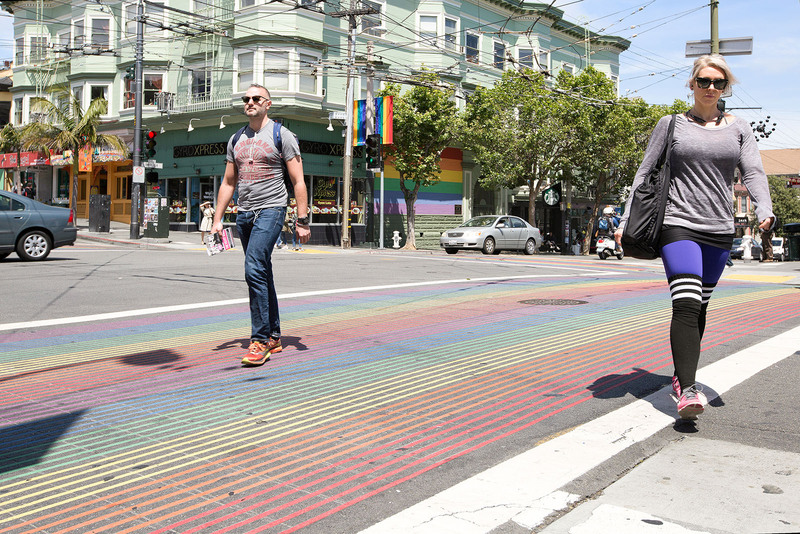 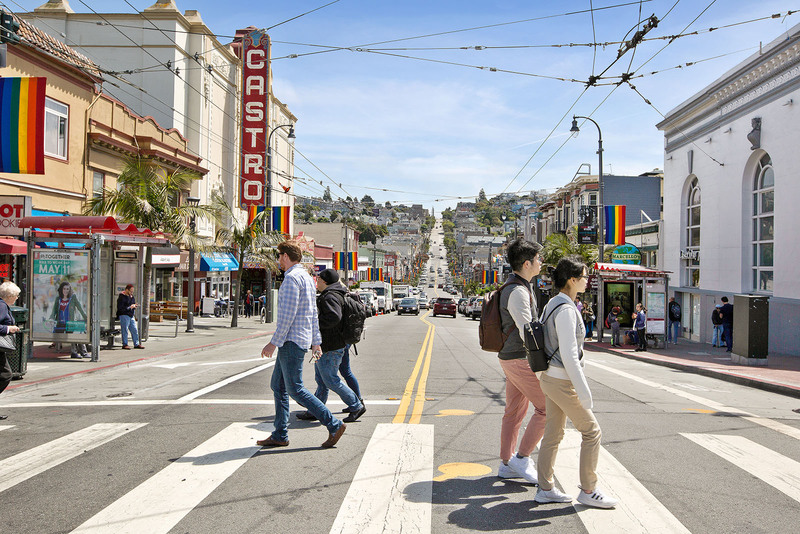 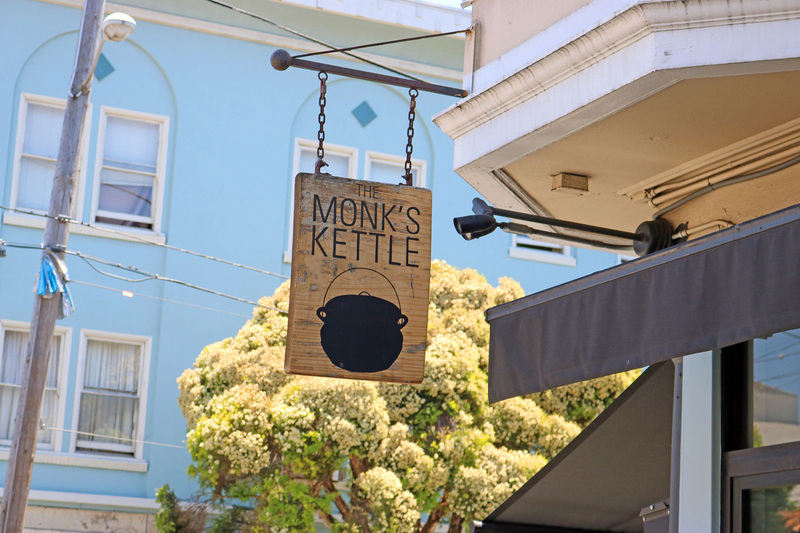 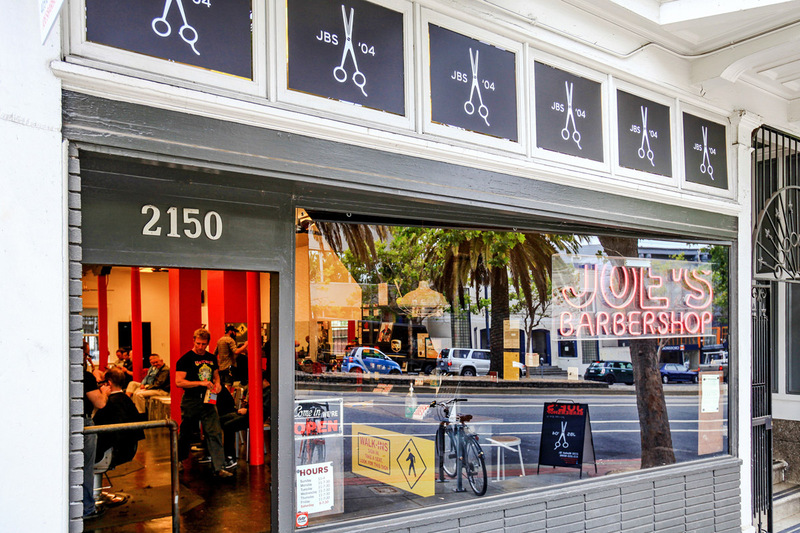 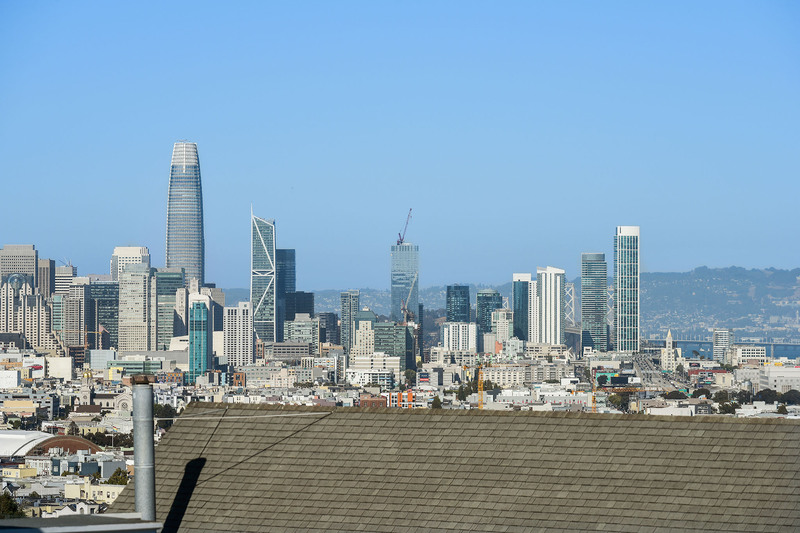 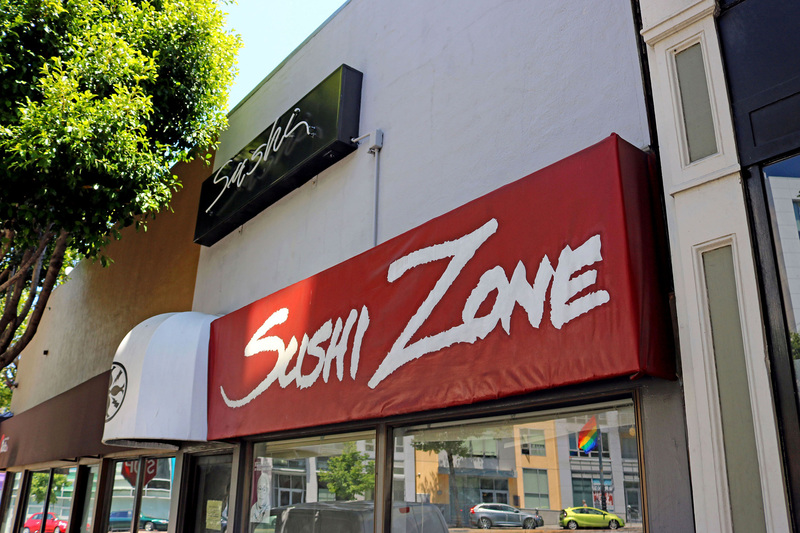 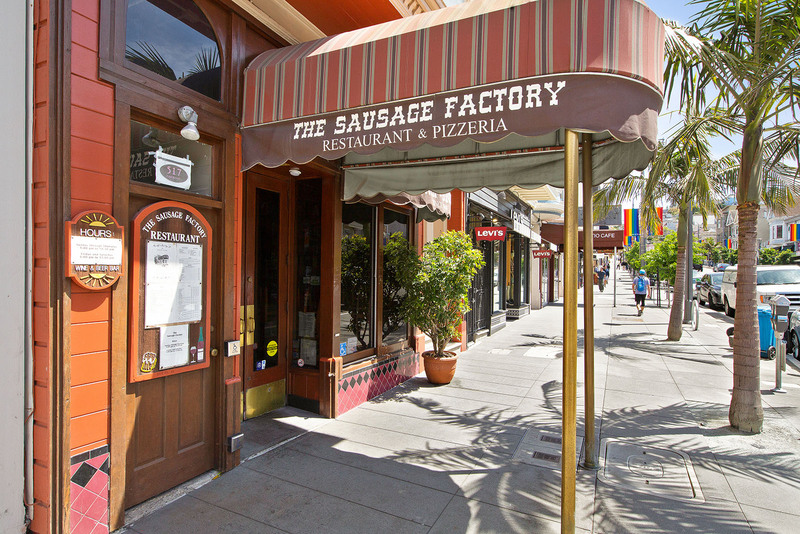 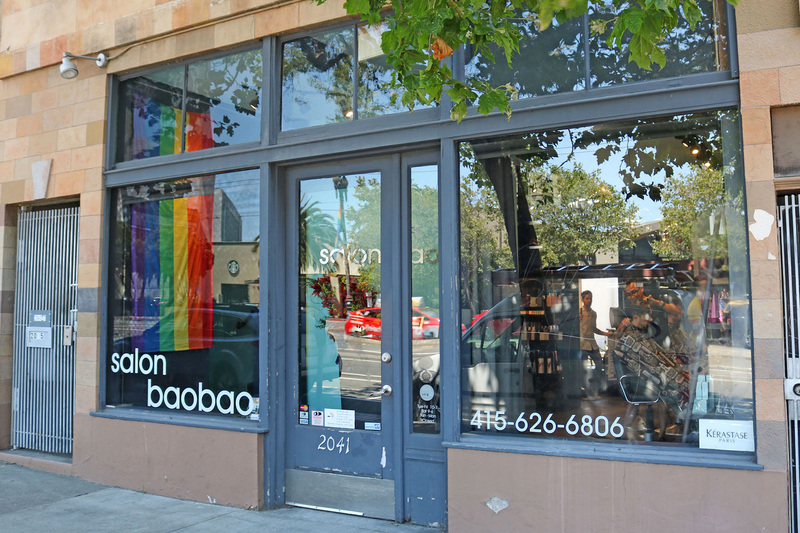 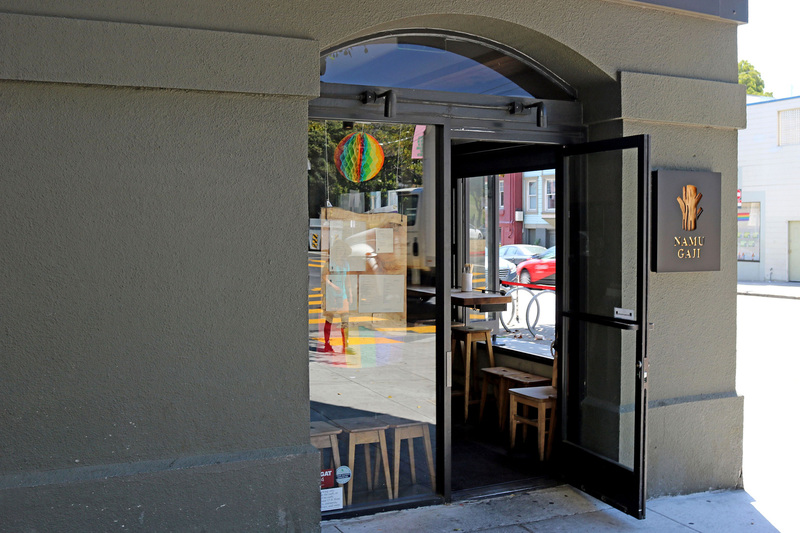 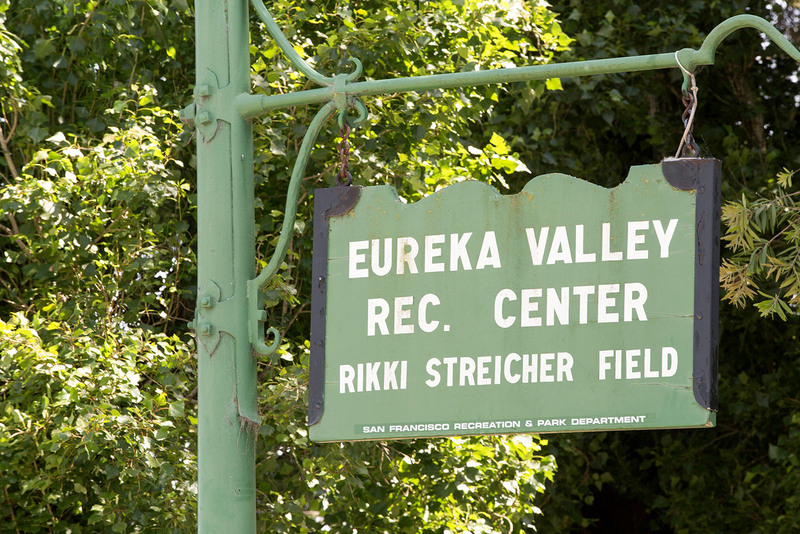 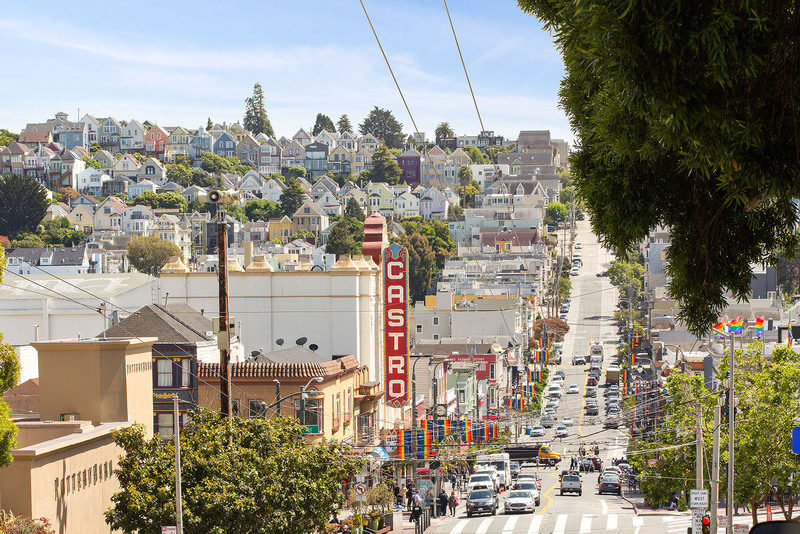 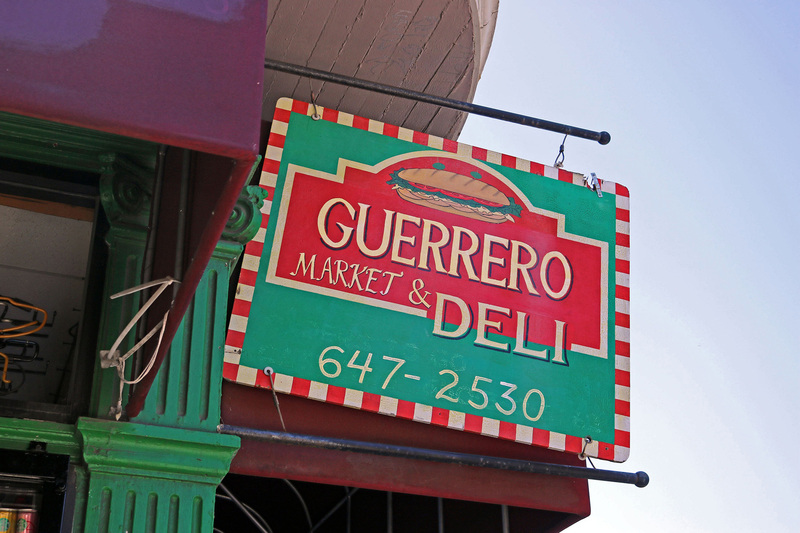 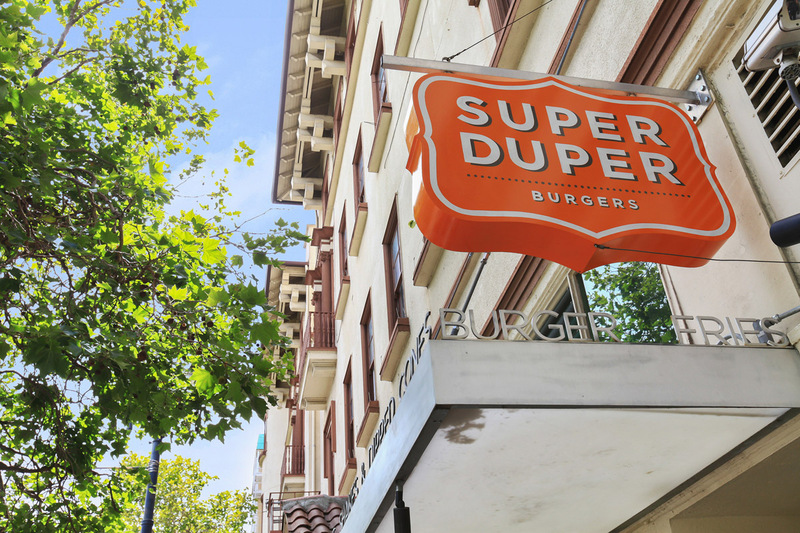 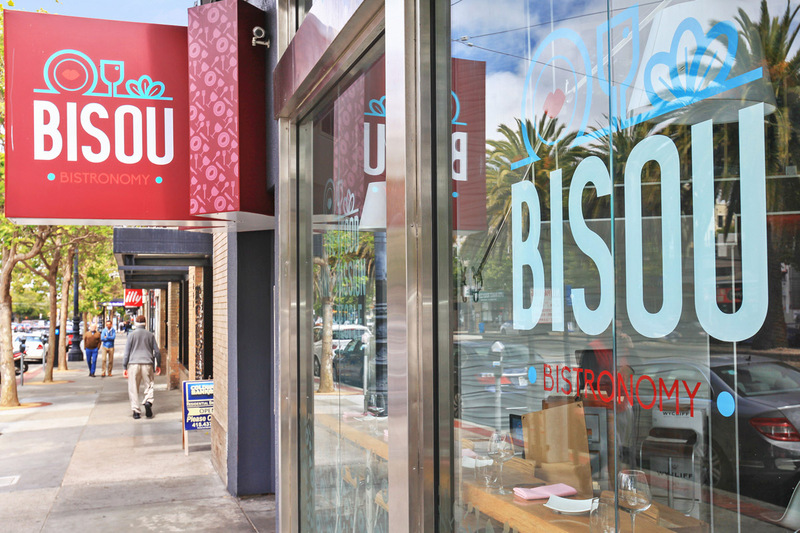 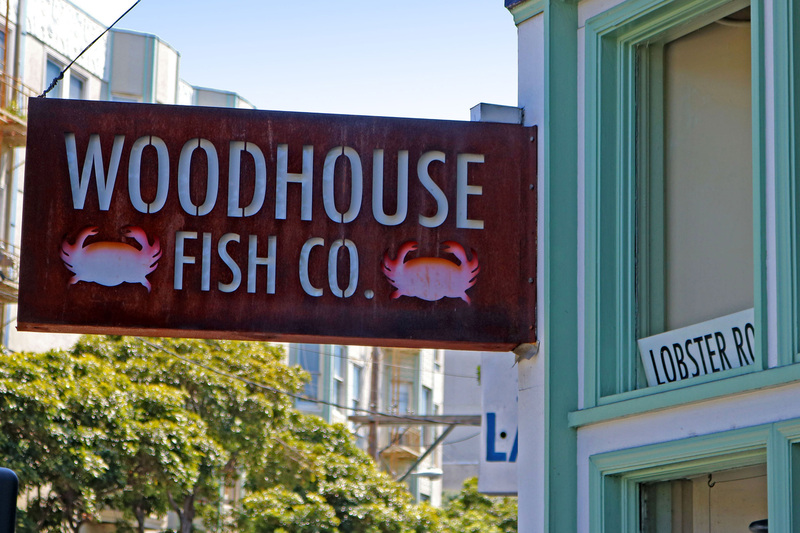 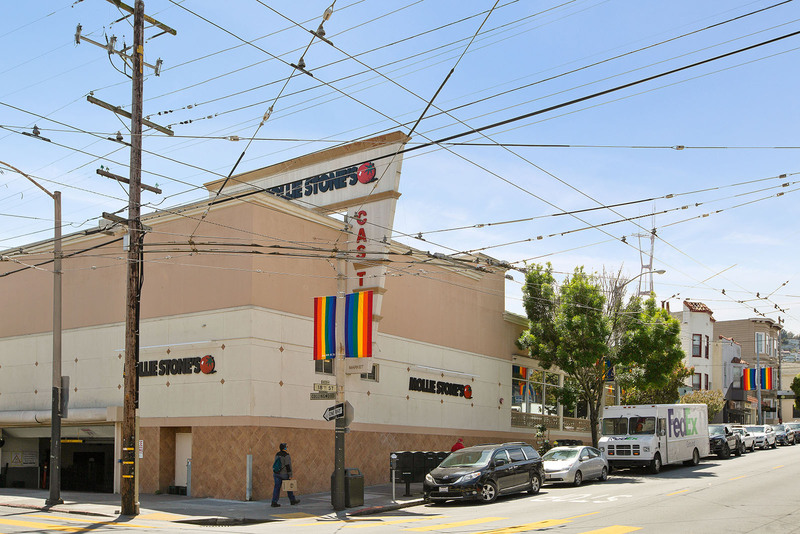 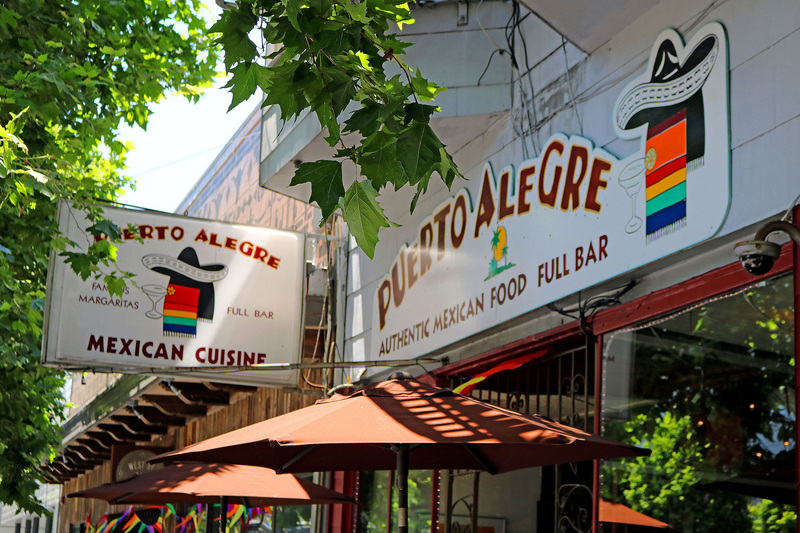 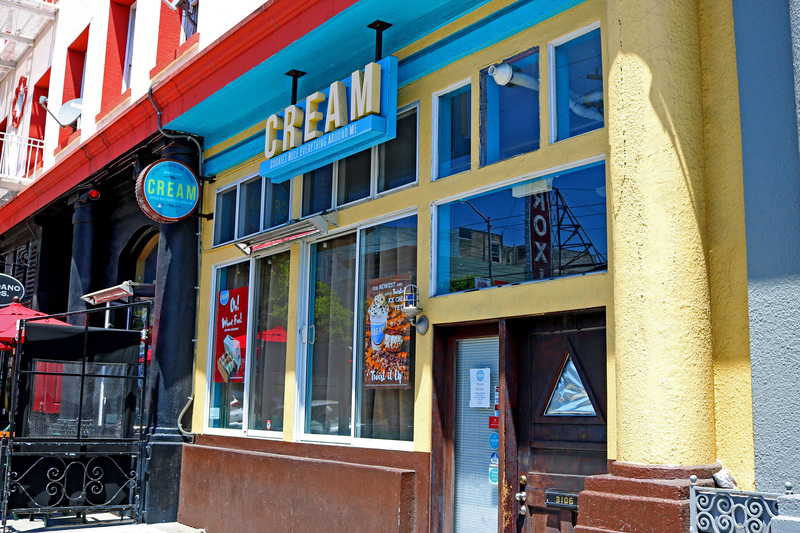 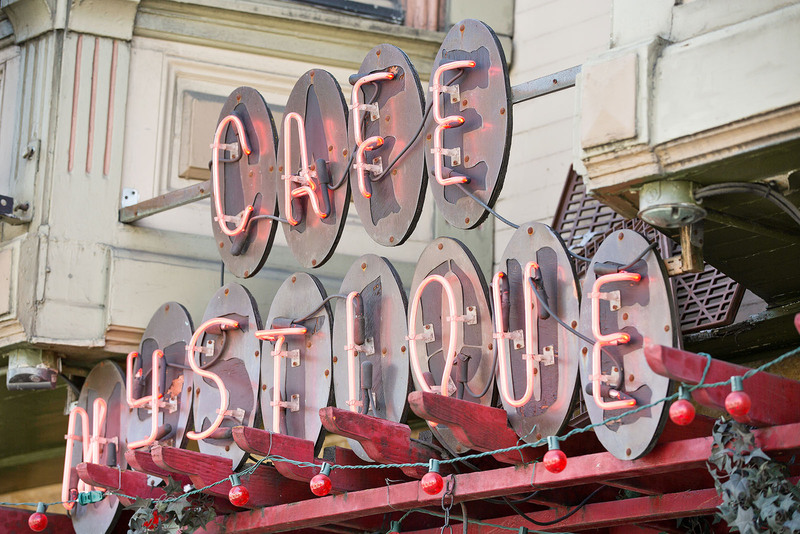 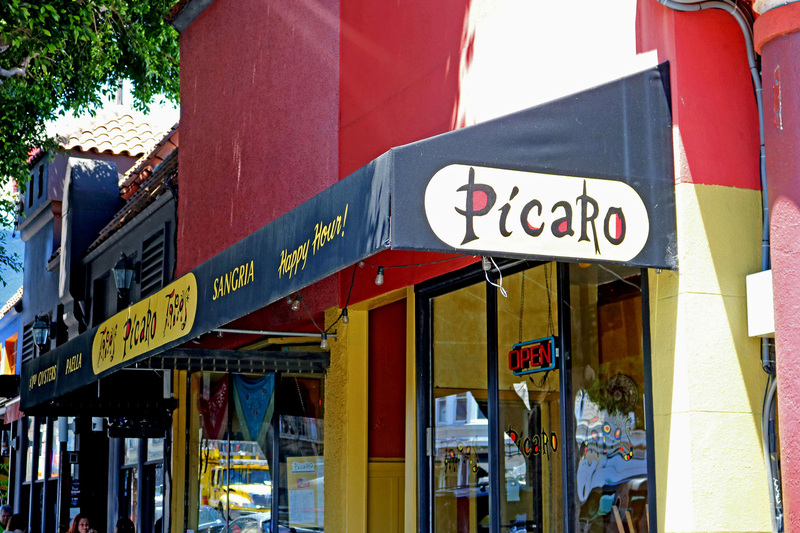 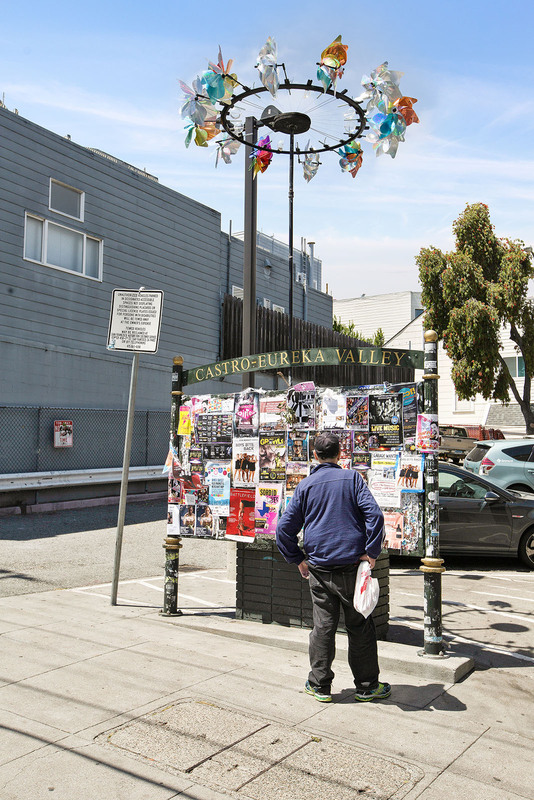 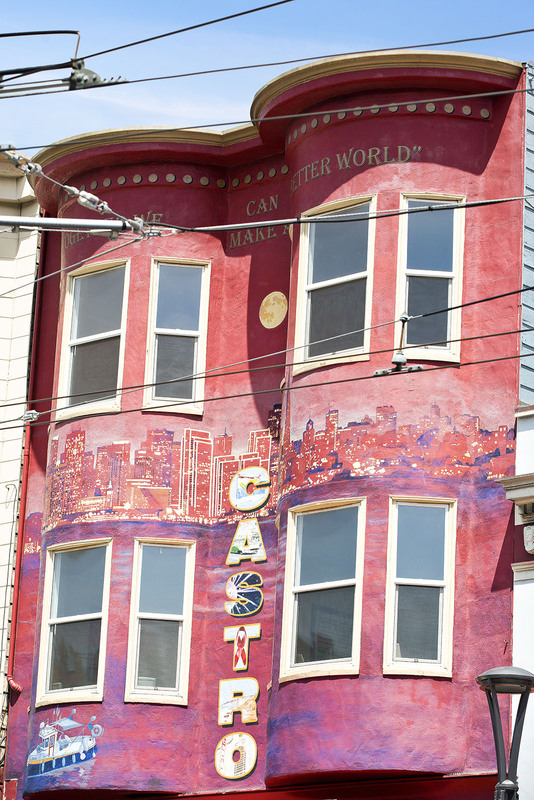 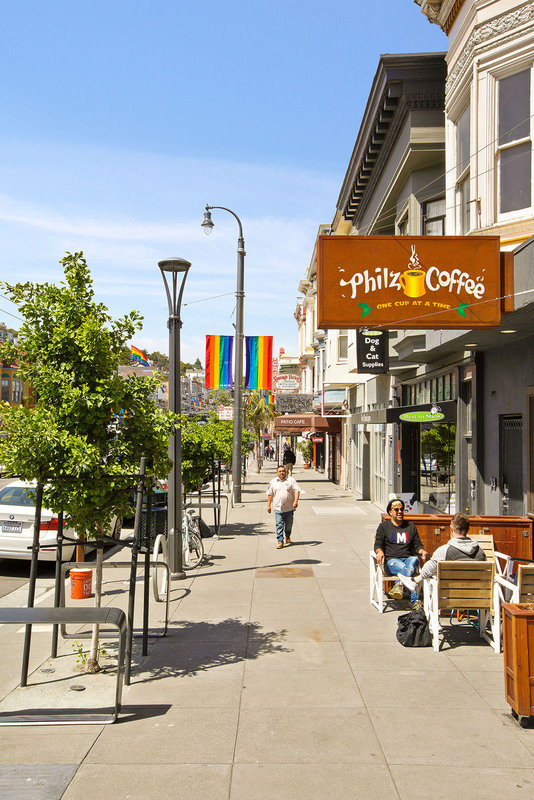 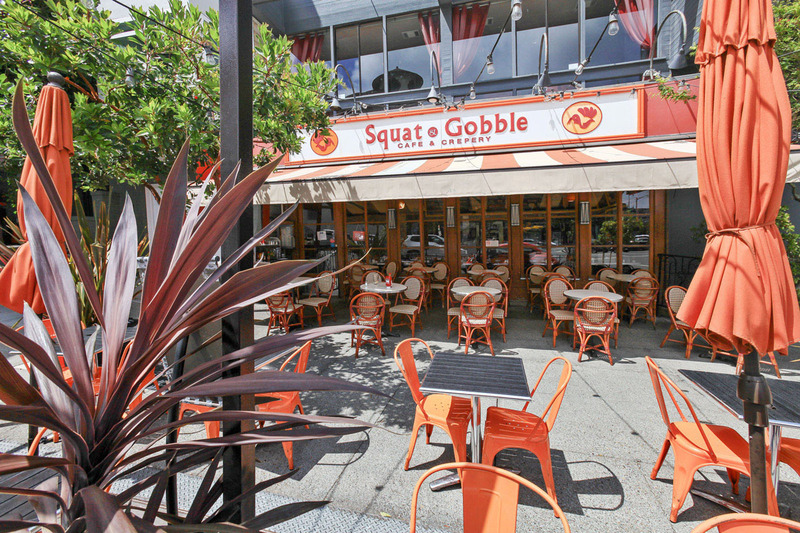 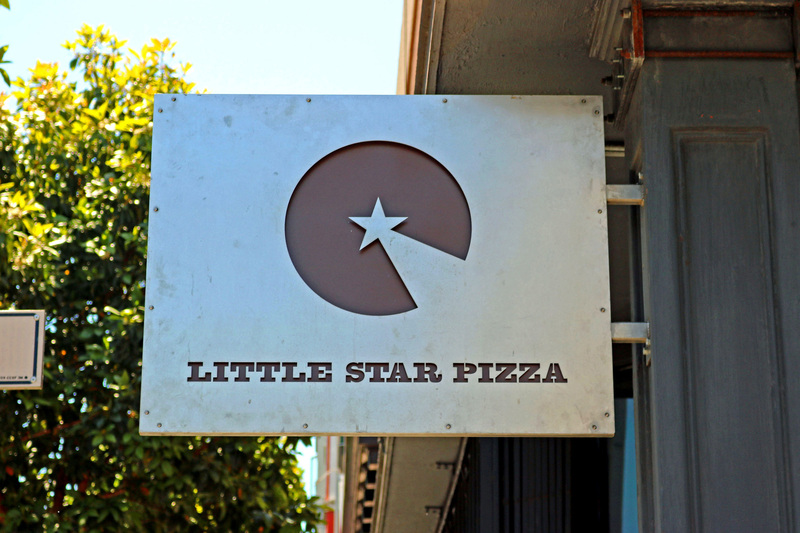 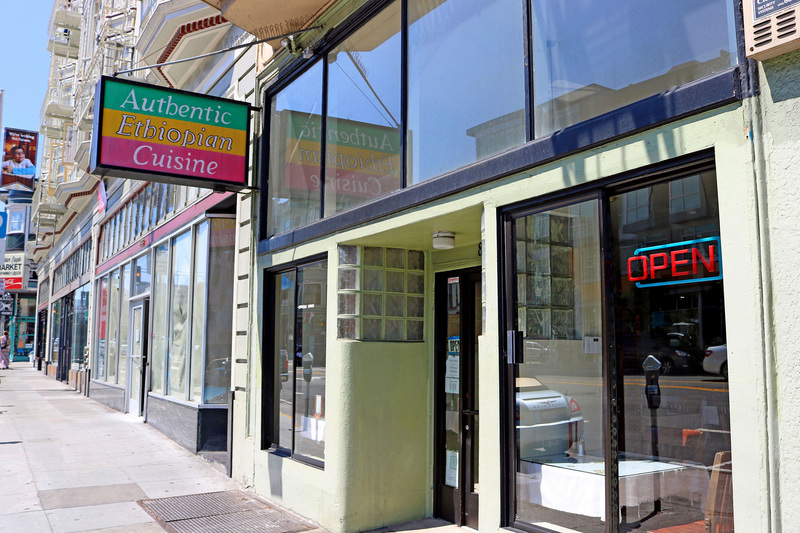 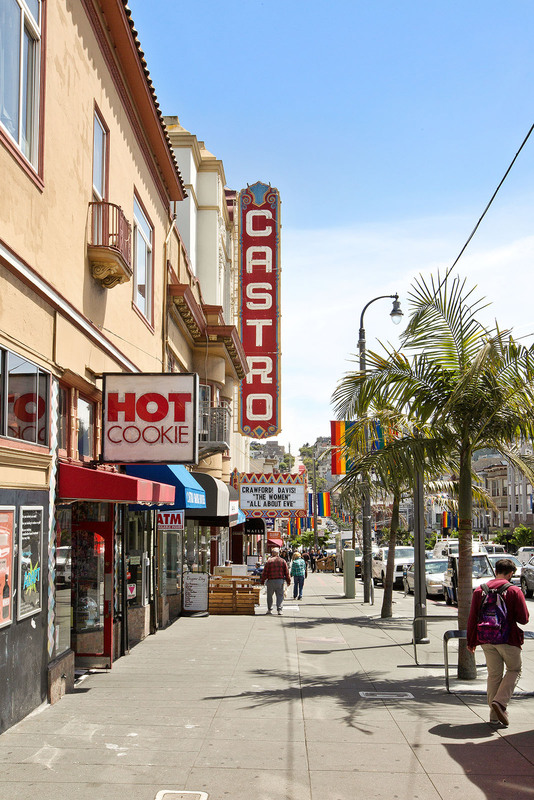 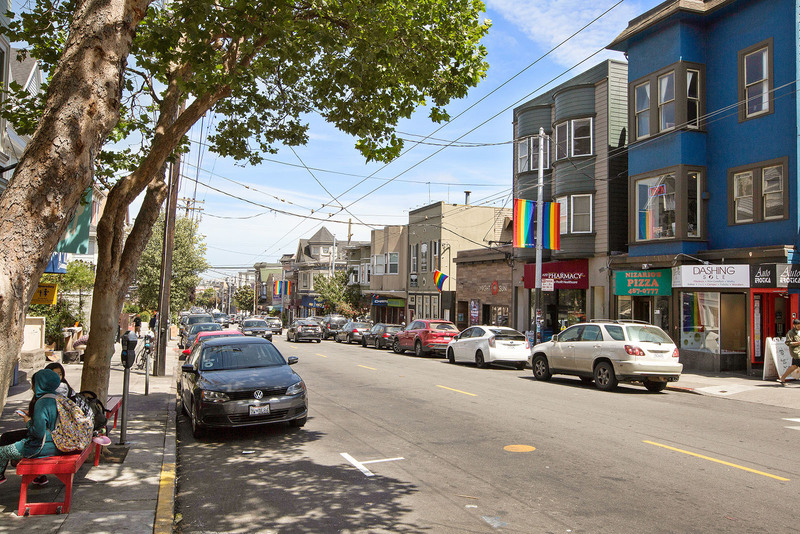 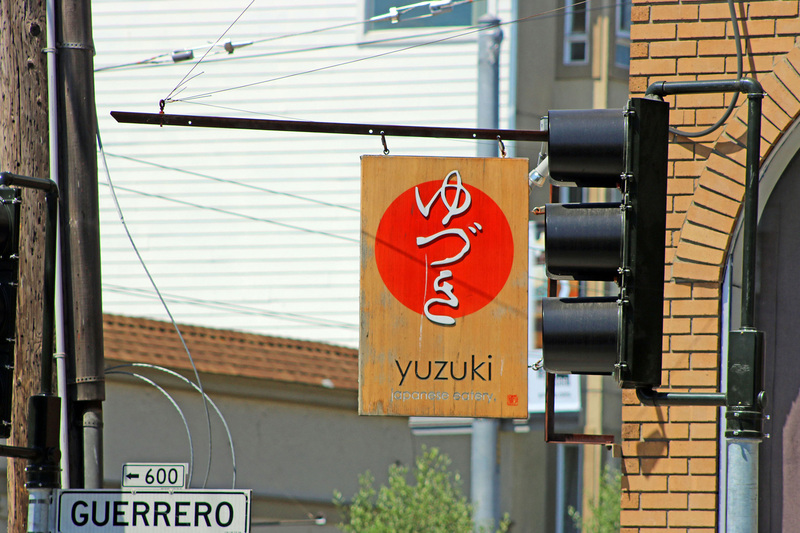 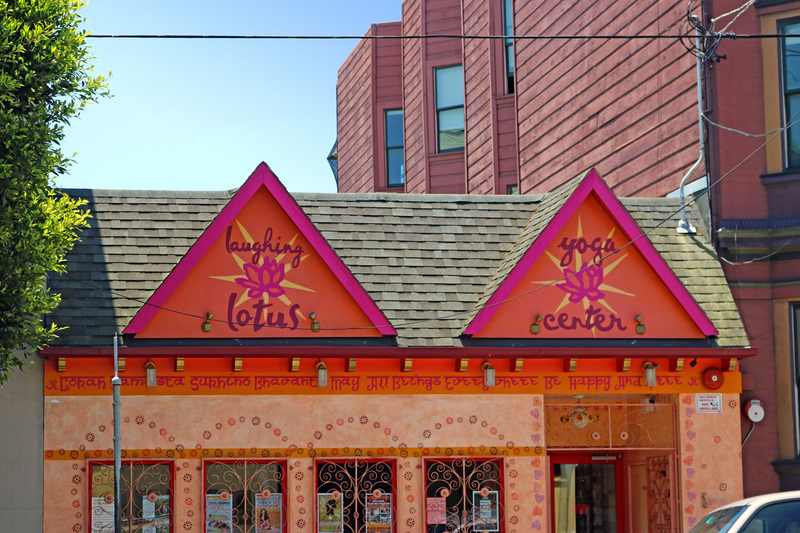 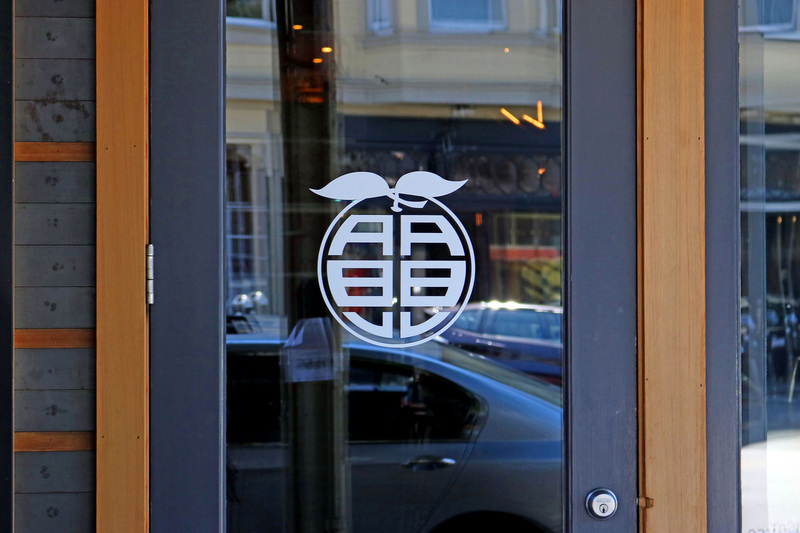 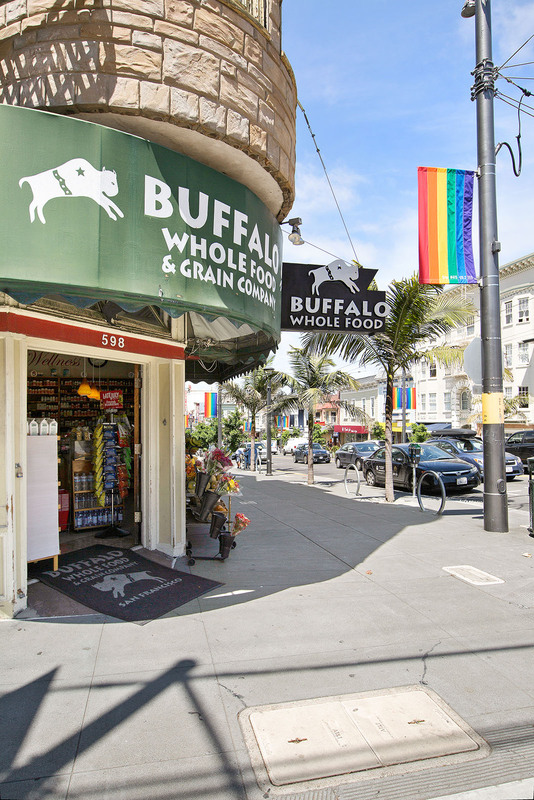 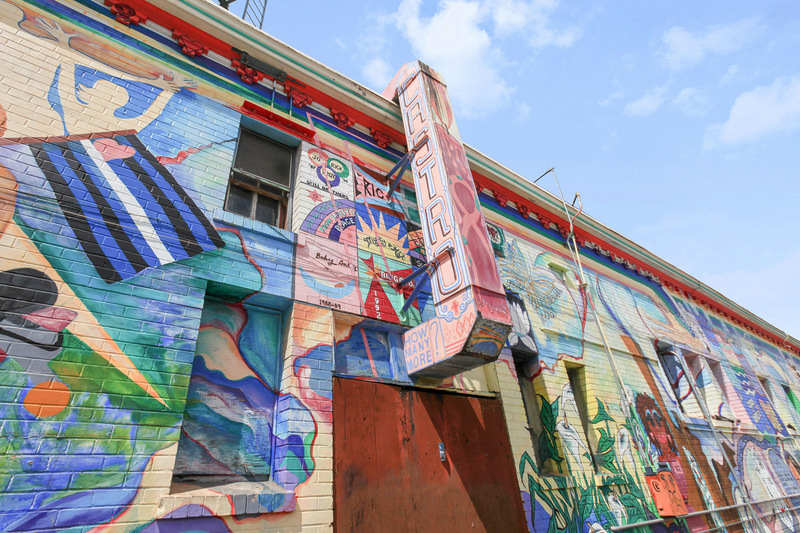 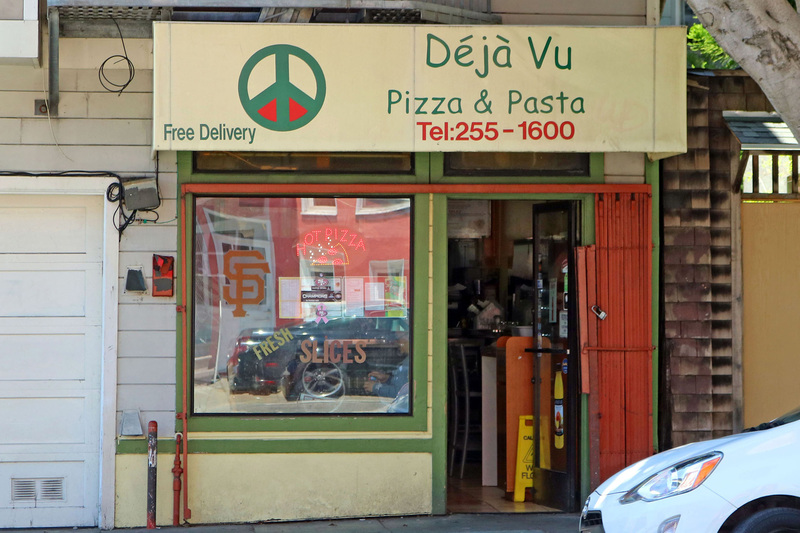 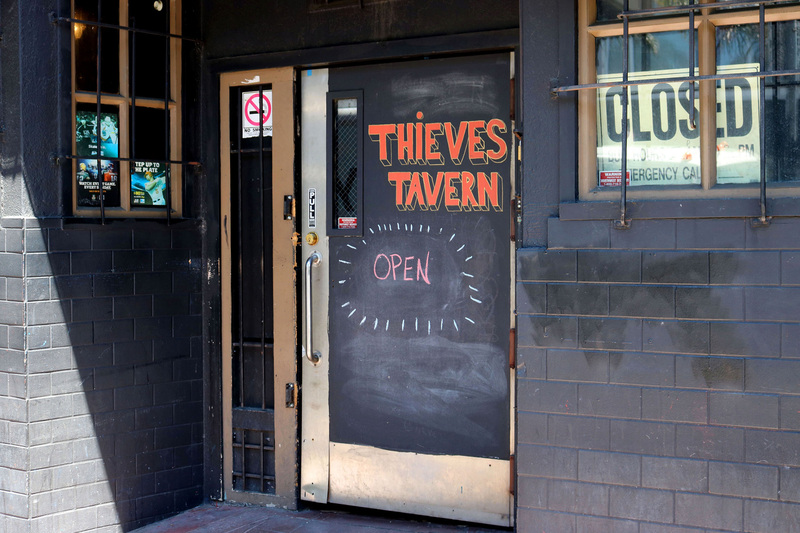 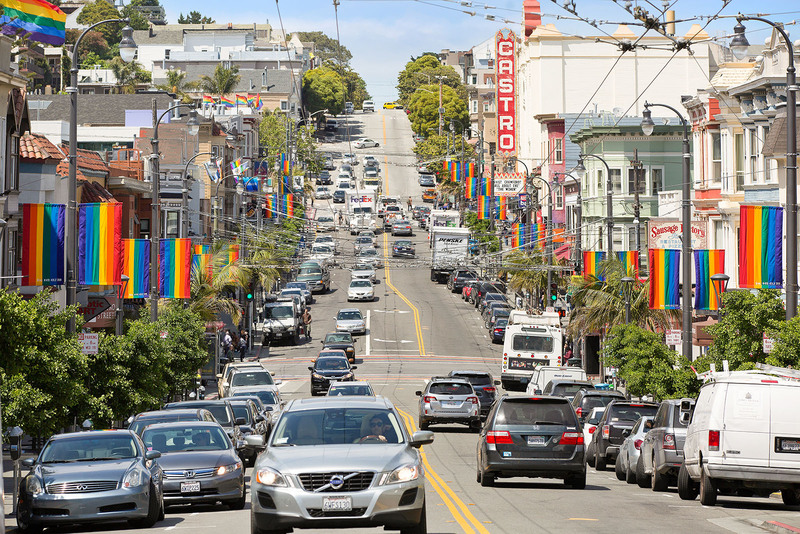 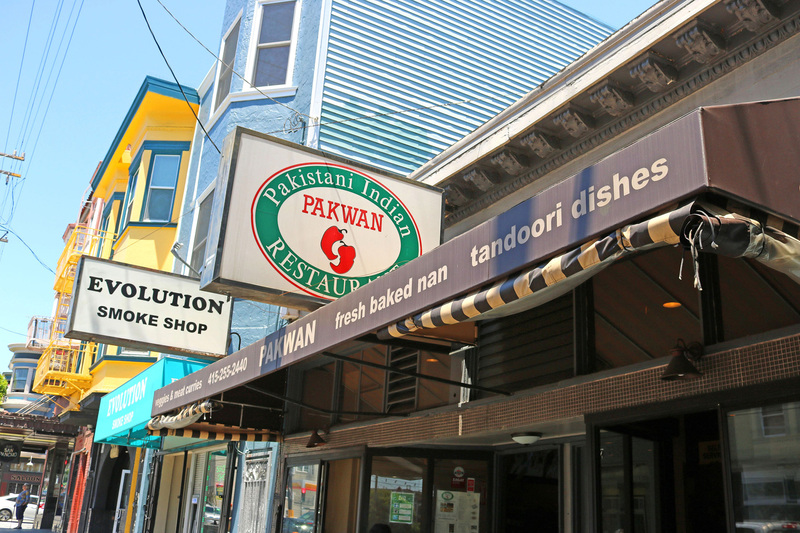 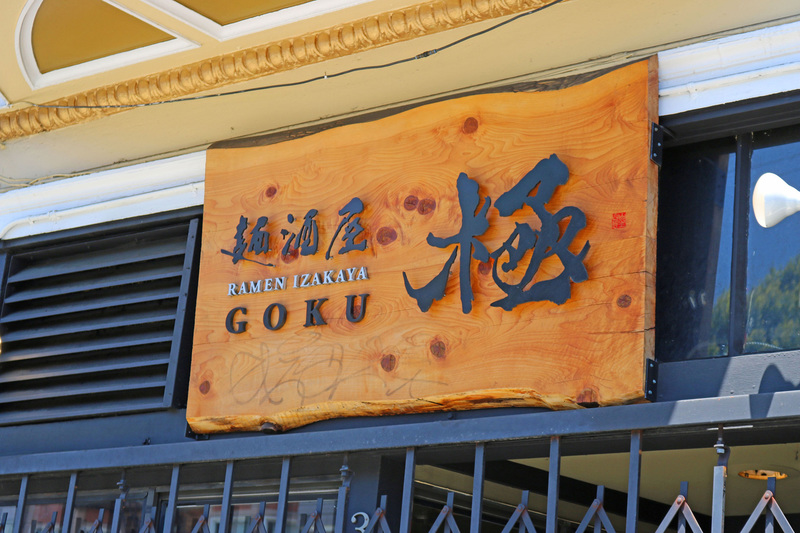 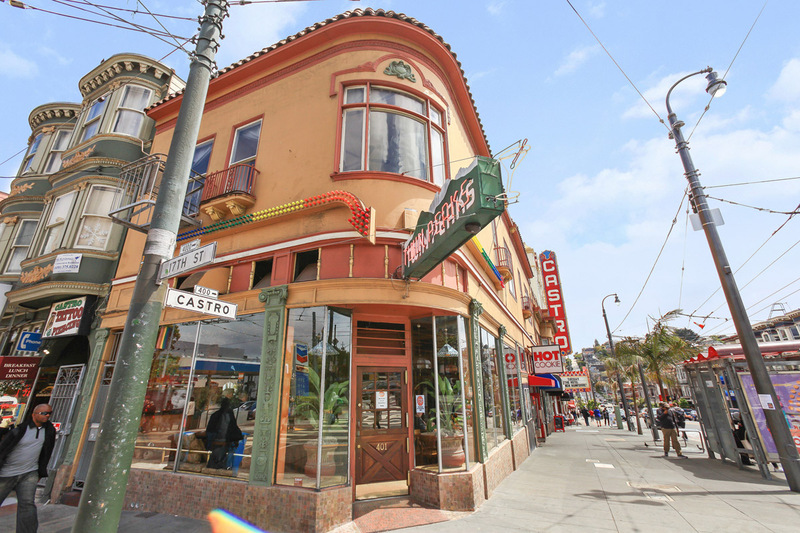 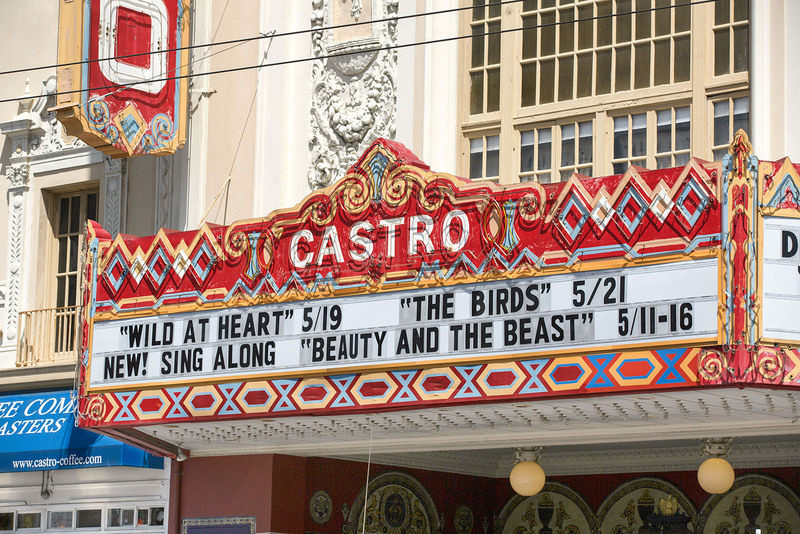 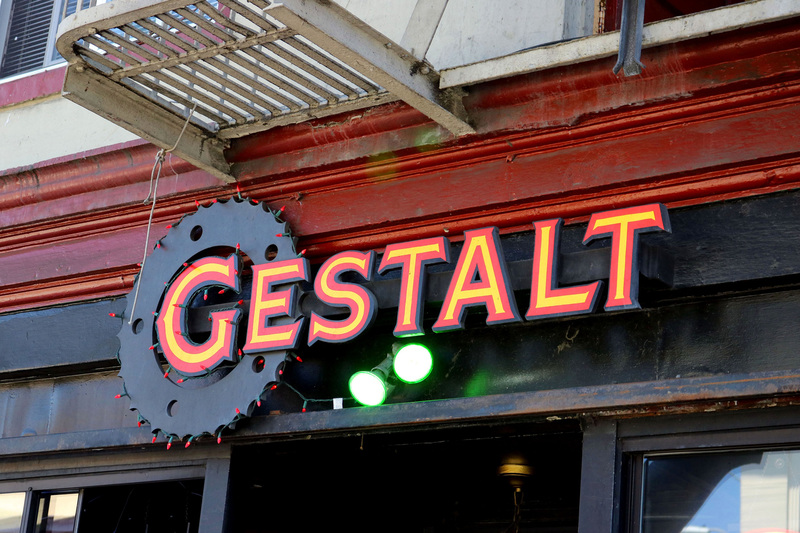 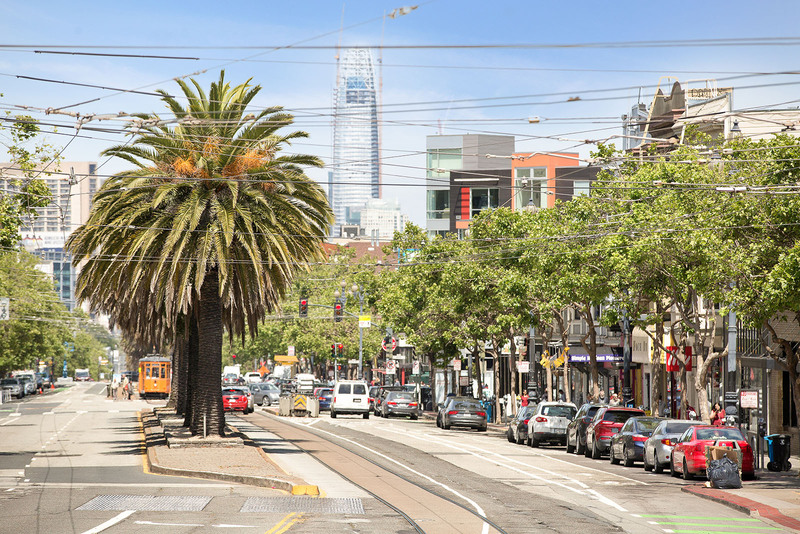 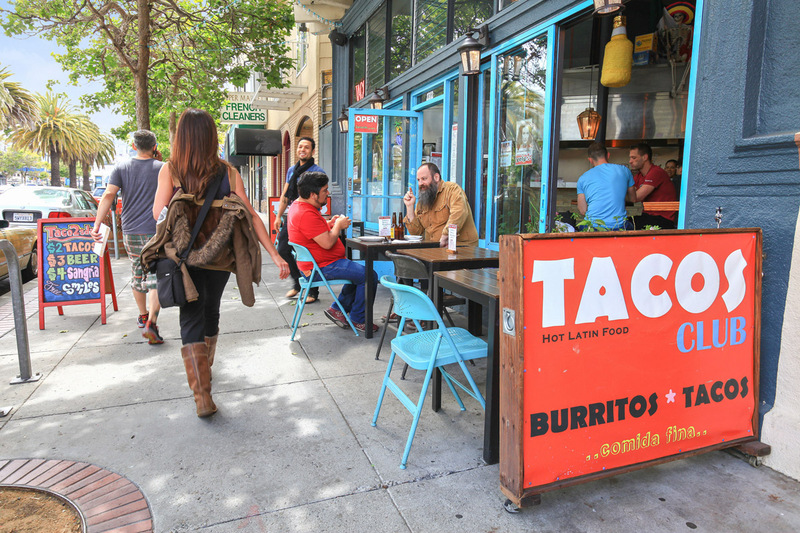 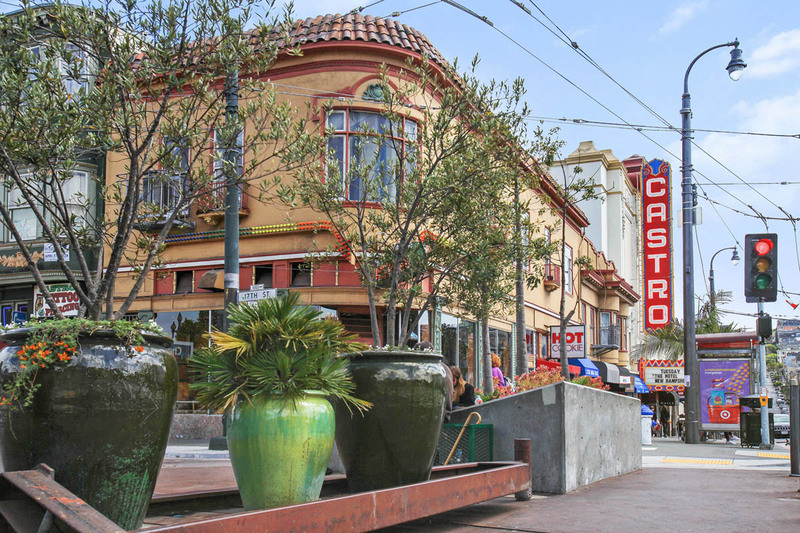 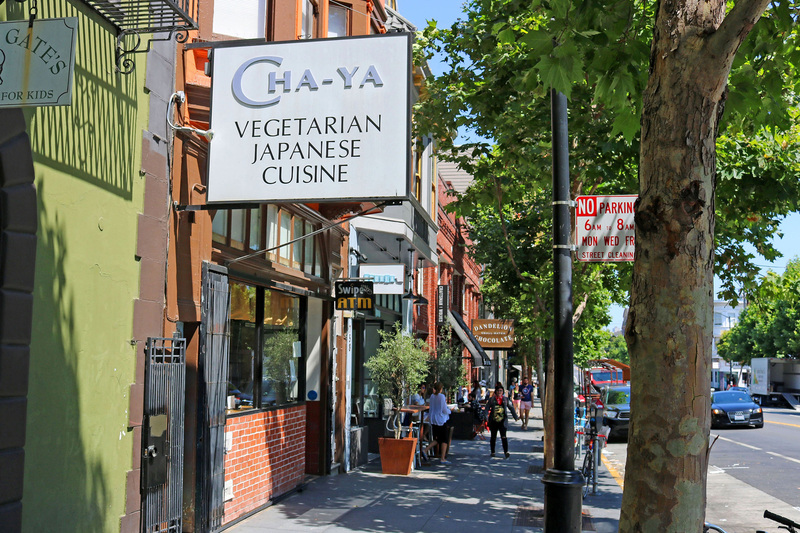 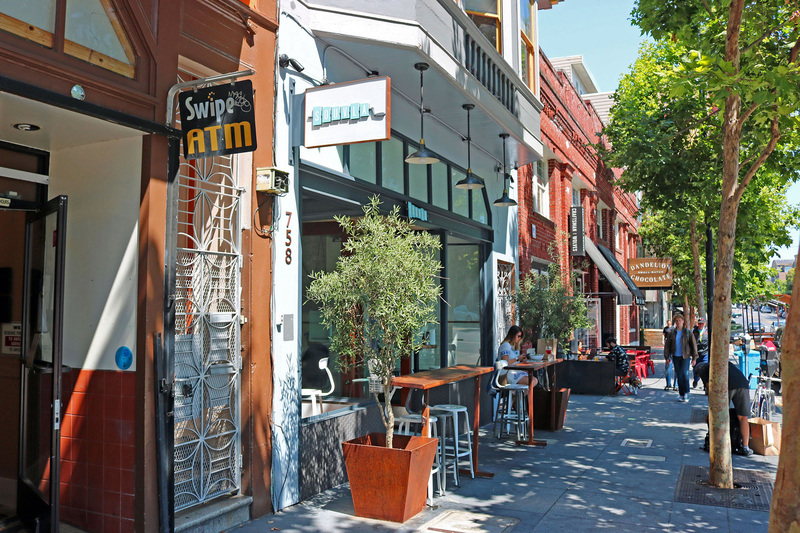 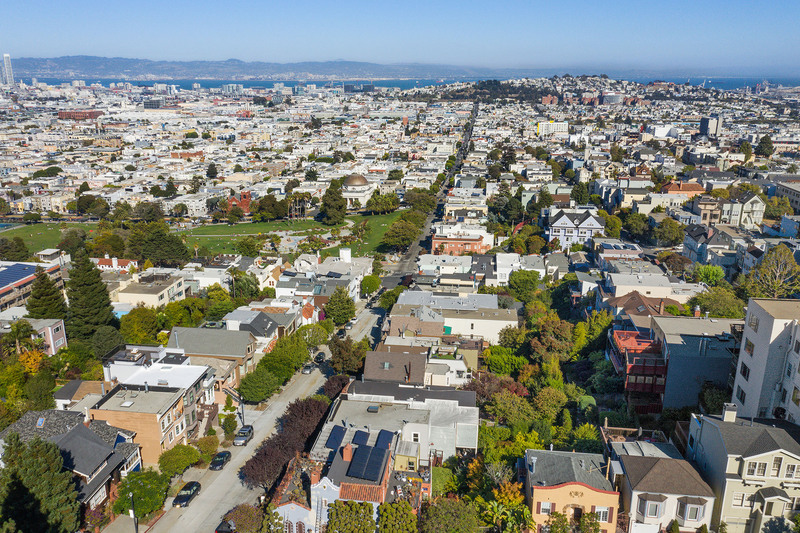 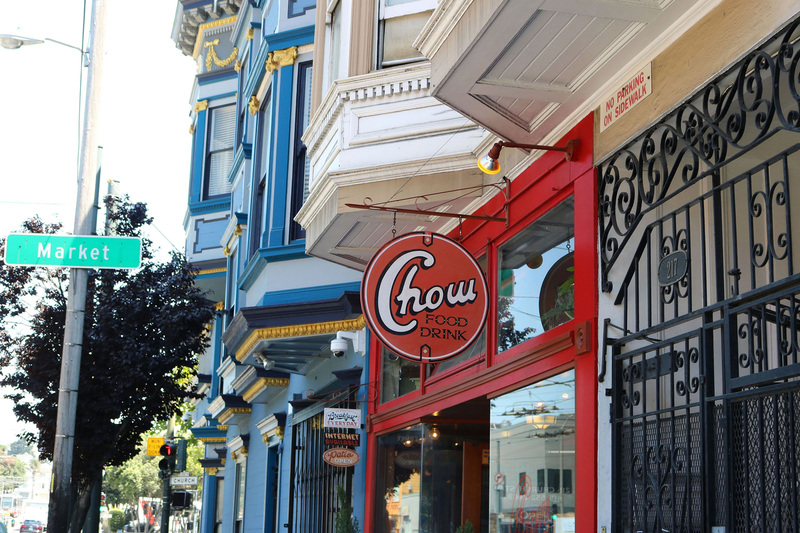 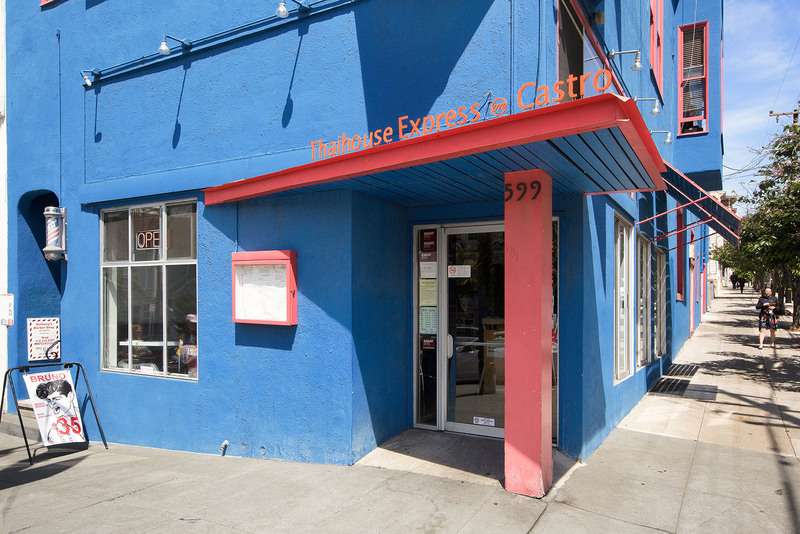 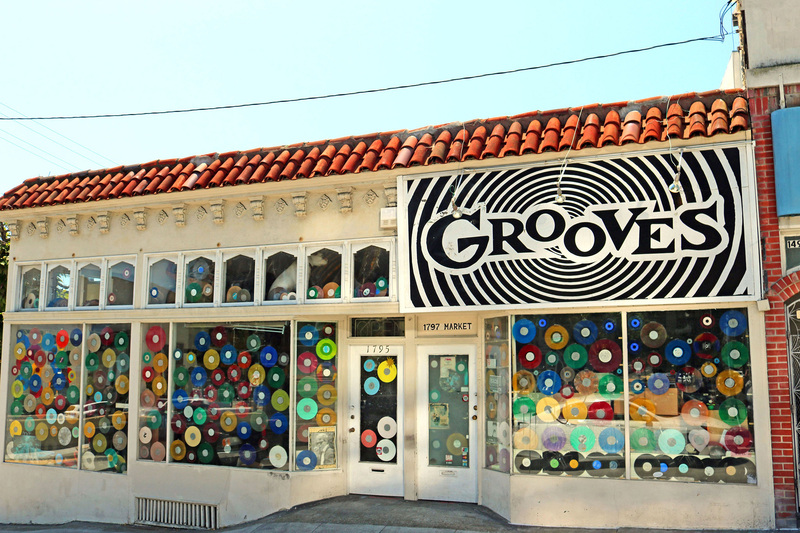 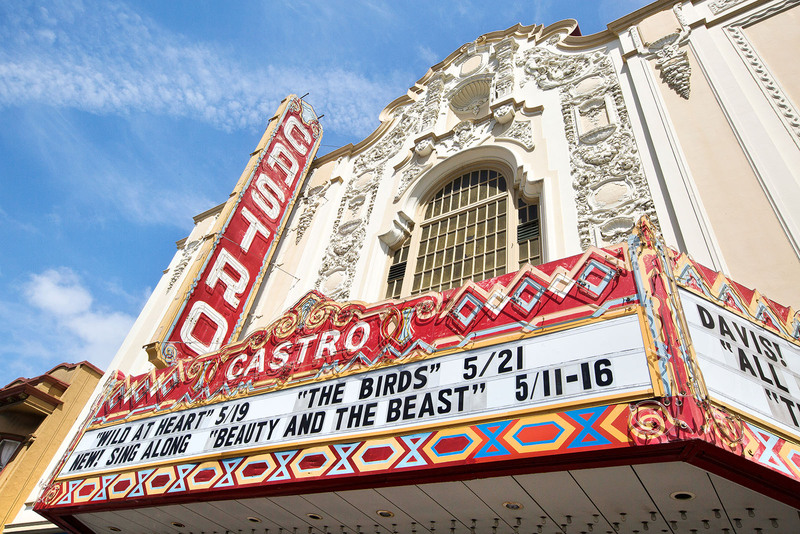 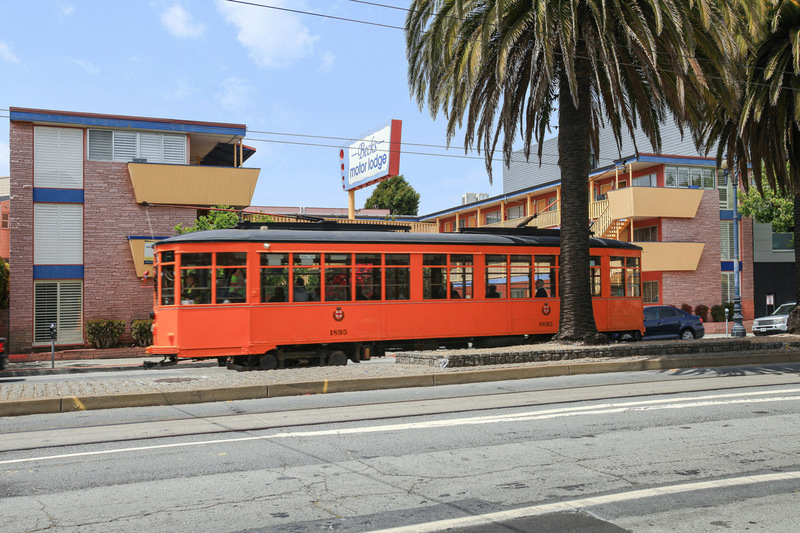 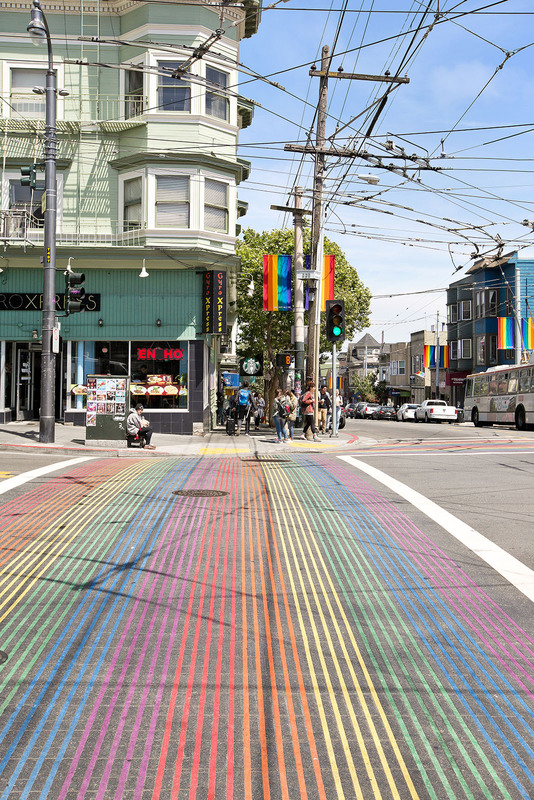 Eureka Valley and Dolores Heights, which includes the world-renowned Castro district, have a wonderfully rich history as the epicenter of the gay rights movement. 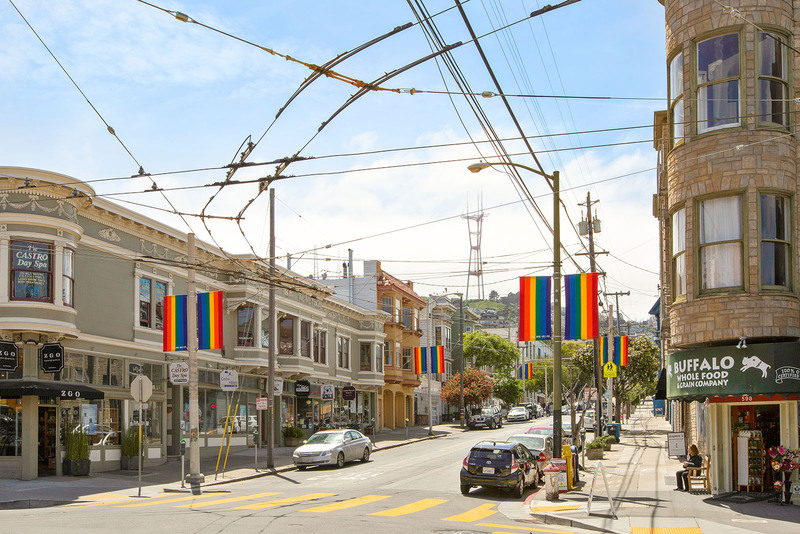 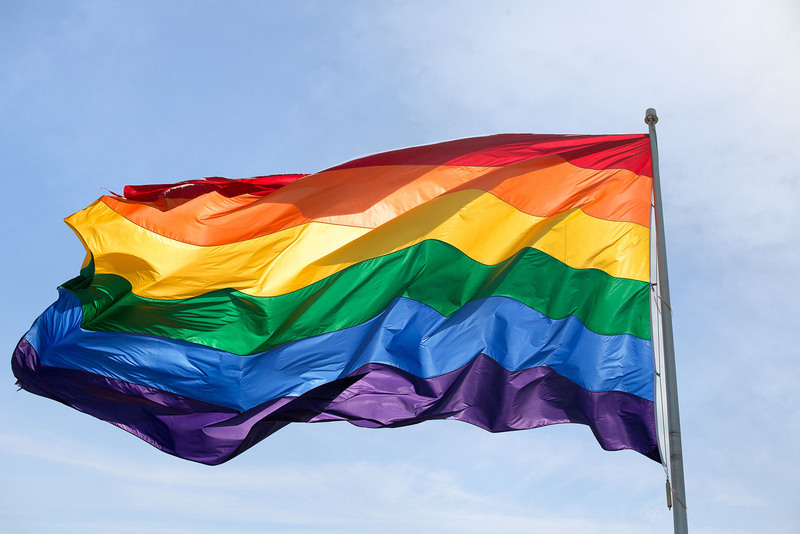 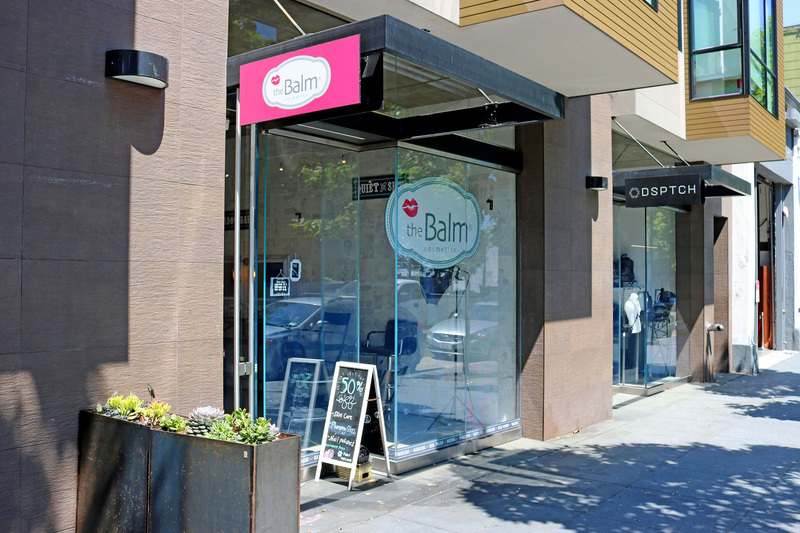 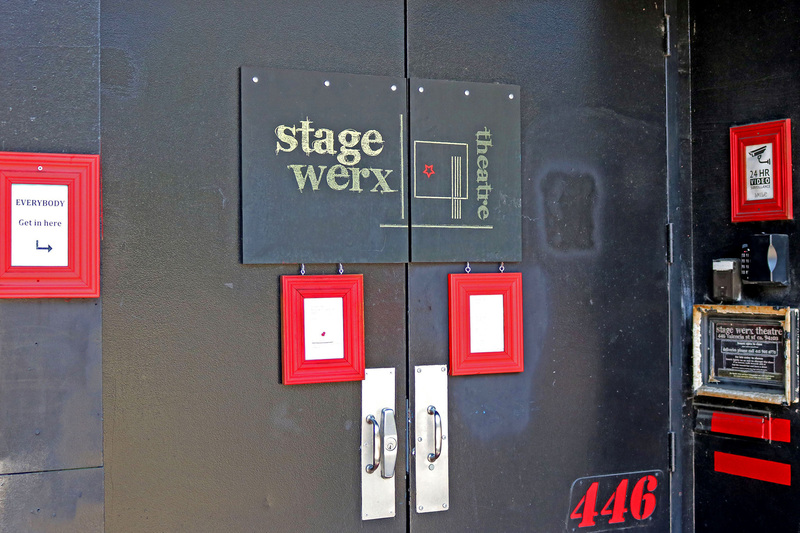 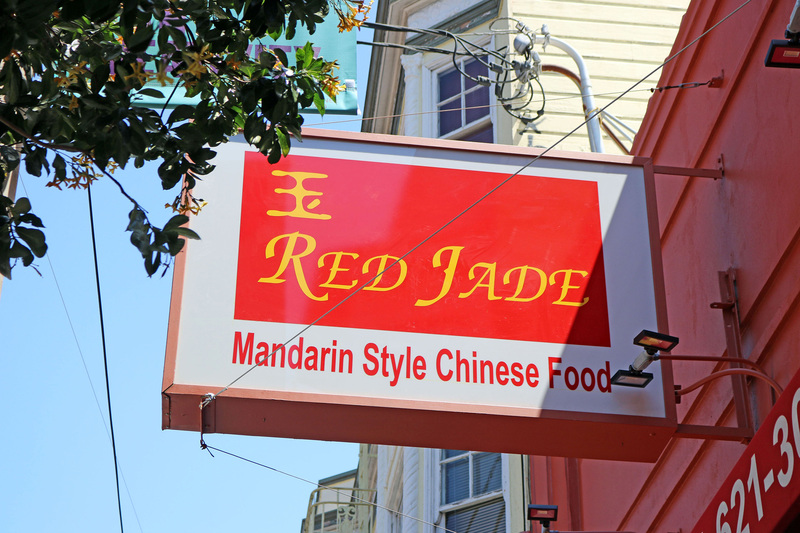 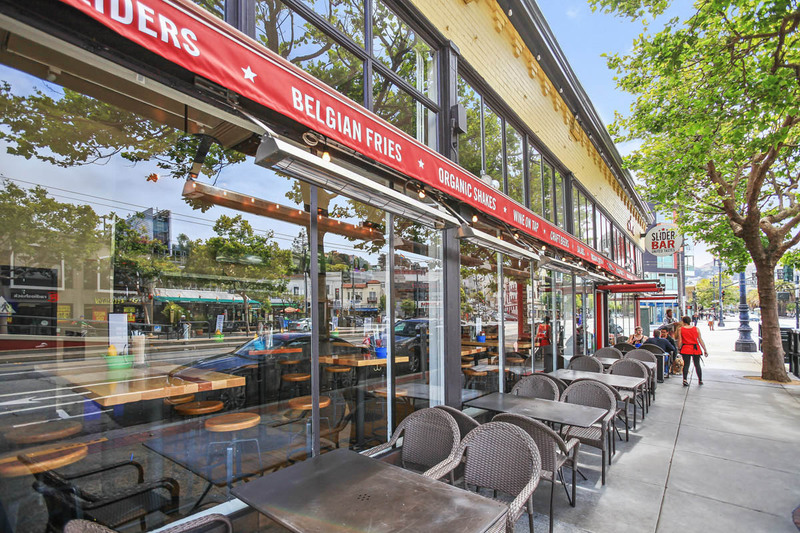 Today, the neighborhood is undergoing another transition as the long-standing gay community welcomes young families to the increasingly diverse neighborhood. 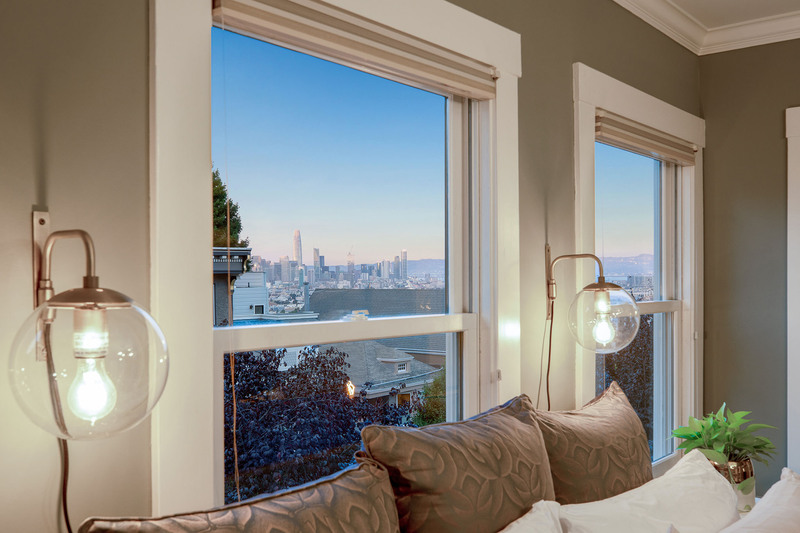 On the eastern end, coveted Liberty Hill offers tremendous views and one-of-a-kind residences.